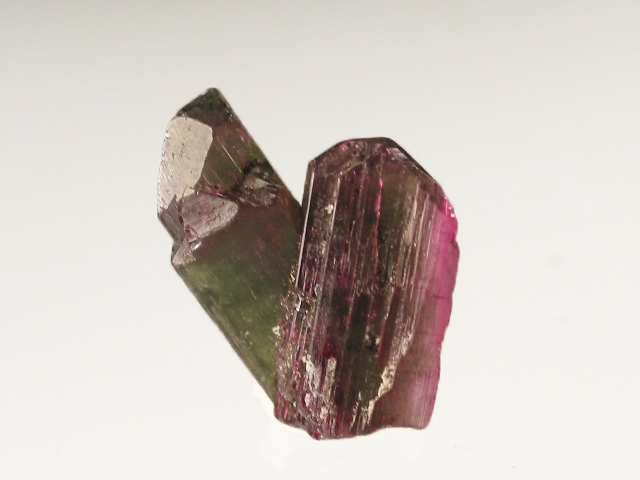 A pair of intersecting flattened polychrome tourmaline crystals. 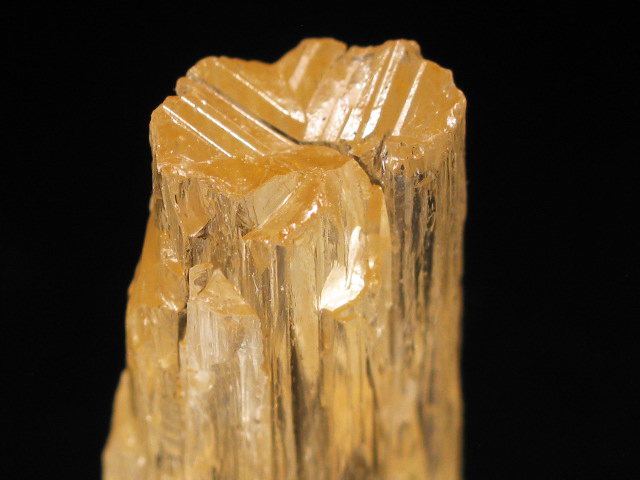 A very nice thumbnail of this material. 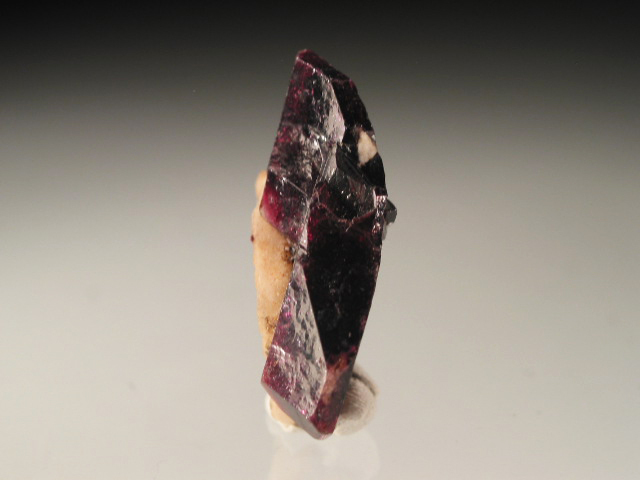 This is my favorite piece from the trip. 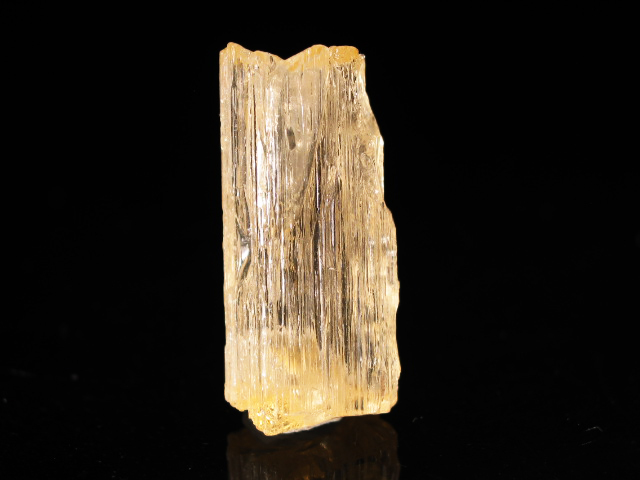 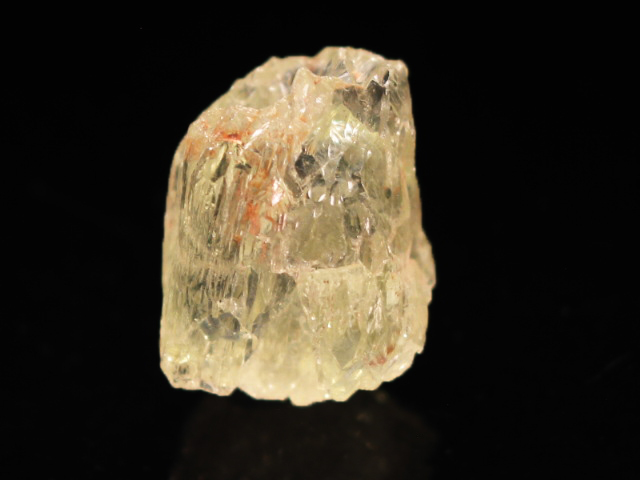 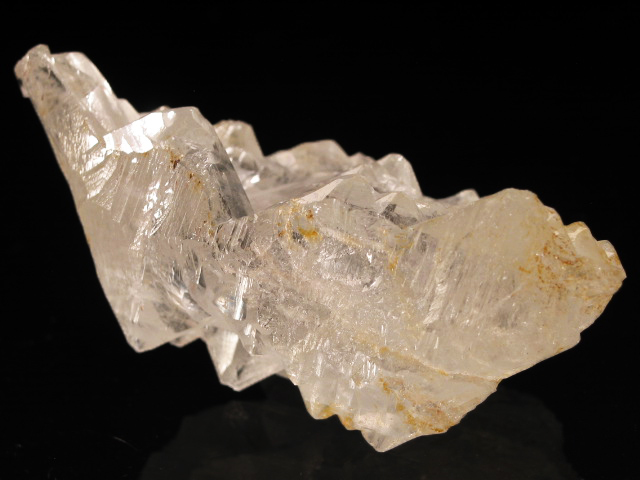 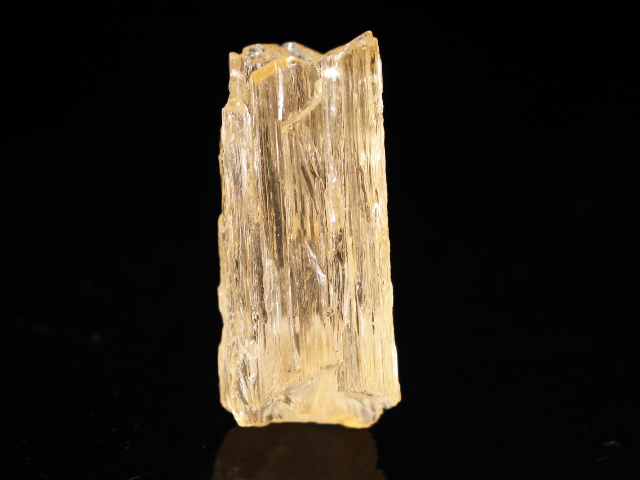 To begin with, topaz is not very common in Madagascar-- for all the gem materials found on the island, good topaz is remarkably difficult to find. 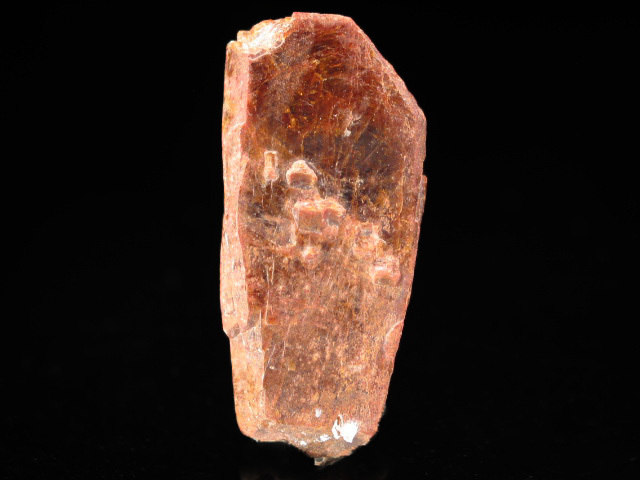 Although not an absolute measure of rarity, Mindat only has 6 photographs of Malagasy topaz-- that alone attests to the scarcity of the mineral there. 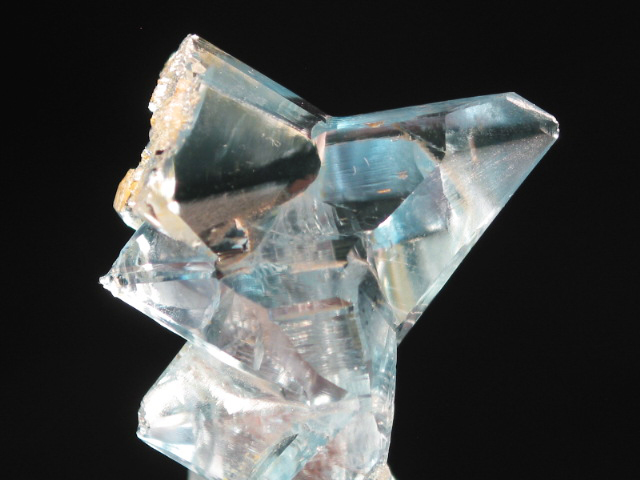 When topaz is found there, it is usually colorless or brownish gray-- this piece is a gem quality and bicolored-- the top is a beautiful aquamarine blue, and the bottom is colorless. 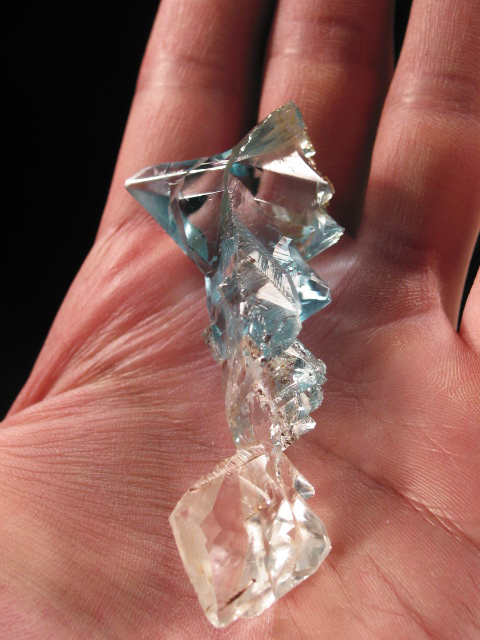 I have never seen such deep blue topaz from Madagascar, and most of the topaz examples from anywhere that have this color have undergone some treatment. 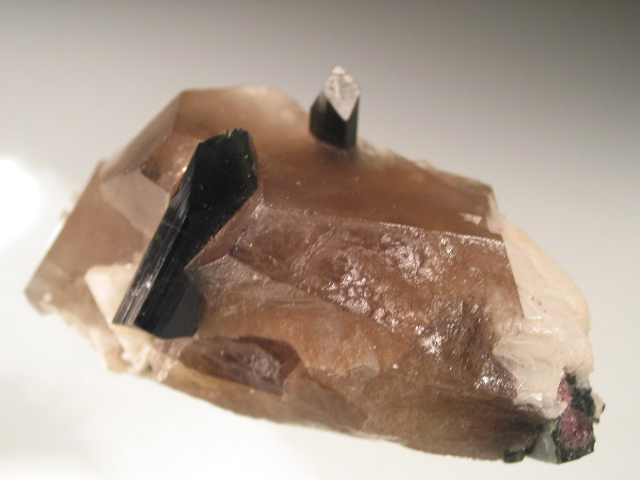 Of course this piece is 1) a bicolored crystal and 2) there is not even a remote chance of radiation treatment in the rural village where I purchased it, so its unenhanced state is beyond doubt. 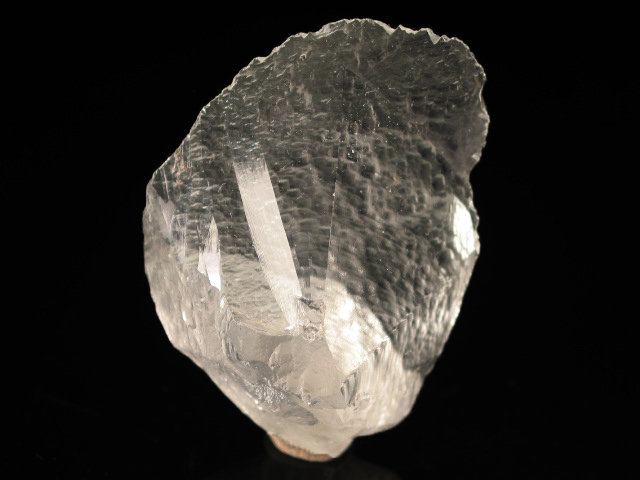 Even the form is exceptionally beautiful-- it is not a standard prism, but rather a strangely elongated and etched crystal, a combination of Christmas ornament, finely cut glass, and jewel. 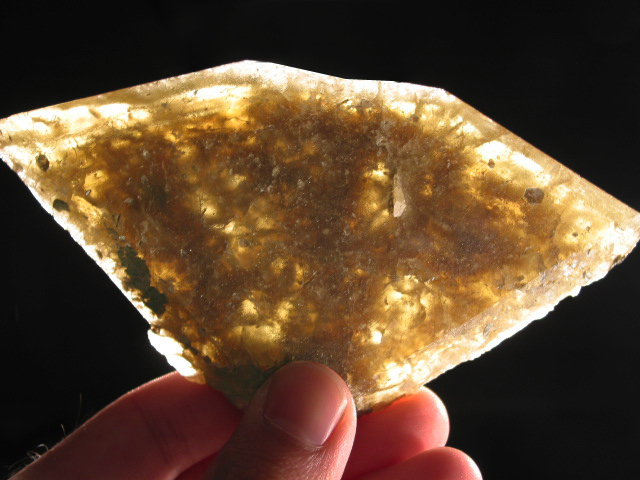 A monstrously large and remarkably complete crystal of sphene from Madagascar. 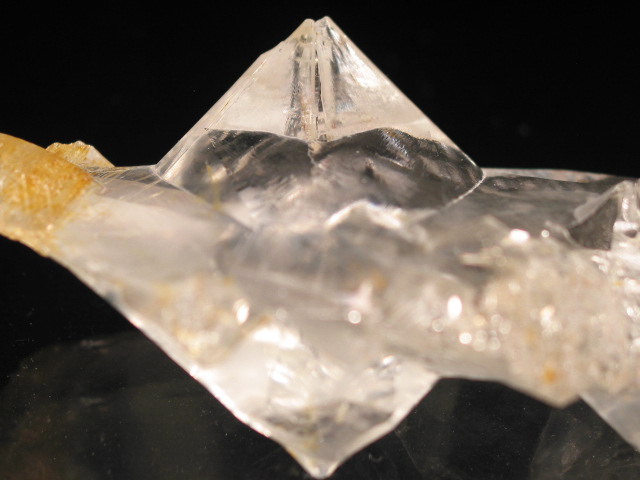 The crystal is a twin, and a complete floater with no visible point of attachment. 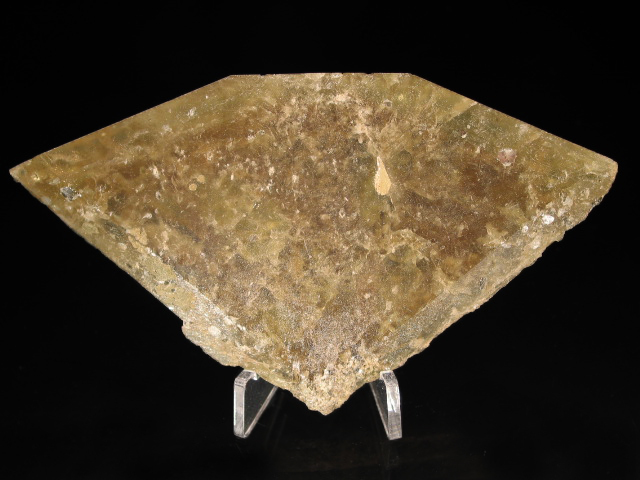 I showed this piece to a dealer who has been in the business for decades and interacted with numerous museums and collectors, and it was the largest complete example he could recall seeing. 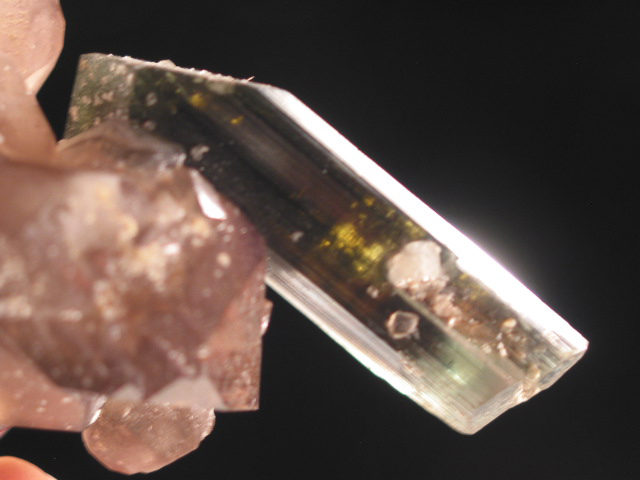 A gemmy and terminated multicolored tourmaline crystal in a quartz matrix. 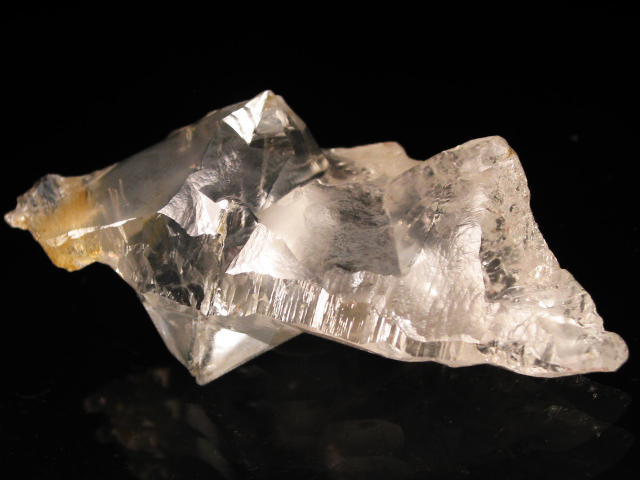 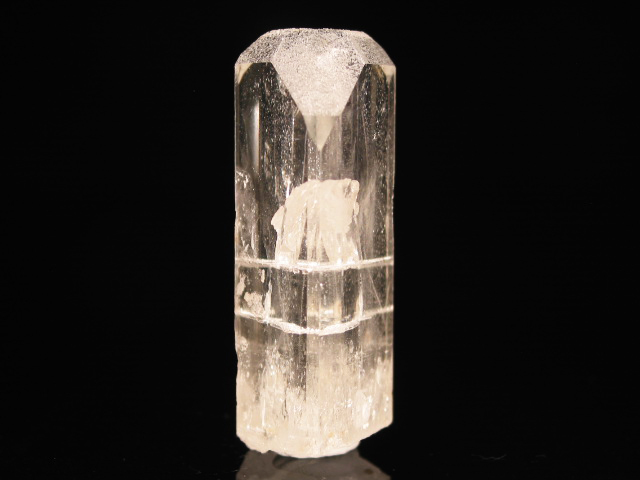 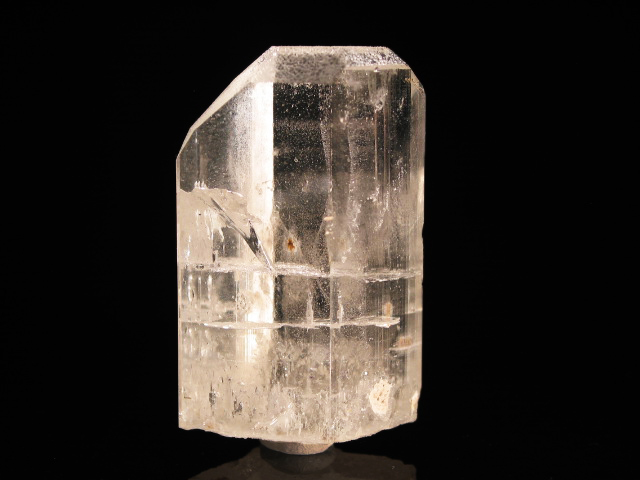 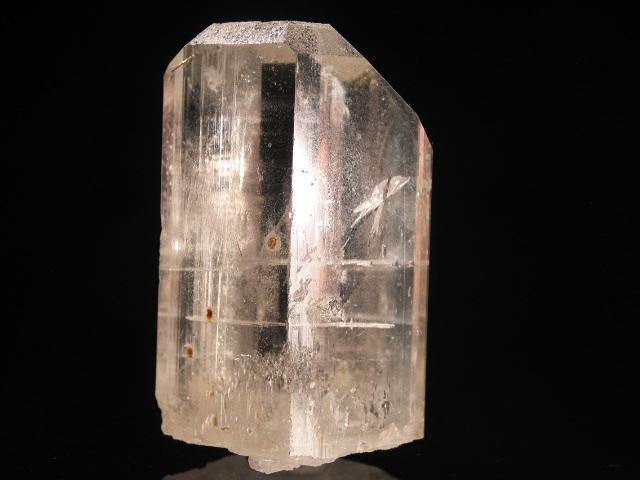 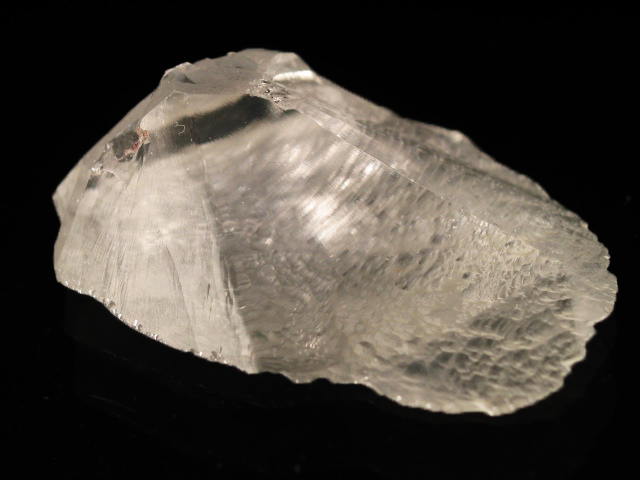 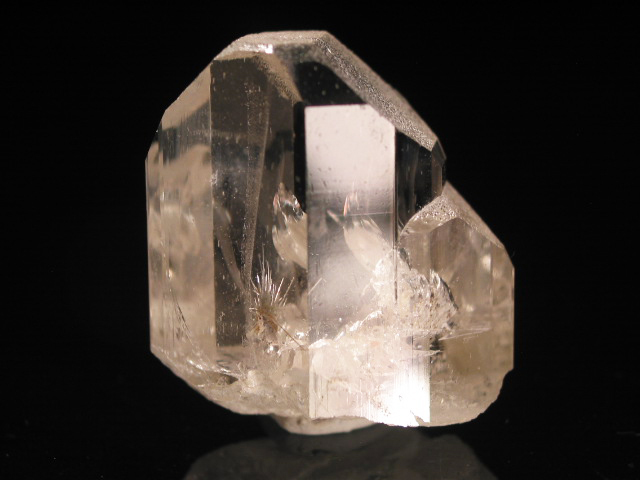 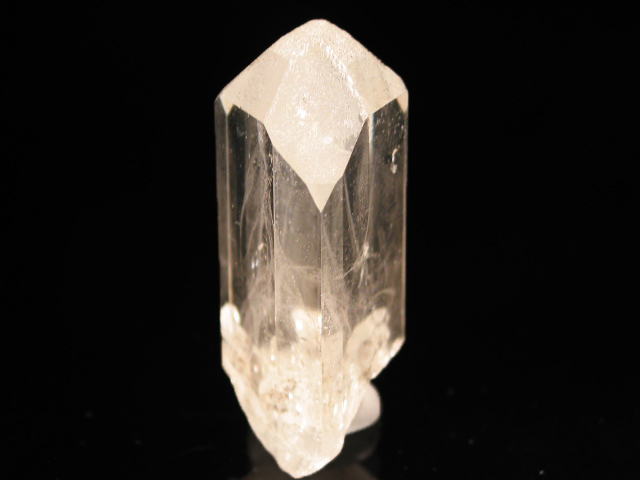 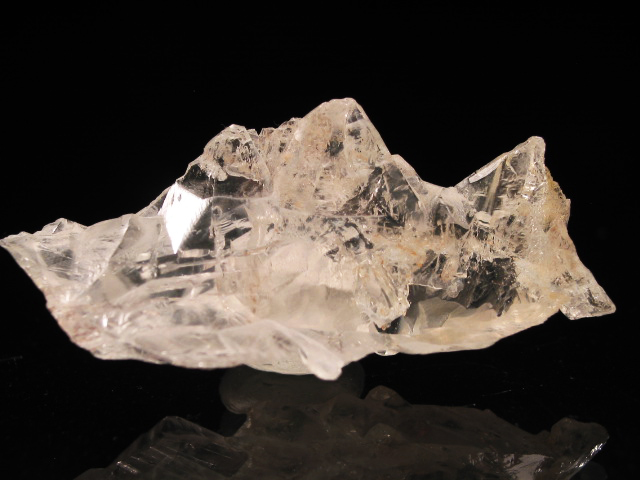 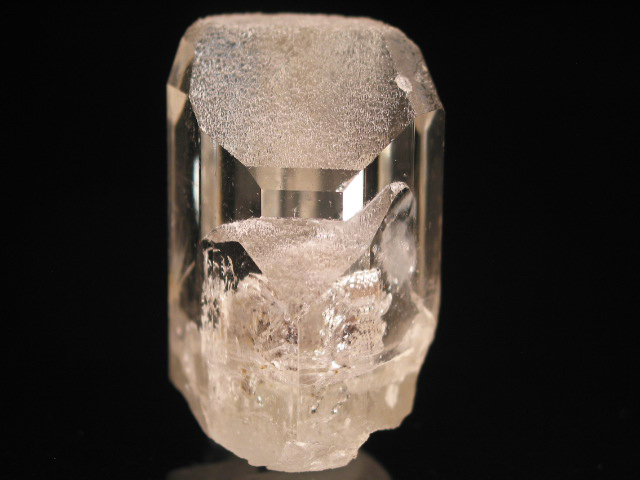 This one displays particularly well with even slight back lighting, as the translucent quartz matrix allows the entire specimen to light up. 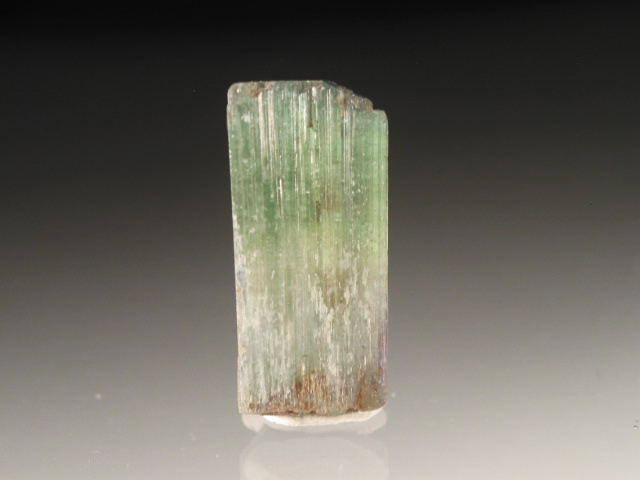 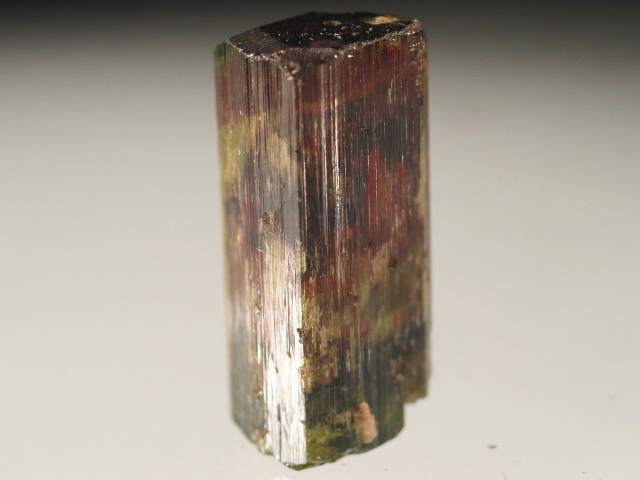 Collectors tend to prefer matrix specimens, though in Madagascar matrix tourmaline specimens are somewhat harder to find-- many of the most notable specimen producing localities consist of decomposed pegmatites, meaning that any matrxes are usually rather crumbly. 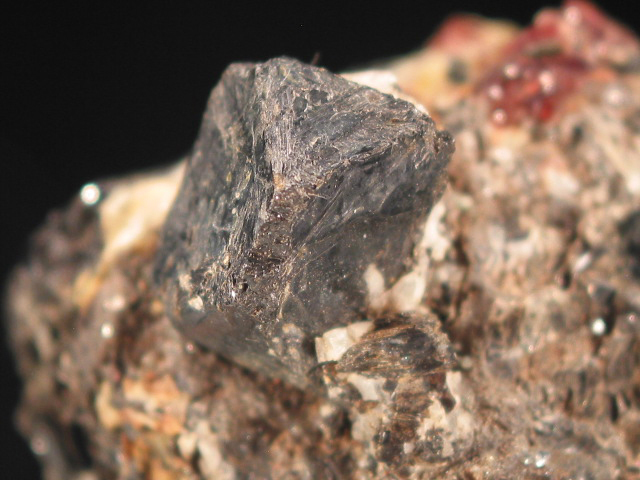 Primitive mining methods also make pieces particularly susceptible to damage during extraction. 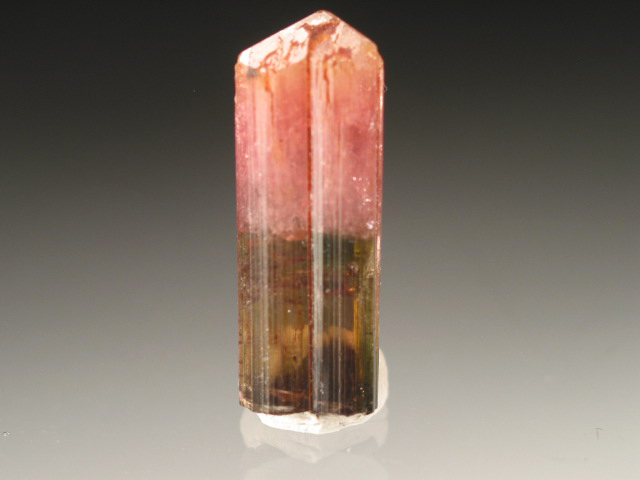 This crystal was recovered on a solid quartz matrix however, making for a beautifully balanced and colorful example of Malagasy tourmaline. 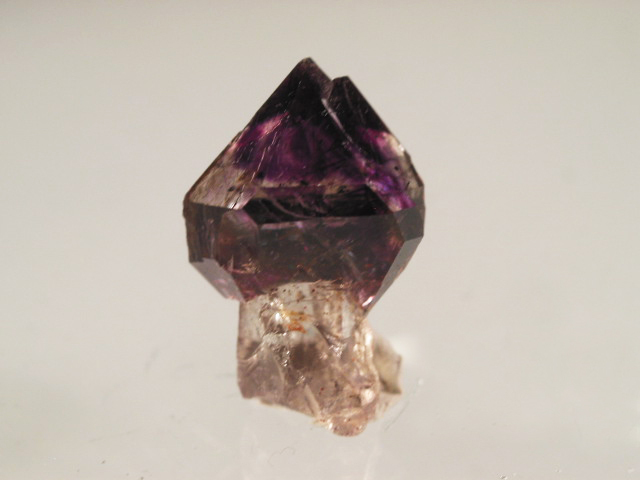 A terminated and reasonably gemmy topaz crystal from Madagascar. 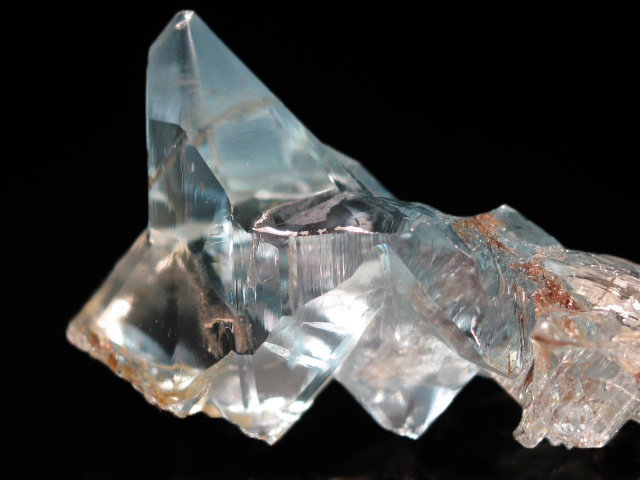 Topaz is not very common in Madagascar-- for all the gem materials found on the island, good topaz is remarkably difficult to find. 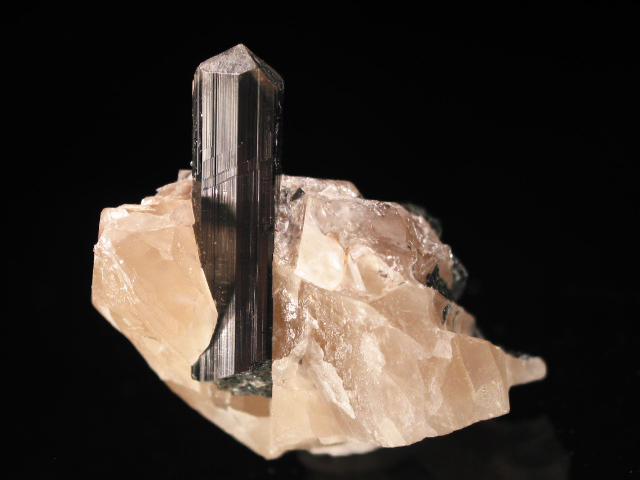 Although not an absolute measure of rarity, Mindat only has 6 photographs of Malagasy topaz-- that alone attests to the scarcity of the mineral there. 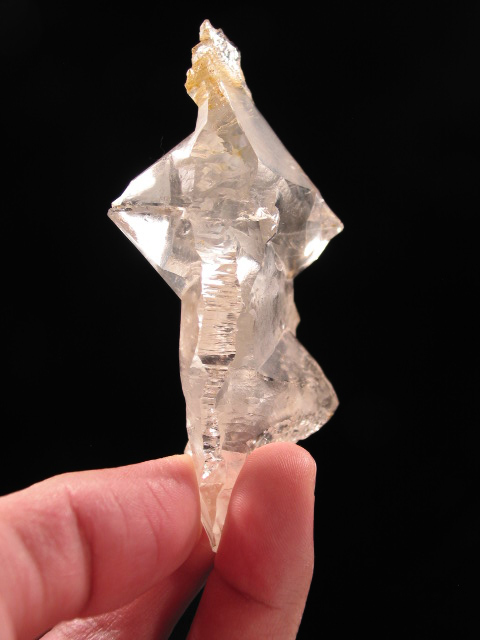 This is a very well formed crystal, and particularly transparent compared to the couple others I have seen. 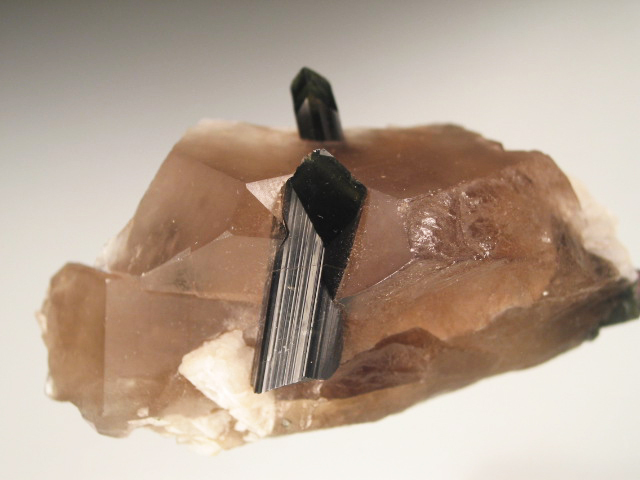 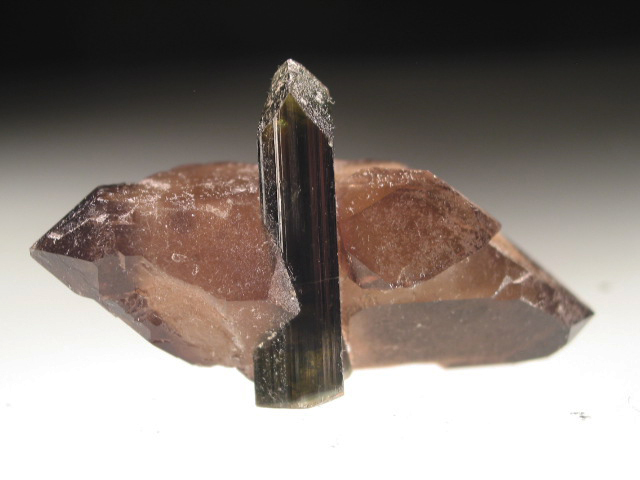 A double terminated crystal of liddicoatite tourmaline on a double terminated smoky quartz crystal. 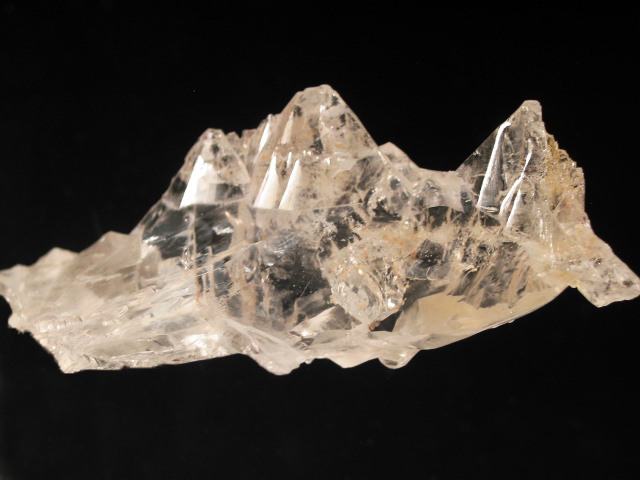 The specimen is a floater, freed from a decomposed pegmatite with no point of attachment. 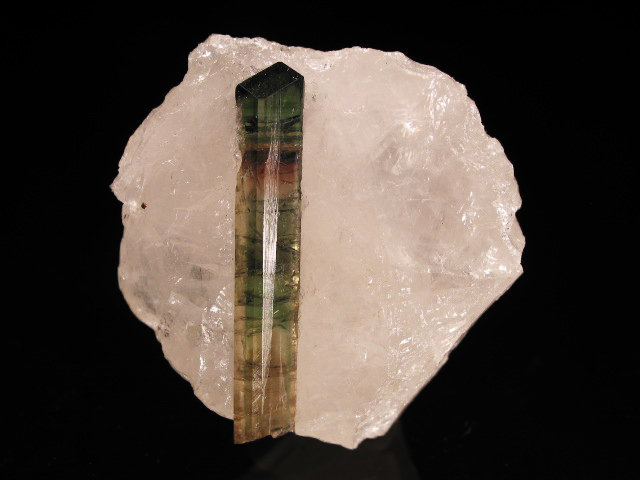 Although the tourmaline crystal appears dark, when held to the light it can be seen to be dark greenish-brown and gemmy. 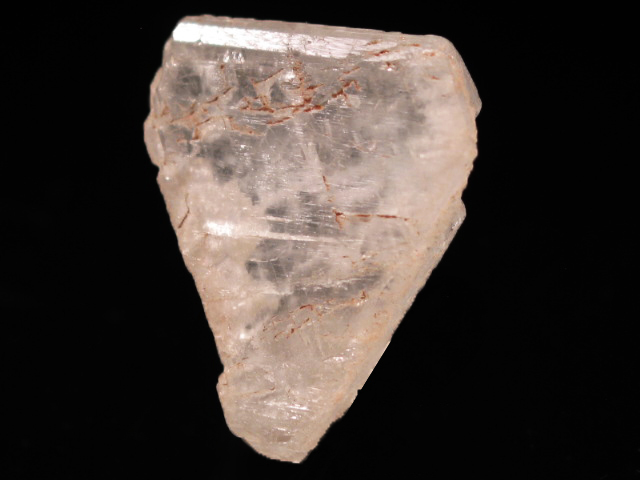 This pocket was found just before I arrived-- there were several of these floater quartz/ liddicoatite combinations found, and I purchased the best examples-- although the pocket produced fewer that 15 specimens, most were damaged during recovery. 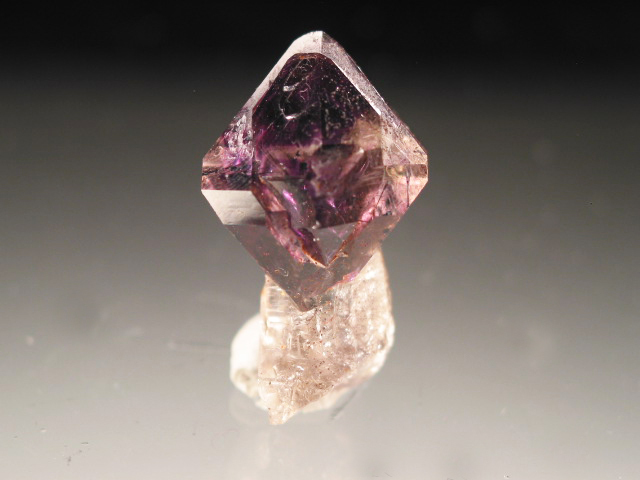 Although not the largest from the group, I consider this one to be the best-- both the minerals present are double terminated, and it is exceptionally well balanced. 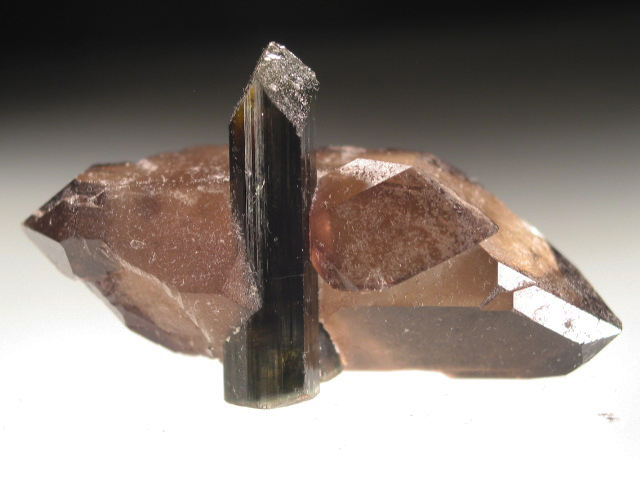 A double terminated crystal of liddicoatite tourmaline on a cluster of terminated smoky quartz crystals. 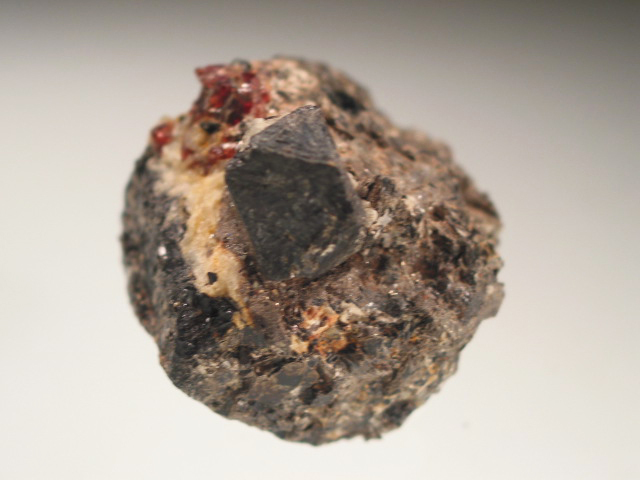 The specimen is a floater, freed from a decomposed pegmatite with no clear points of attachment. 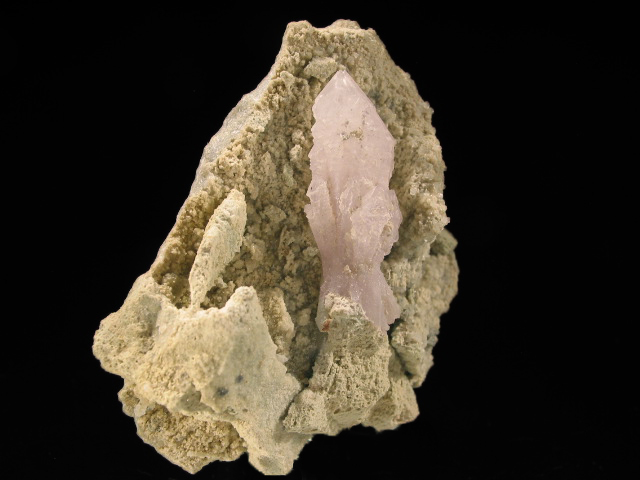 This pocket was found just before I arrived-- there were several of these floater quartz/ liddicoatite combinations found, and I purchased the best examples-- although the pocket produced fewer that 15 specimens, most were damaged during recovery. 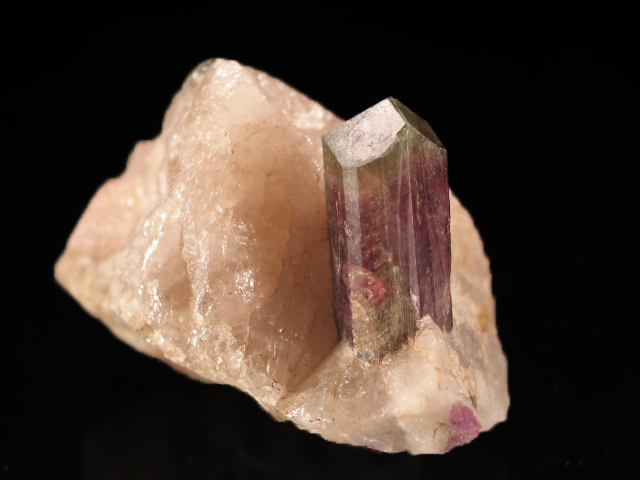 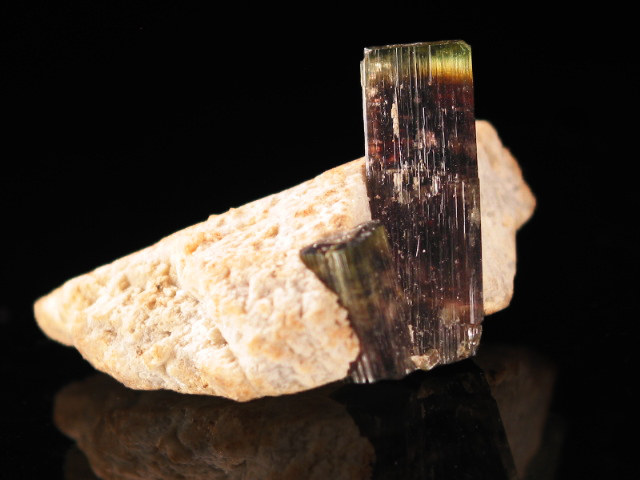 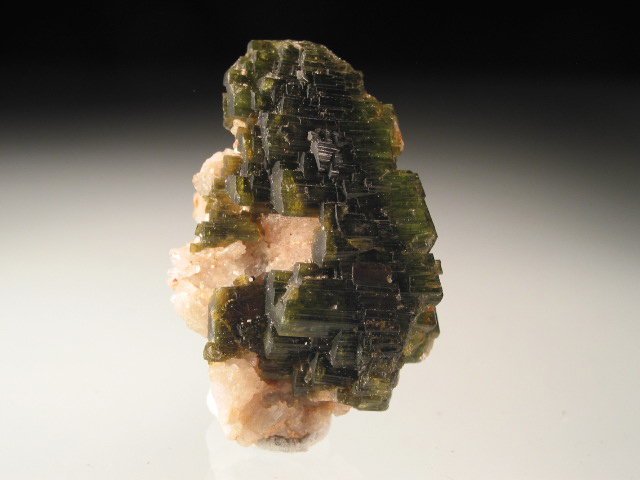 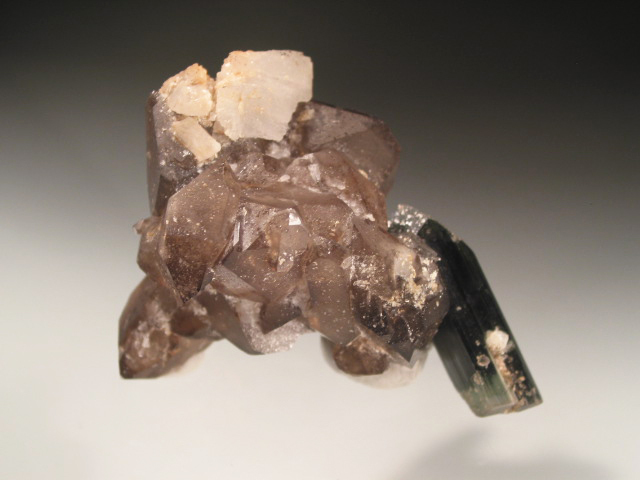 Although the tourmaline crystal appears dark, when held to the light it can be seen to be dark greenish-brown. 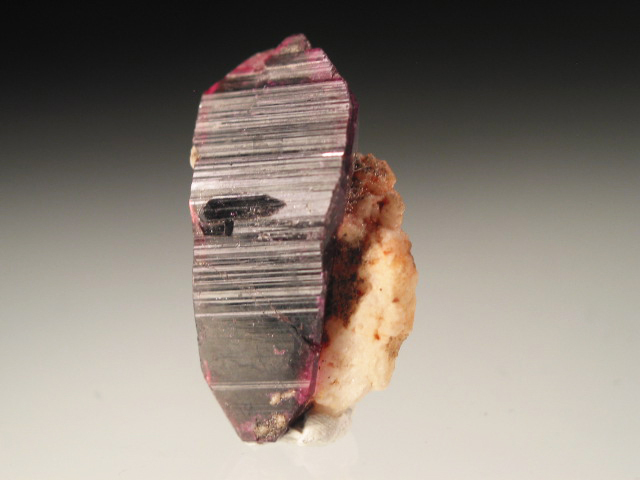 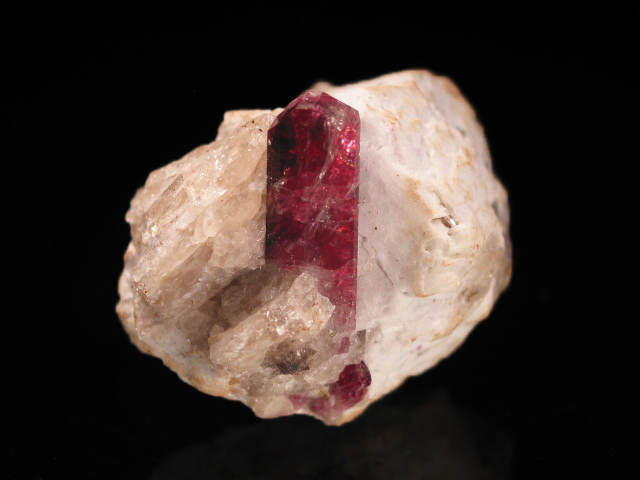 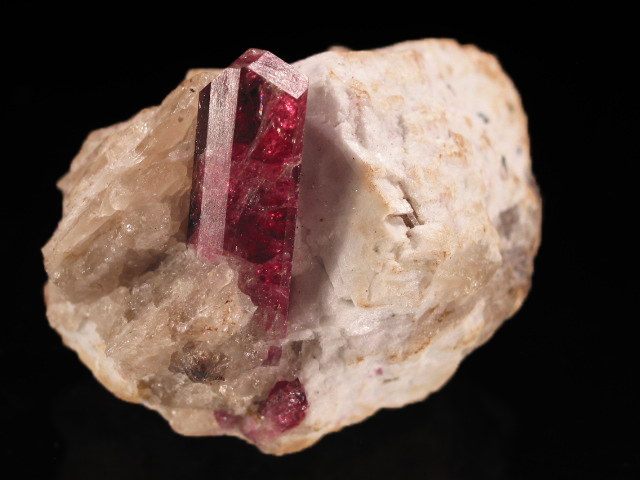 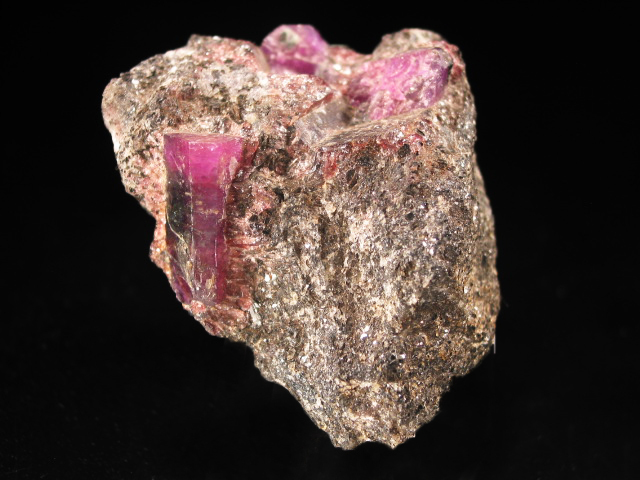 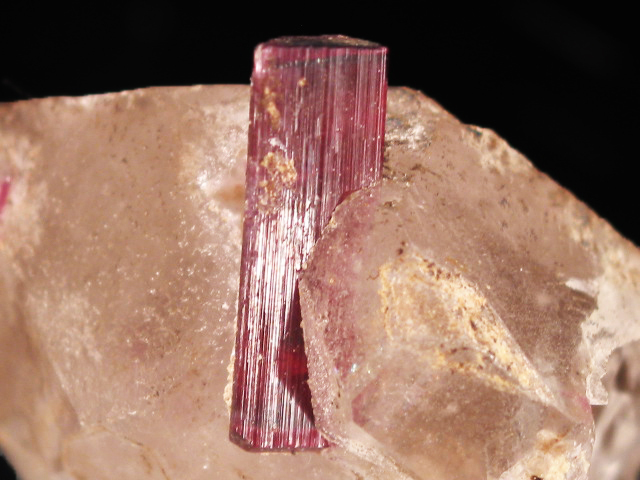 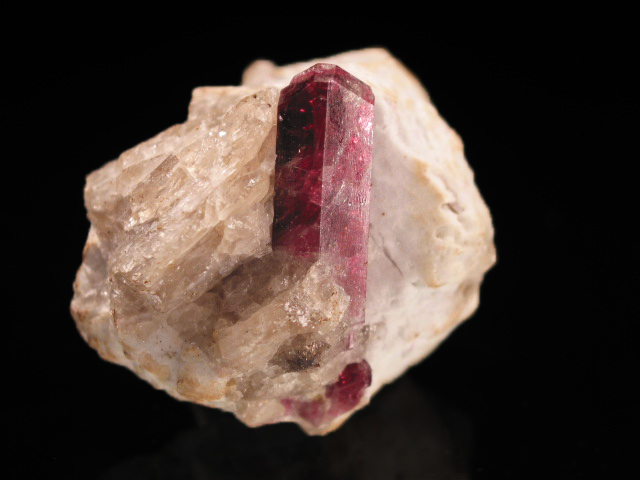 A bright and terminated pinkish-red tourmaline on matrix. 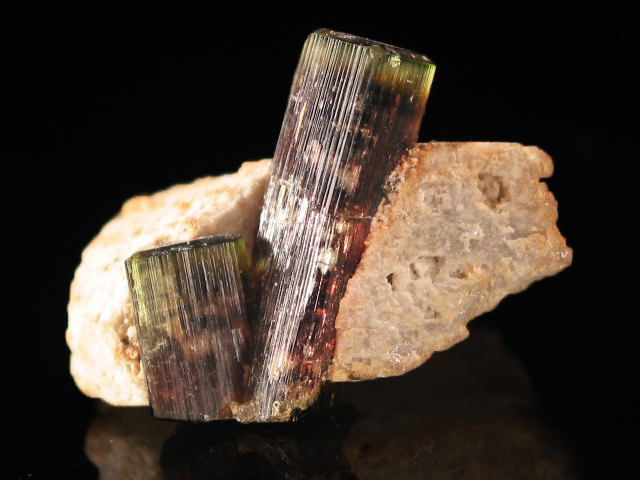 As I've mentioned in other descriptions, good matrix specimens are quite difficult to come by in Madagascar-- there is a lot of tourmaline, but most of it either comes from localities with crumbly decomposed pegmatites, or it gets broken off. 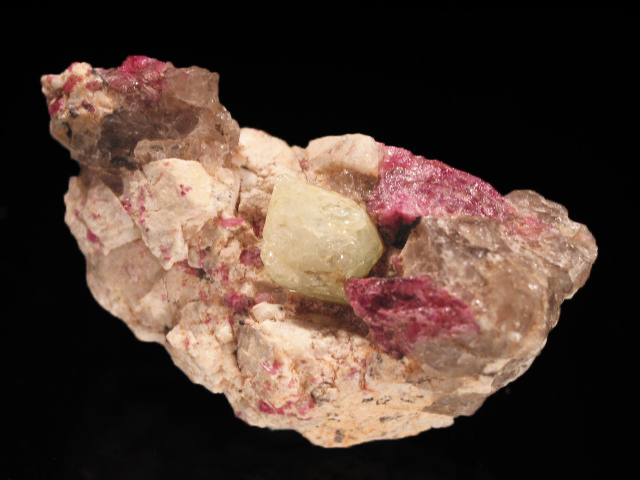 This piece has great color-- you don't see such intensity from Pakistan and Afghanistan, and I would say it is most comparable to the best colored material from Nigeria or Brazil. 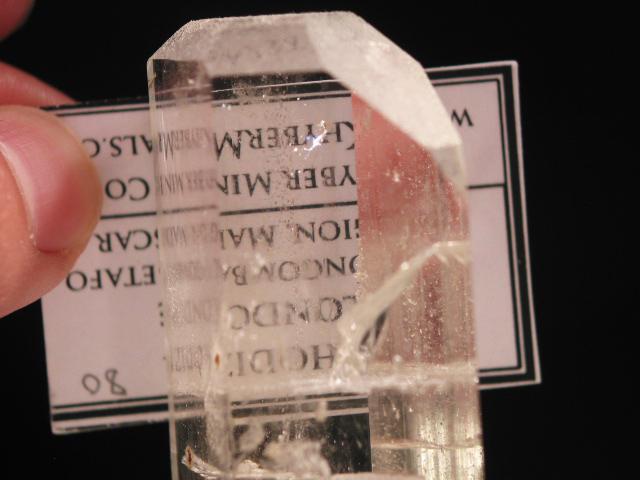 I took extra pictures of this one-- the internal fractures make it a bit difficult to see the sharp crystal form, so I wanted to make sure the crystal faces were clearly visible. 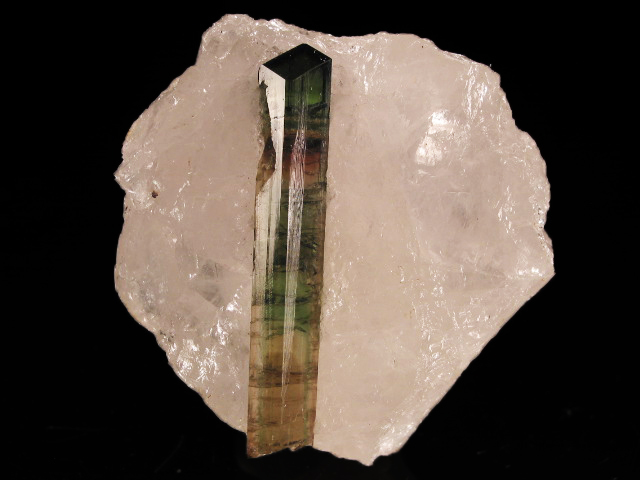 Another difficult to come by matrix tourmaline specimen from Madagascar, this one hosting a perfectly terminated pink and green crystal on a quartz matrix. 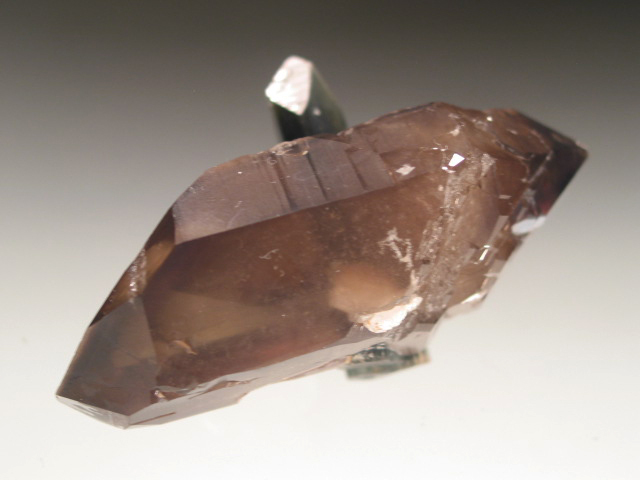 The crystal is not transparent, so the color appears a bit darker. 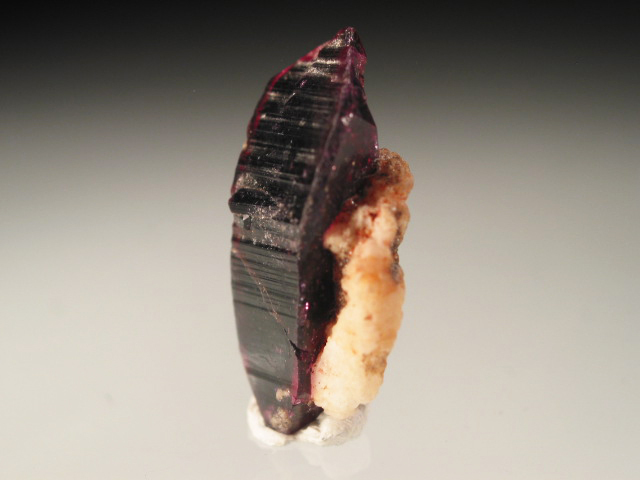 The form and composition on the piece are excellent however, and as I've mentioned repeatedly in other descriptions, damage free matrix specimens are particularly hard to find. 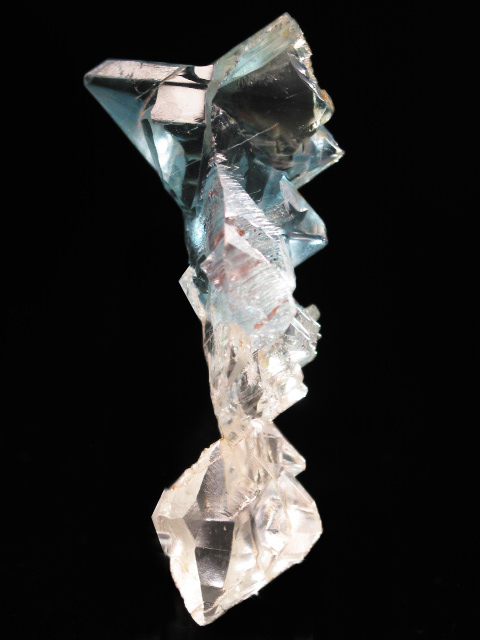 An unusual topaz crystal, completely gem except for one end that has some stringy inclusions. 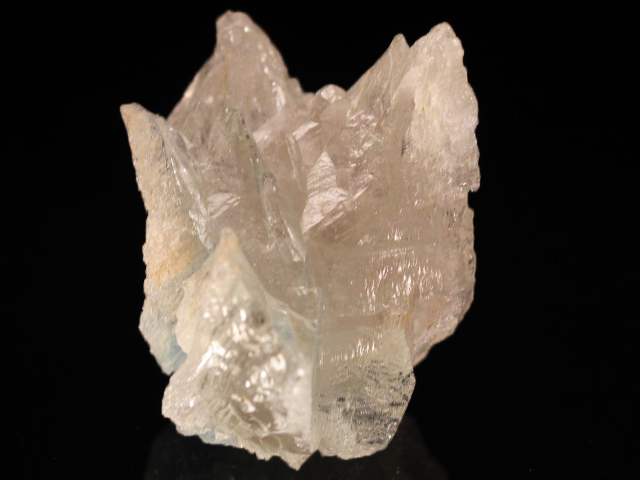 This comes from the same find that produced the blue bicolored specimen also on this update. 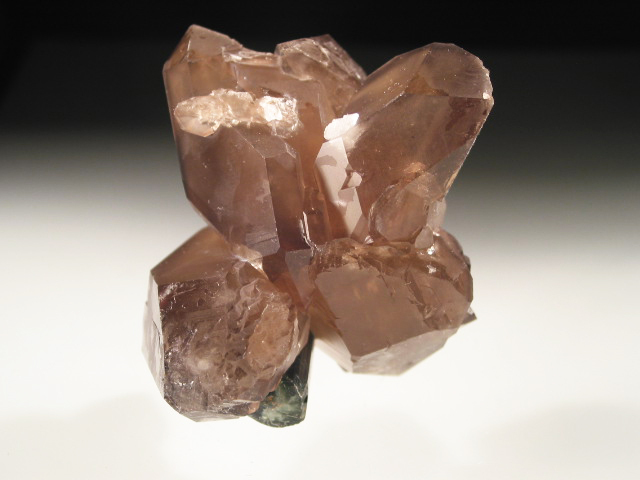 With that said, I've never seen another example of topaz like this from the country. 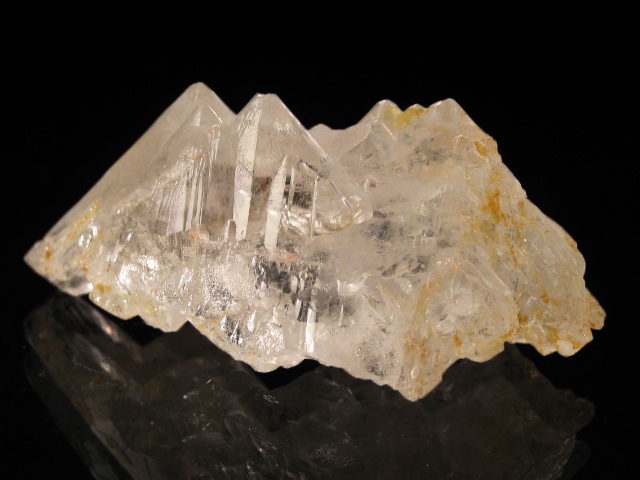 An interesting feature is visible in the closeup-- there seems to be some sort of a twin growth on one of the peaks. 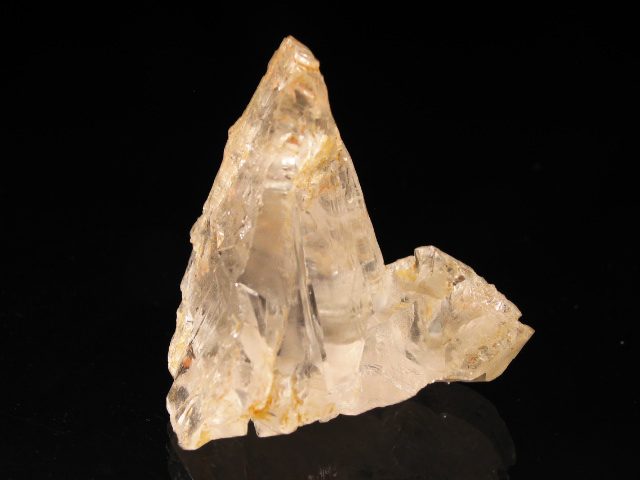 An unusual topaz crystal, of almost completely gem quality. 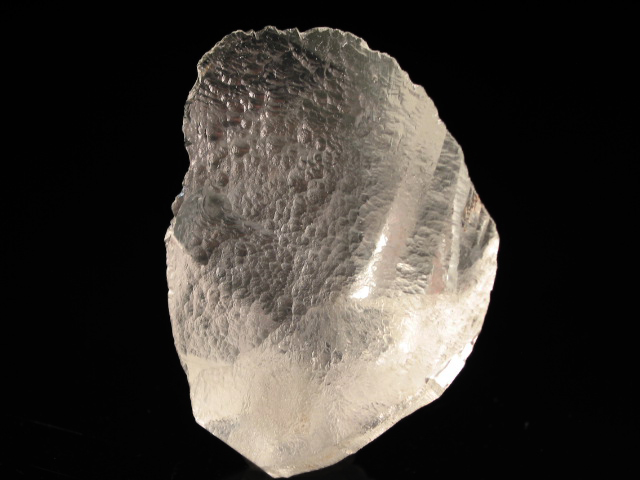 The back face has a frosted and wavy texture, though as you can see in the pictures where the surface reflections are visible, the piece is perfectly clear. 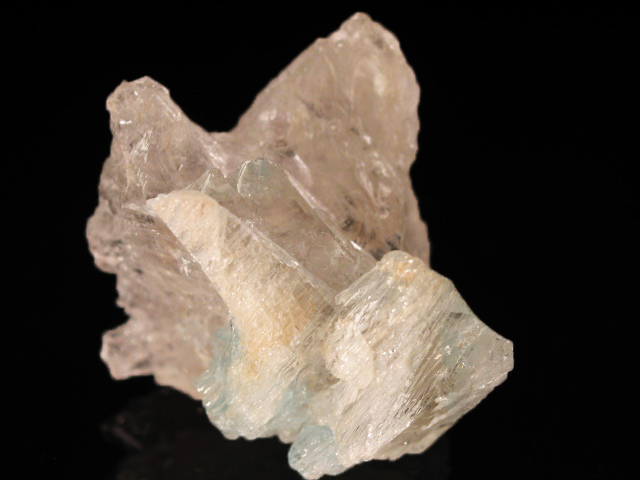 This comes from the same find that produced the blue bicolored specimen also on this update. 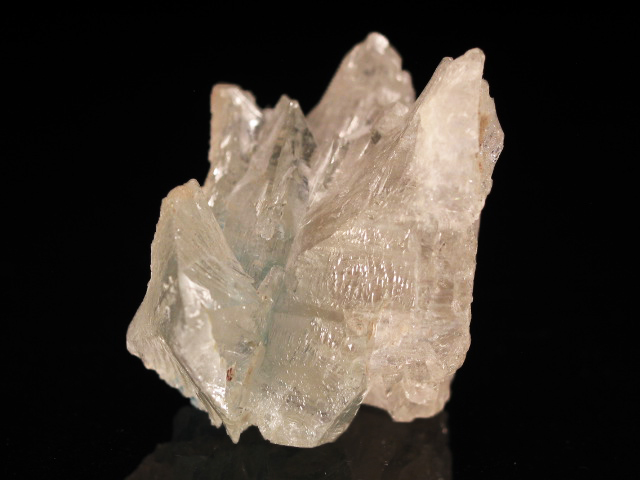 An unusual etched topaz crystal from the same find that produced the blue bicolored specimen also on this update. 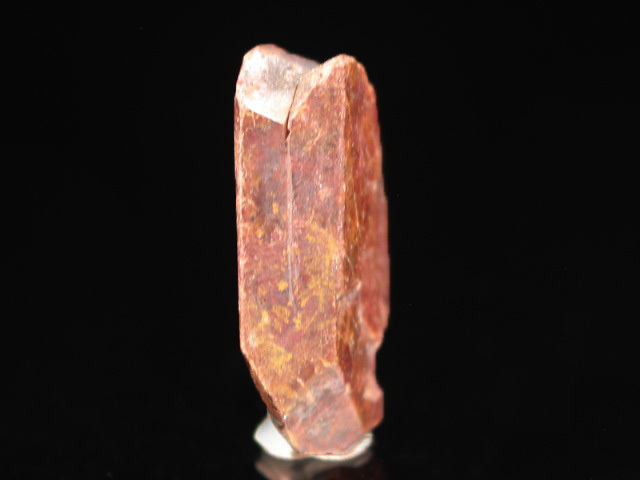 There is a bit of reddish brown African dirt under the surface of the crystal that gives it the rusty color-- I've made it cheaper because of that, though the form is excellent. 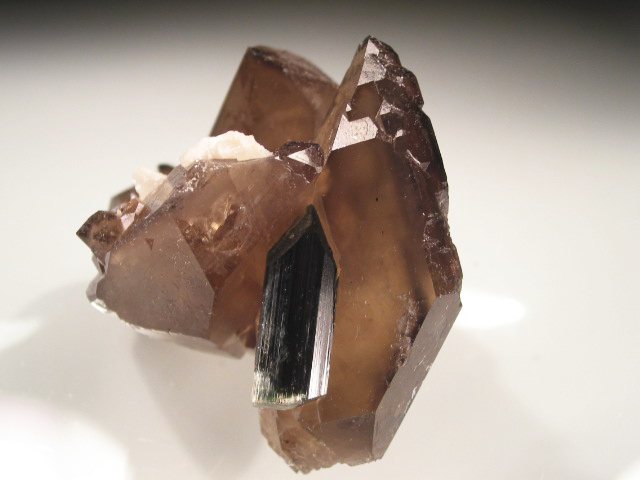 With that said, I've never seen another find of topaz like this from the country. 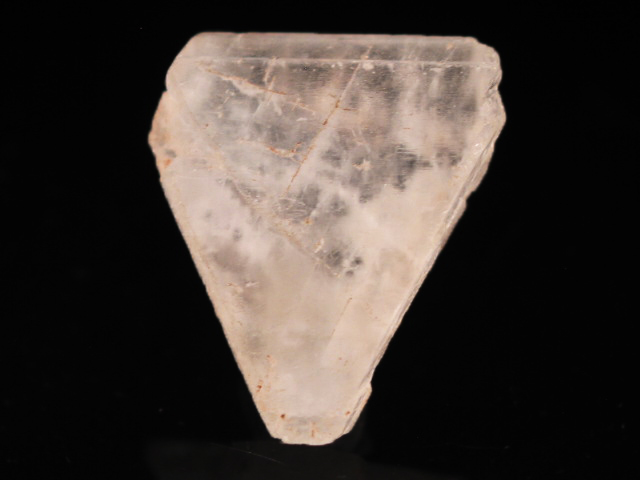 An unusual etched topaz crystal from the same find that produced the blue bicolored specimen also on this update. 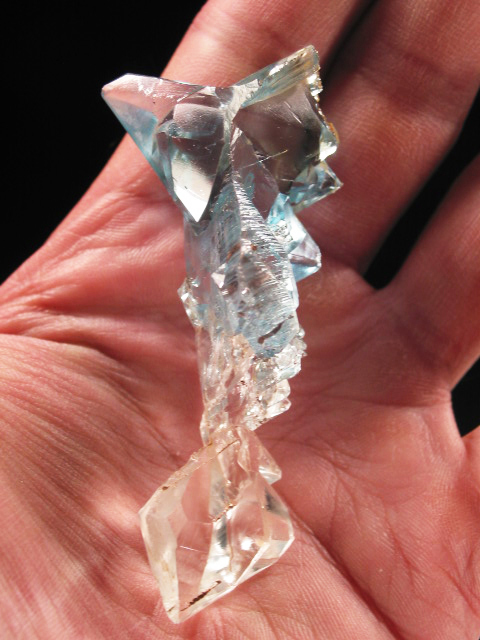 There is a bit of etching and the complex growth of the crystal makes it look somewhat messy int he pictures, but it looks like a shard of glass in person. 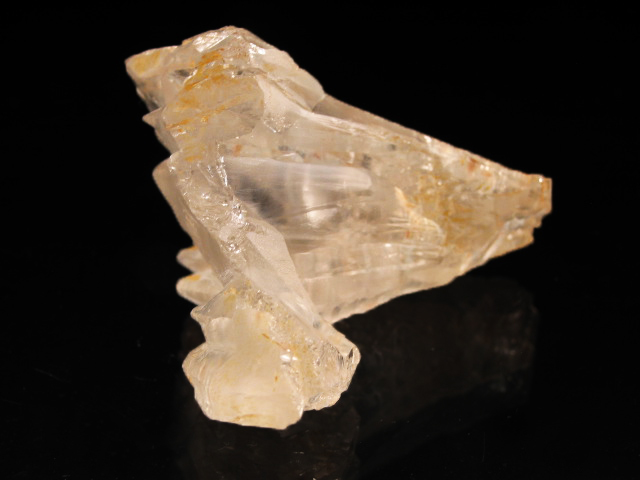 An unusual etched topaz crystal from the same find that produced the blue bicolored specimen also on this update. 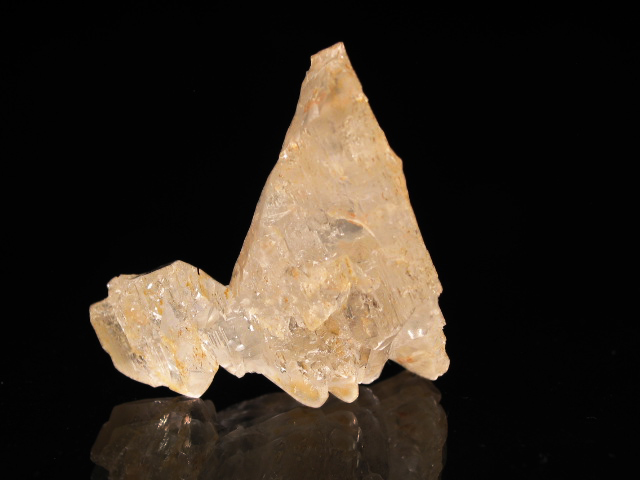 This piece shows multiple "peaks" and good form. 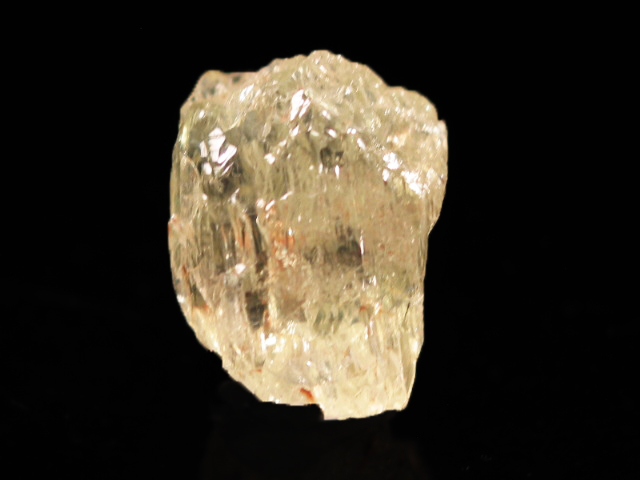 With that said, I've never seen another find of topaz like this from the country, so for the price I think this is a pretty good (and rare) opportunity to add one to your collection. 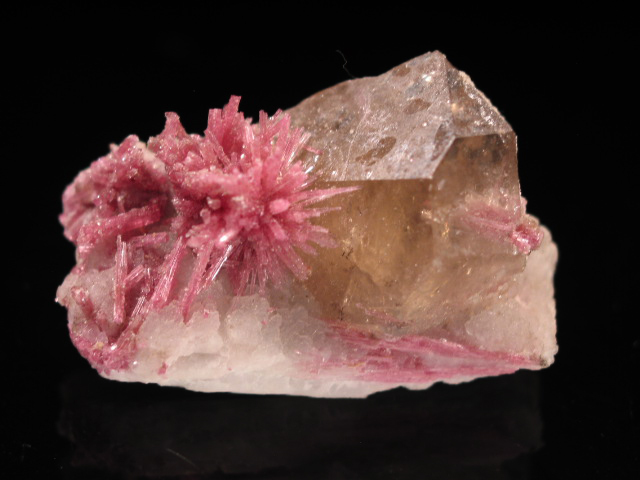 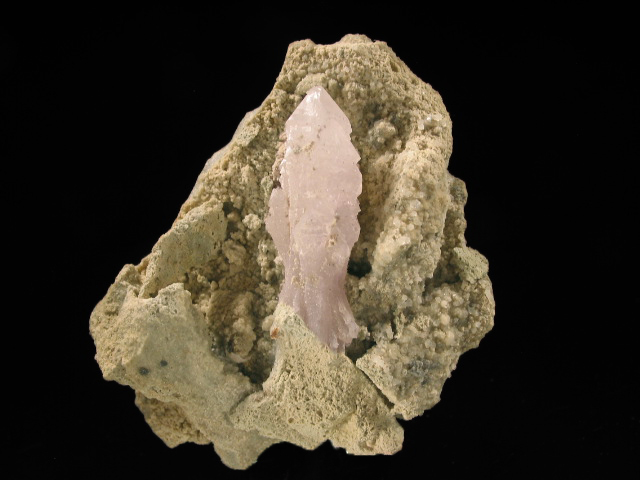 An interesting (and delicate) tourmaline specimen, consisting of a radiating cluster of pink needles on a shard of quartz. 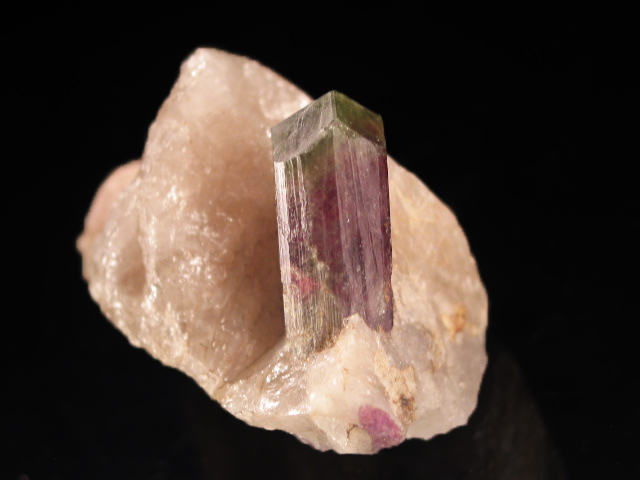 I thought this was really interesting, compared to all the standard prisms one sees from virtually every tourmaline locality in existence. 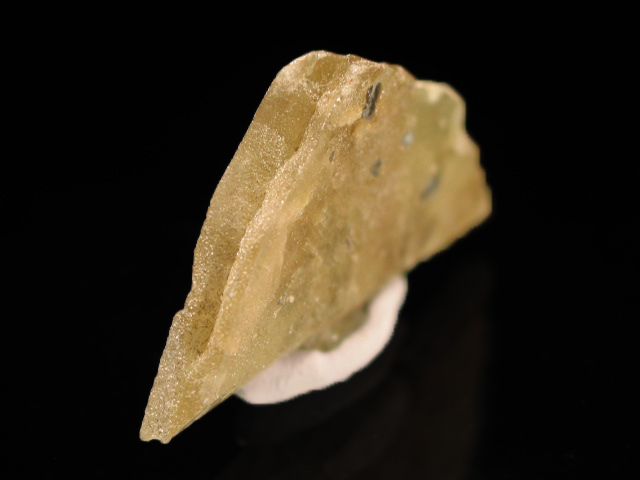 A hard to find example of sphene from Madagascar, this one a twinned crystal. 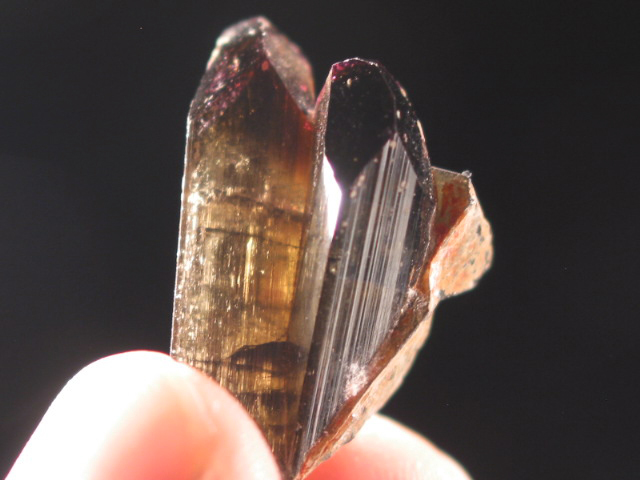 Every trip to Madagascar seems to bring certain items whose existences I am aware of, though that I haven't had the chance to see on other trips On the first trip, I encountered a group of kornerupines-- I havent seen any since. 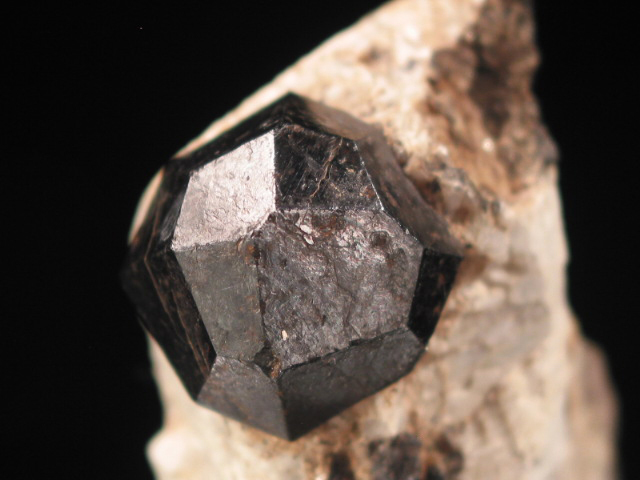 On the second trip it was a magnificent bismutotantalite. 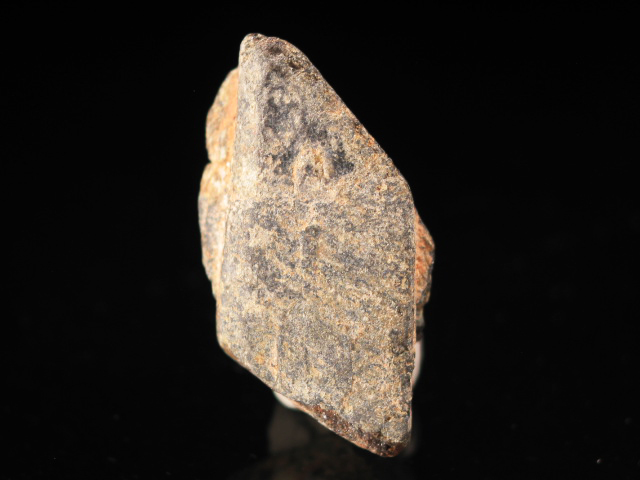 On this trip, the special finds were these titanites and the topazes-- I hadn't seen any on the previous two trips, but this time there were good examples of both available. 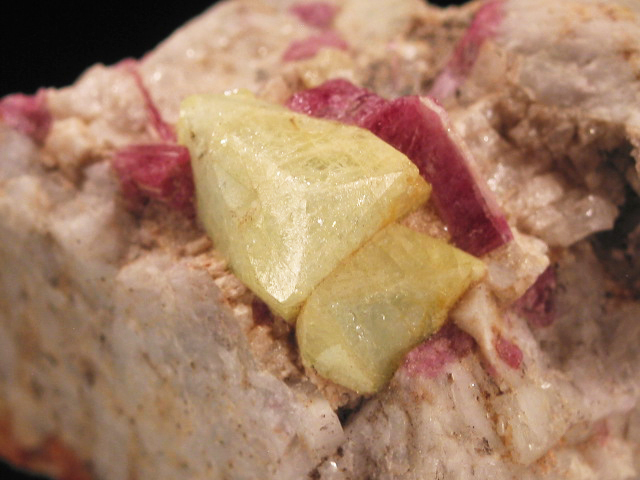 It's part of what makes these trips fun. 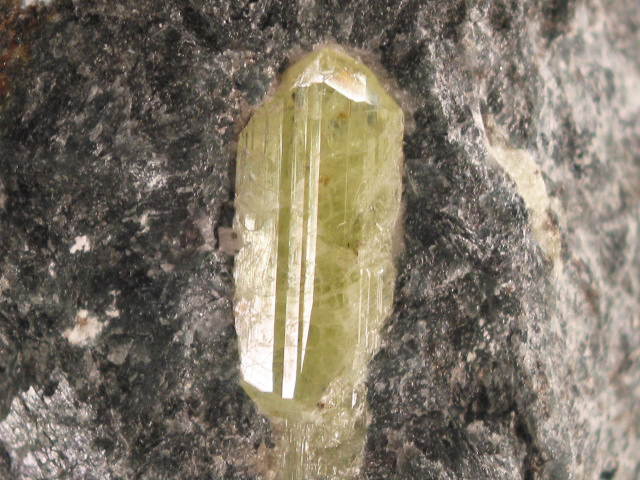 A hard to find example of sphene from Madagascar, this one a twinned crystal. 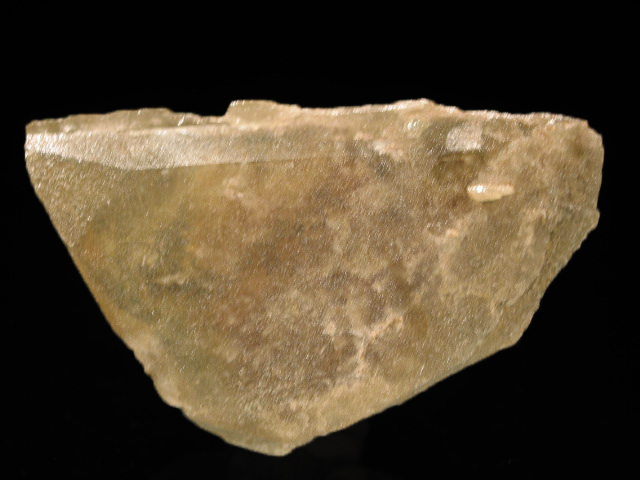 There is a bit of edge chipping heere and there, and damage on one corner-- but that is only visible from one side. 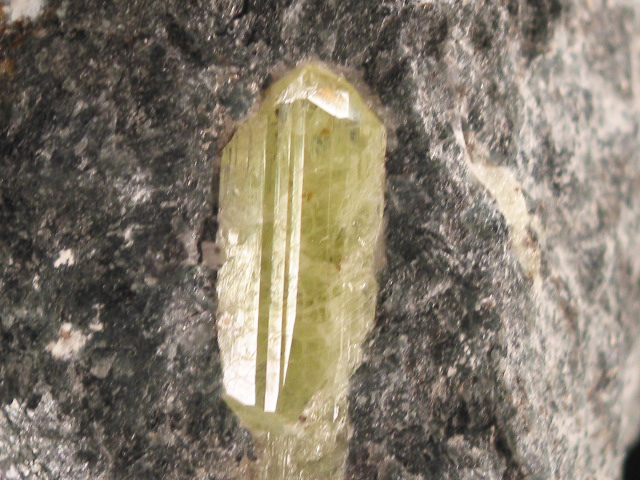 Every trip to Madagascar seems to bring certain items whose existences I am aware of, though that I haven't had the chance to see on other trips. 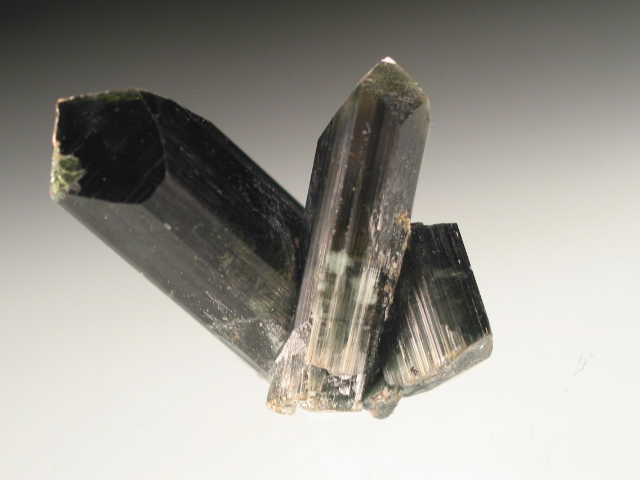 On the first trip, I encountered a group of kornerupines-- I havent seen any since. 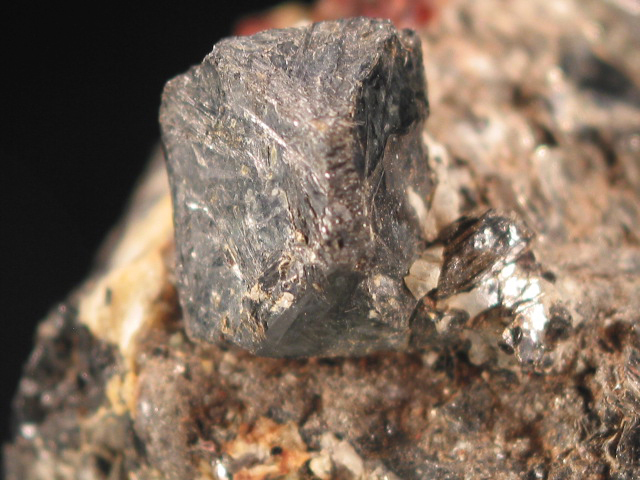 On the second trip it was a magnificent bismutotantalite. 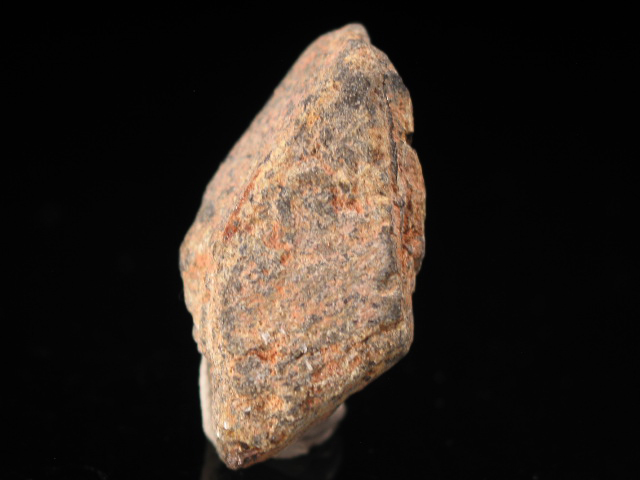 On this trip, the special finds were these titanites and the topazes-- I hadn't seen any on the previous two trips, but this time there were good examples of both available. 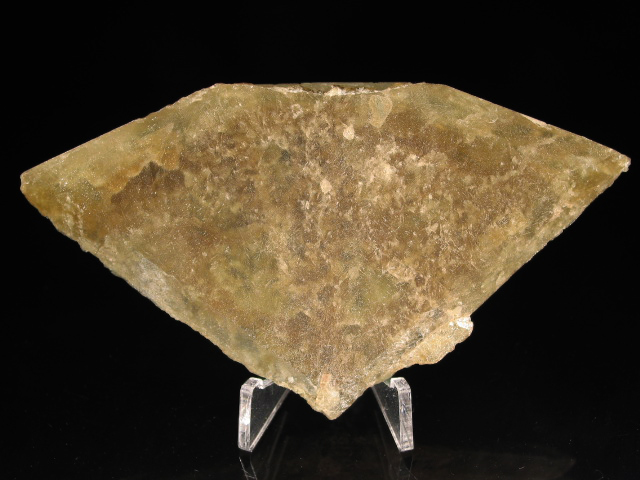 It's part of what makes these trips fun. 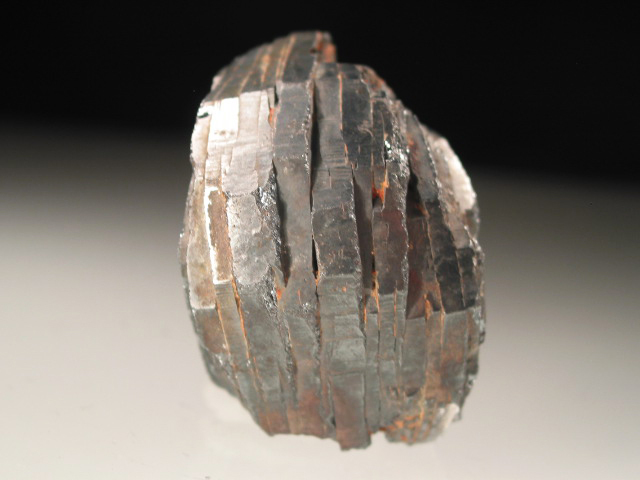 An excellent thumbnail of this rare beryllium borate. 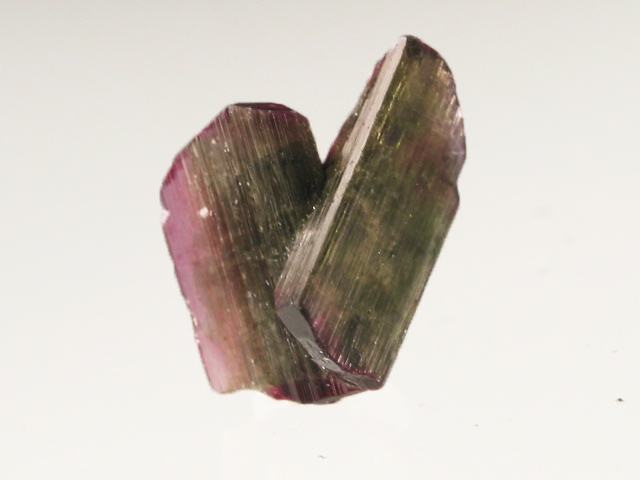 These are rather rare, and what I've seen in the past are usually just broken or very small shards. 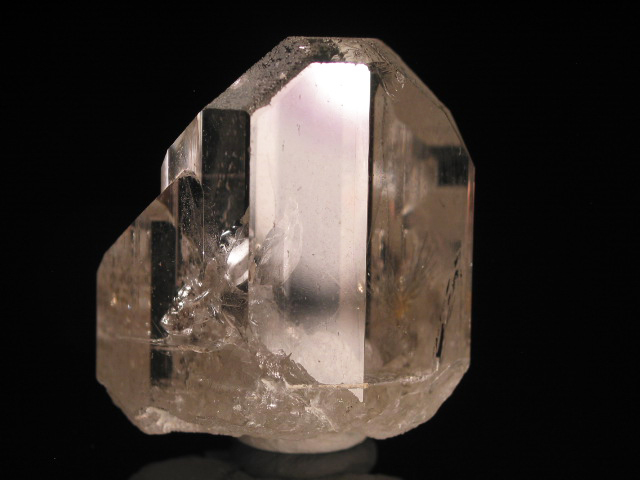 This crystal was particularly nice-- I cant tell if it is a twin or a parallel growth, but either way it is a top quality thumbnail of the species. 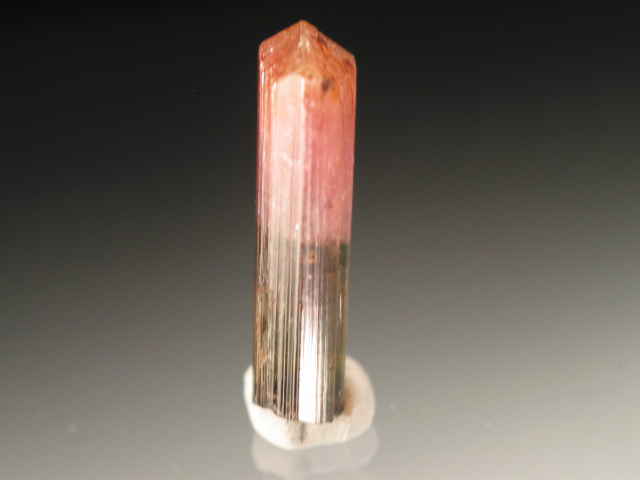 An intensely colored and doubly terminated pinkish-red tourmaline crystal on a partial (but also terminated) smoky quartz crystal. 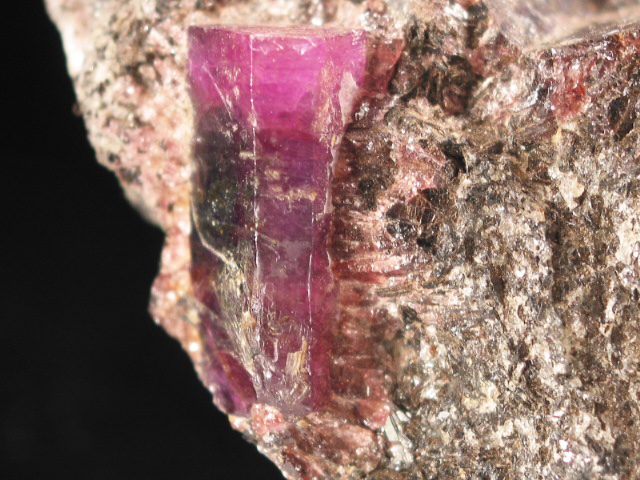 These pictures are taken under intense lighting, and that is obviously the best way to show off the color in your display. 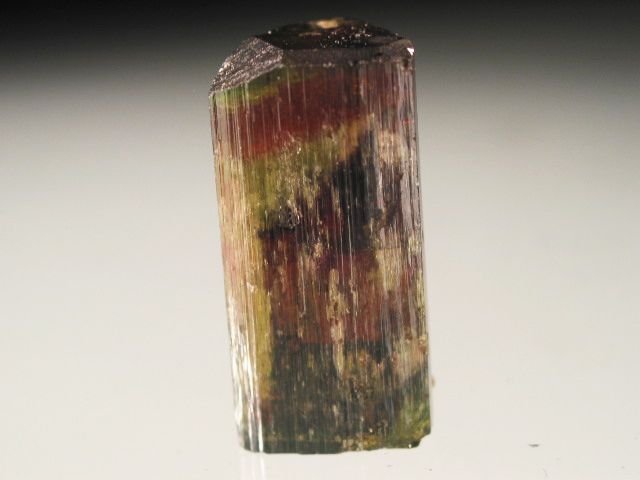 An interesting tourmaline specimen, consisting of a parallel growth of flattened and doubly terminated tourmaline crystals on matrix. 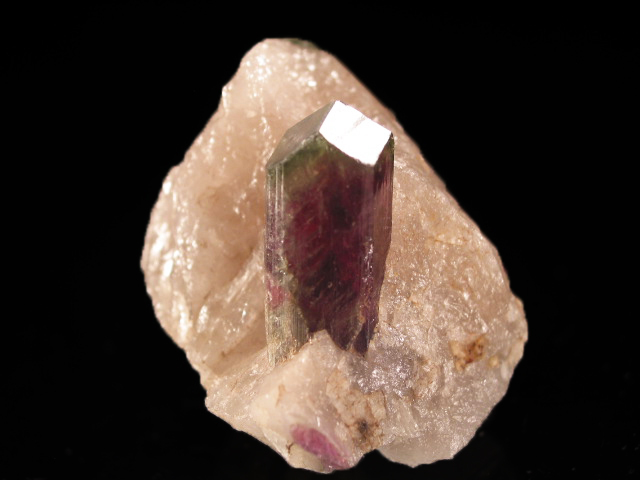 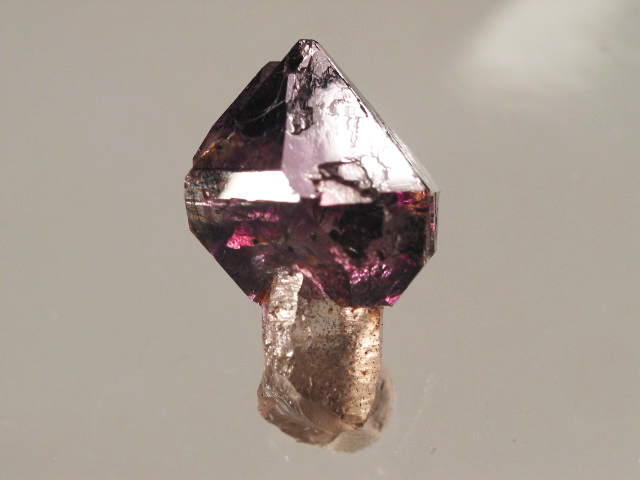 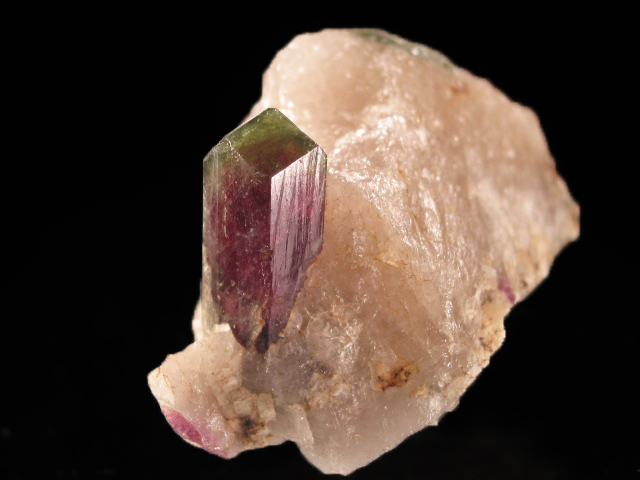 A great liddicoatite thumbnail, featuring an unusually flattened and doubly terminated purplish colored crystal. 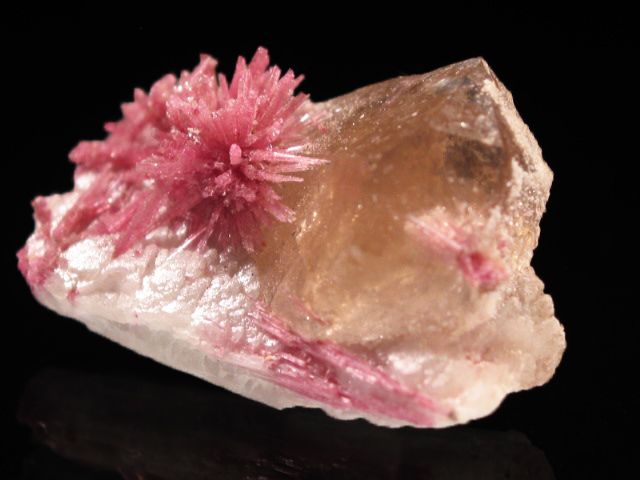 Unusual and attractive. 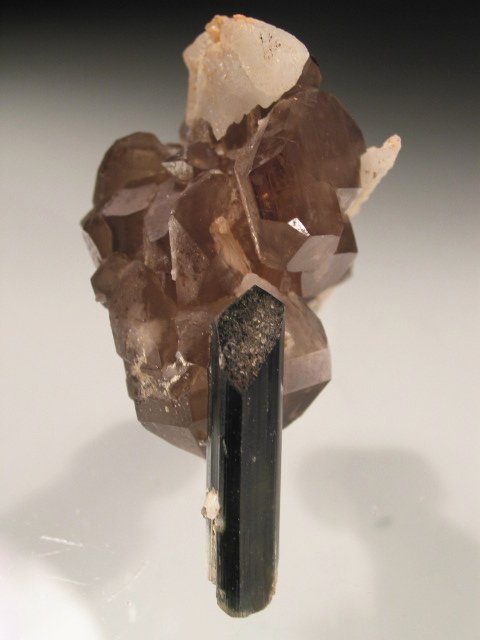 Another specimen from the pocket that produced the smoky quartz/ liddicoatite combinations posted earlier on this page. 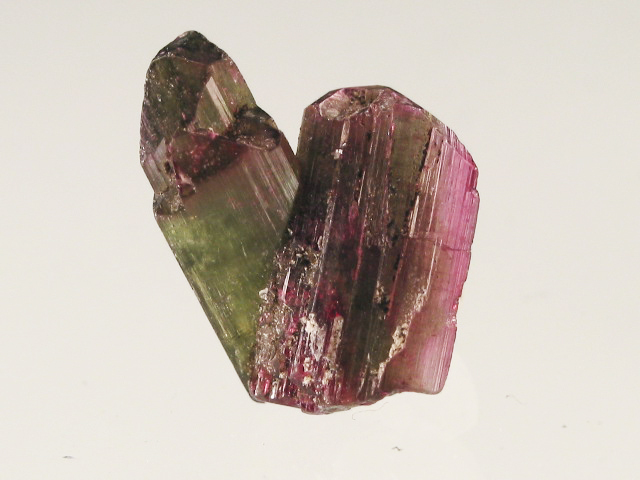 There is a bit of chipping on the tourmaline, but the price takes this into account. 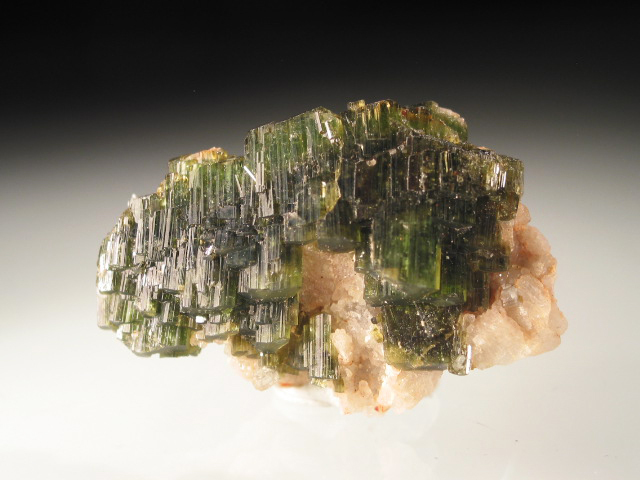 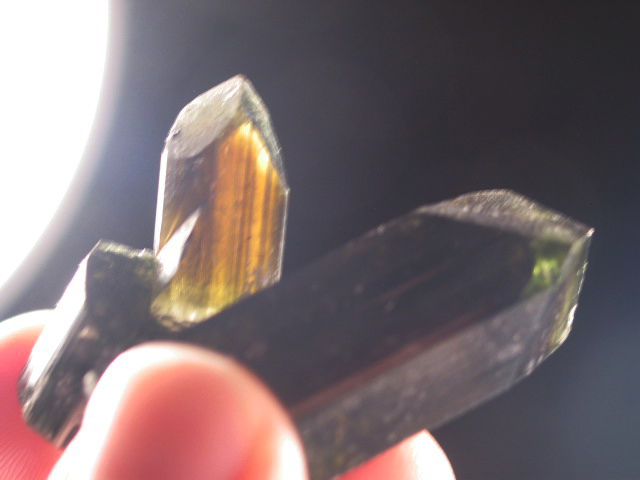 When backlit, the tourmalines are greenish brown. 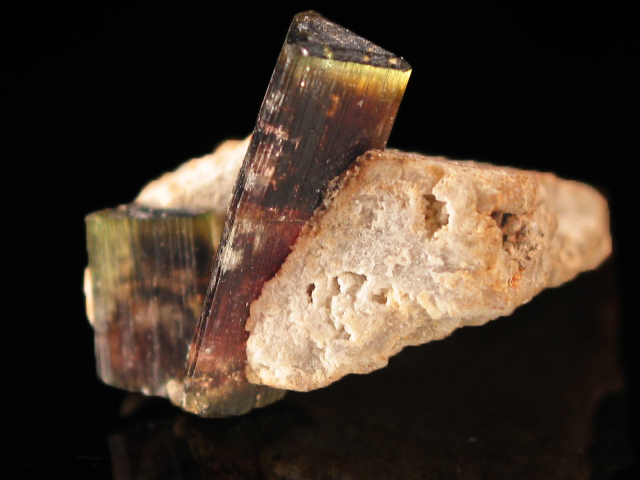 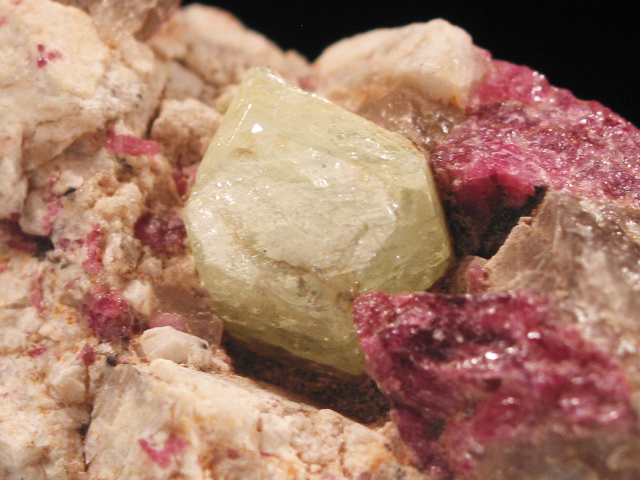 A pair of doubly terminated polychrome tourmaline crystals sitting on the edge of a slightly weathered albite matrix. 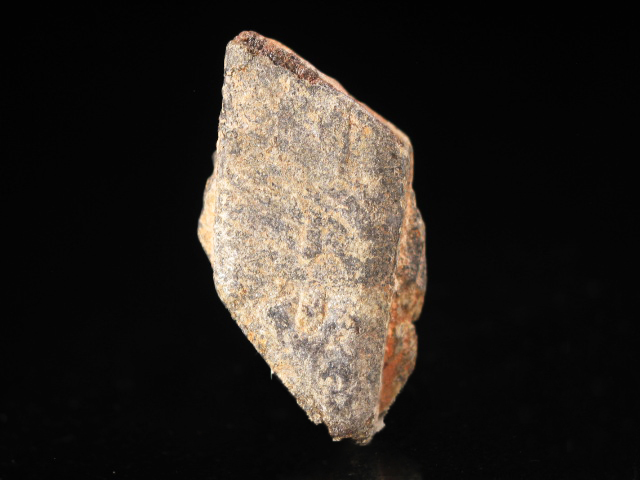 Please note that the pictures are taken under strong lighting. 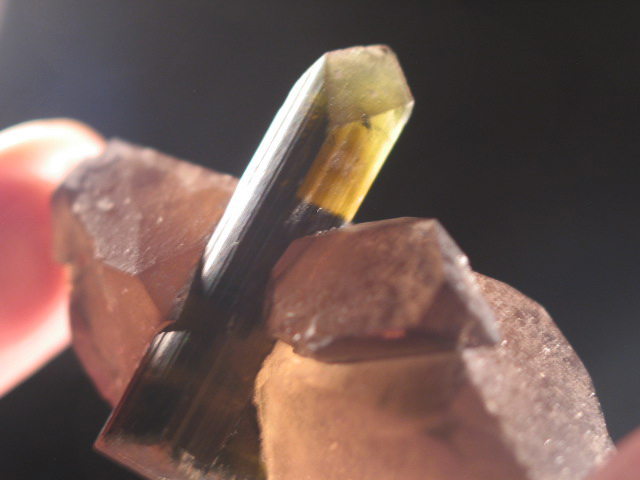 Such lighting is necessary to best appreciate the colors of the tourmaline crystals. 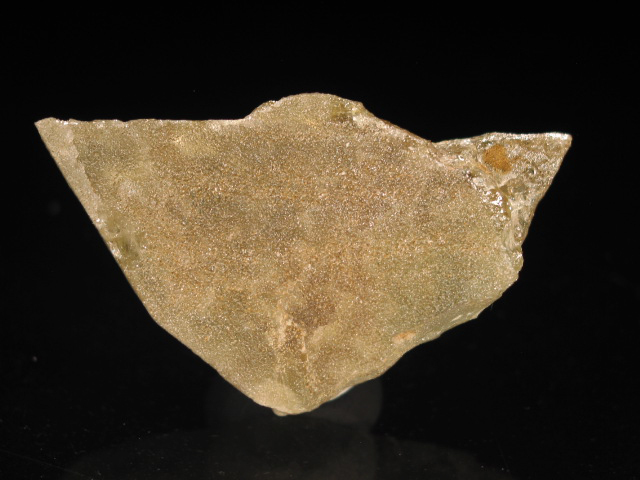 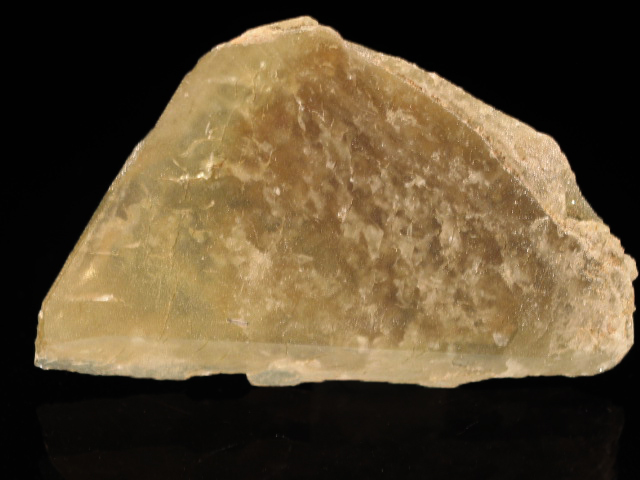 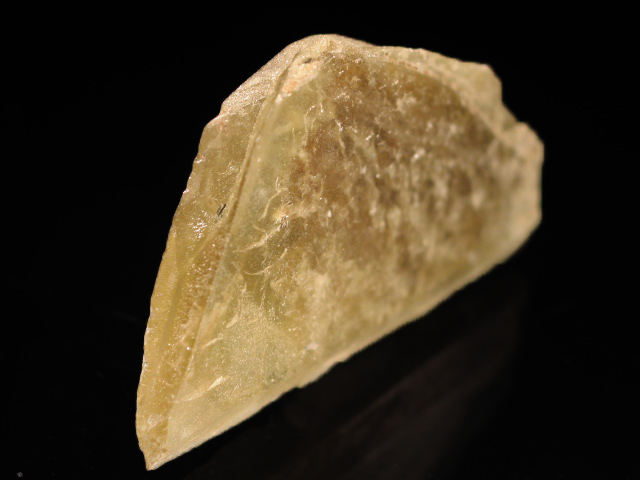 A heavily etched (though with the hexagonal form still somewhat visible) crystal of greenish-yellow heliodor from Madagascar. 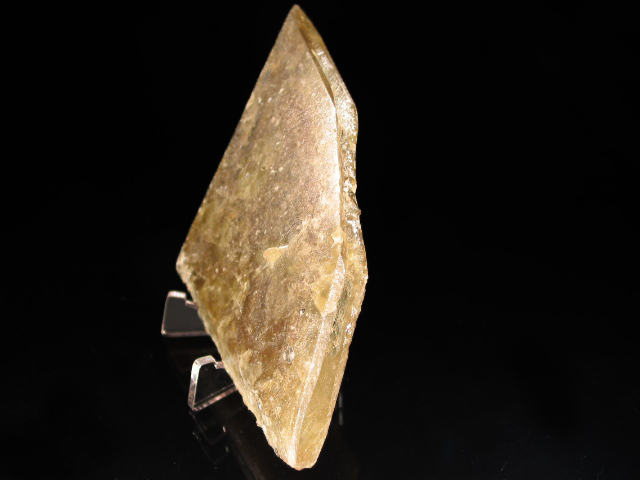 A thumbnail specimen of gemmy, etched yellow heliodor. 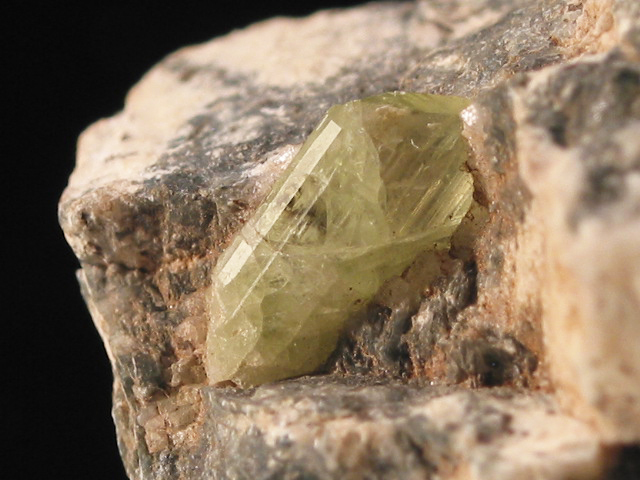 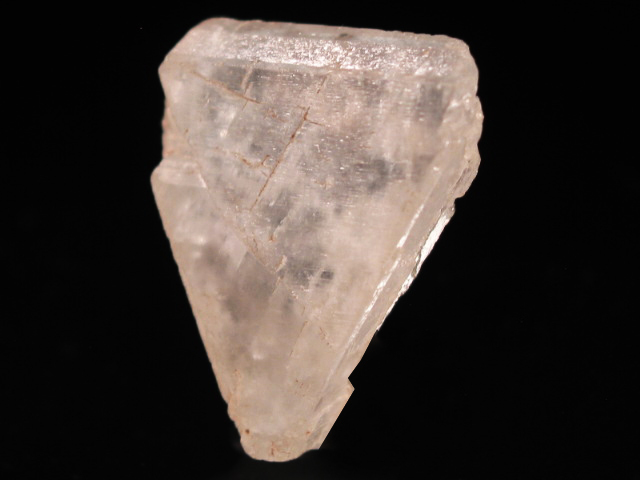 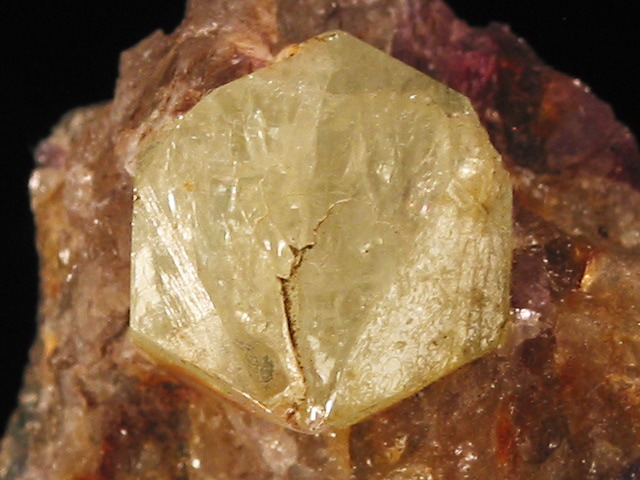 A doubly terminated and etched prism of gem yellow scapolite. 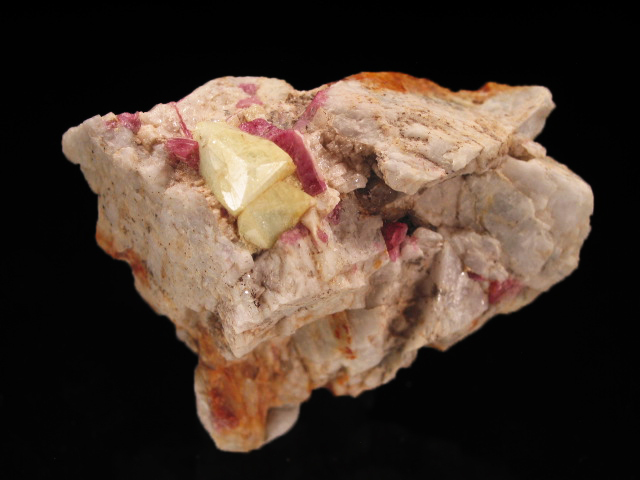 A pair of yellow rhodizite-londonite crystals on a matrix that also contains a number of partial pink liddicoatite prisms that add a nice degree of color contrast. 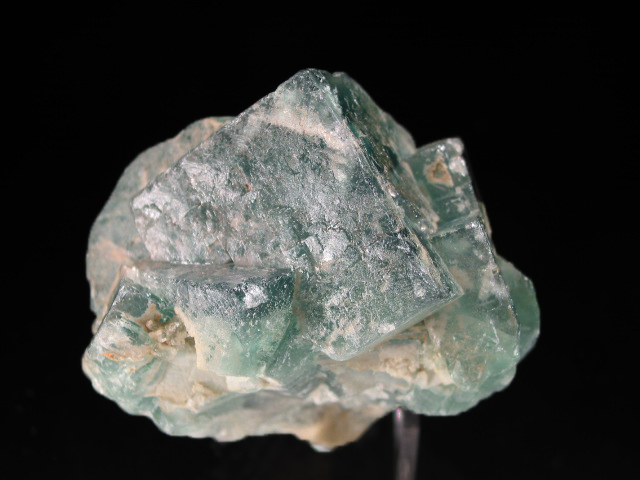 I have not had these tested, so I am marking them as "rhodizite-londonite." 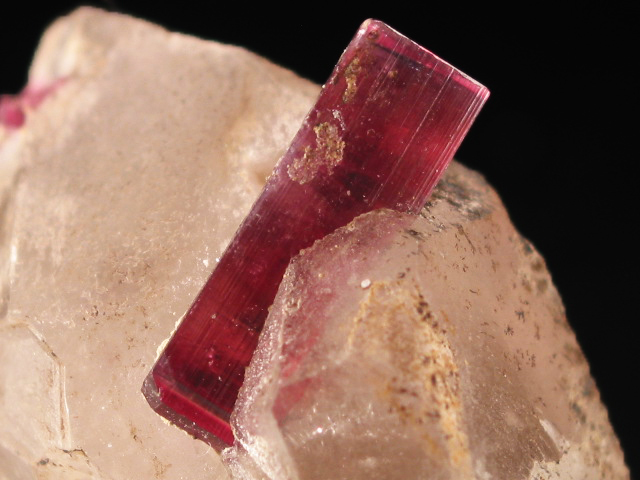 I do not know which end member these are, and it is impossible to verify by sight alone, so this keeps things nice and accurate. 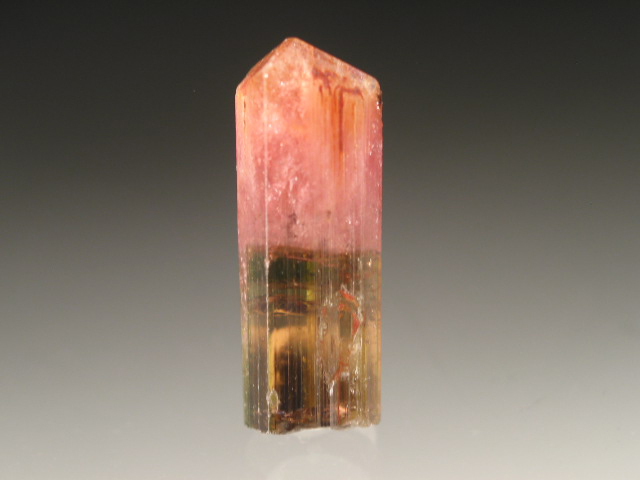 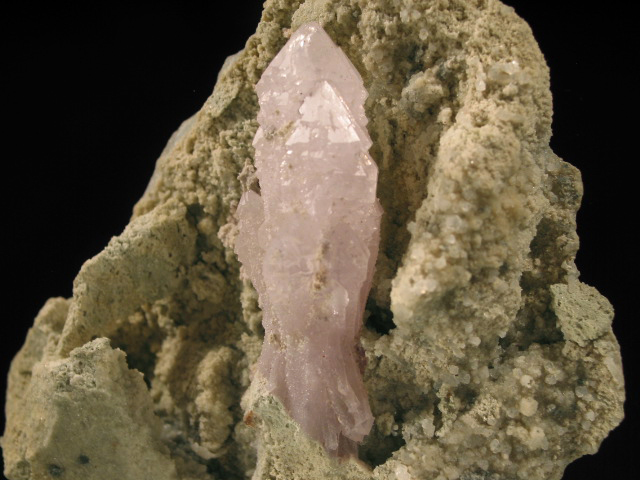 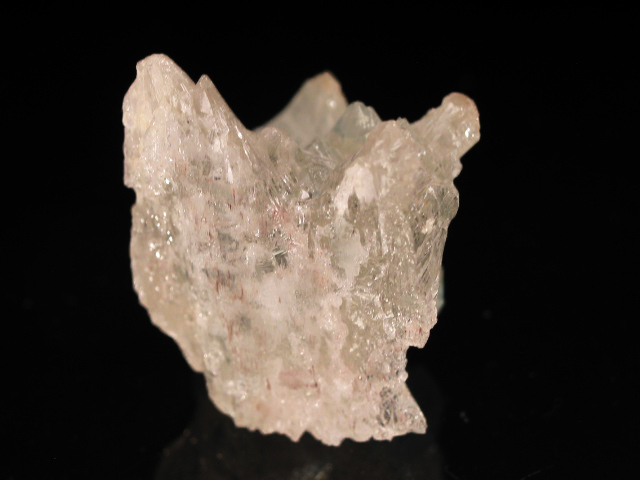 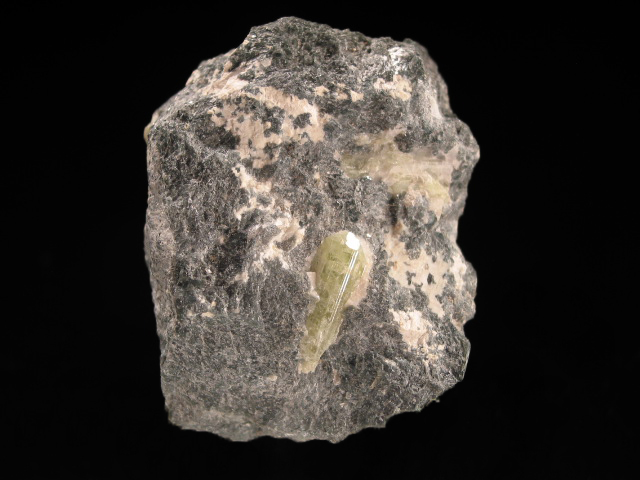 A light yellow rhodizite-londonite crystal on a matrix that also contains partial pink liddicoatite prisms that add a nice degree of color contrast. 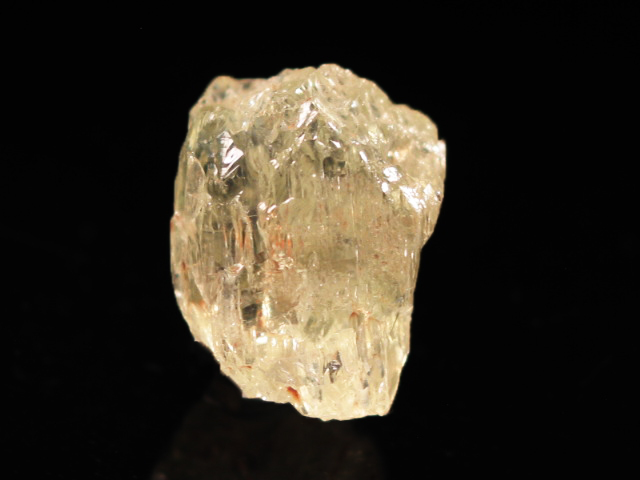 Although I purchased a number of good ones on the last trip, I only obtained a few decent to good quality examples on this one. 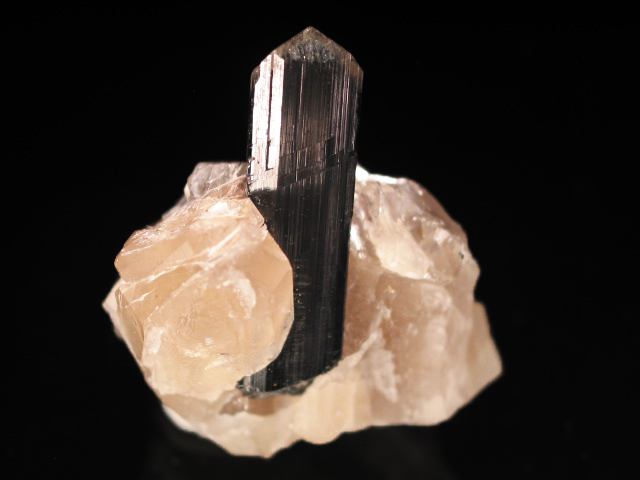 These crystals are always available, but the good ones are harder to get. 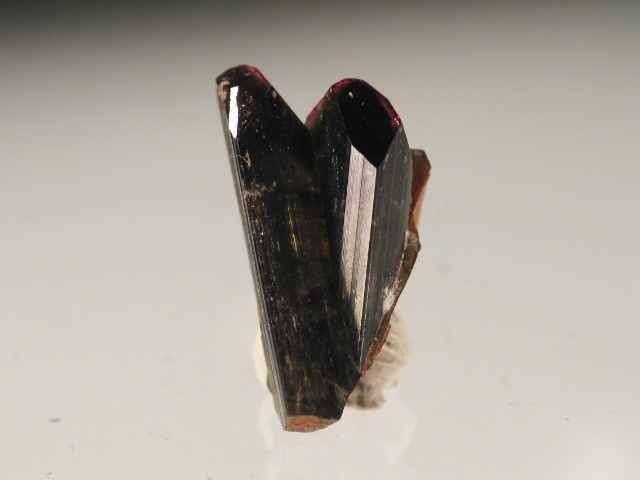 I have a feeling that the quality of available specimens has more to do with the skill of the people working the area over a particular period, than an issue of abundance. 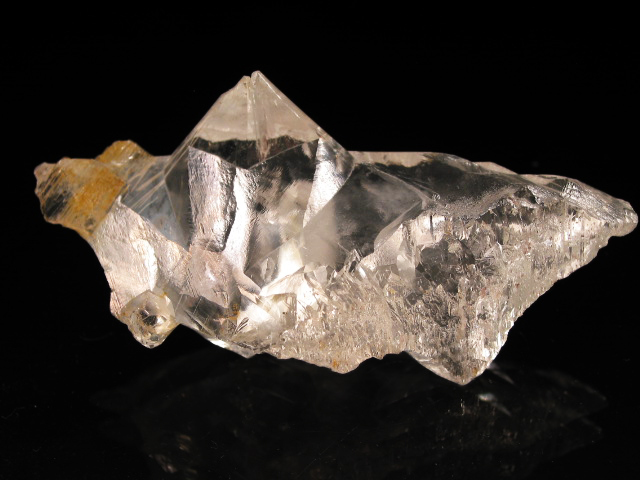 I always see decently sized crystals, but they tend to be smashed. 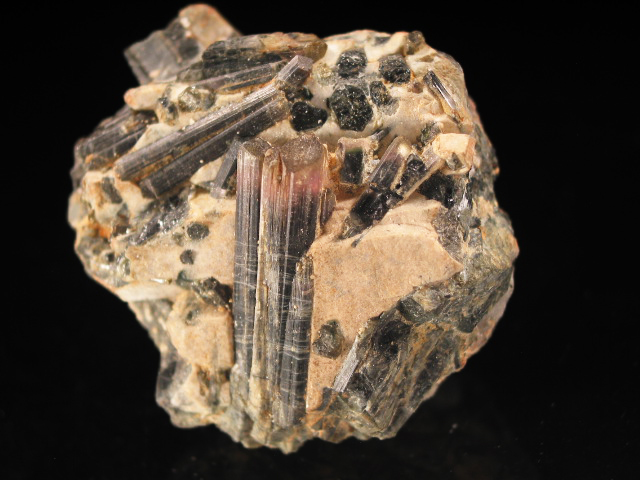 When I come across a good rhodizite-londonite however, it is usually in a group of other good pieces-- I'd like to think this is because whoever was digging them knew what he was doing. 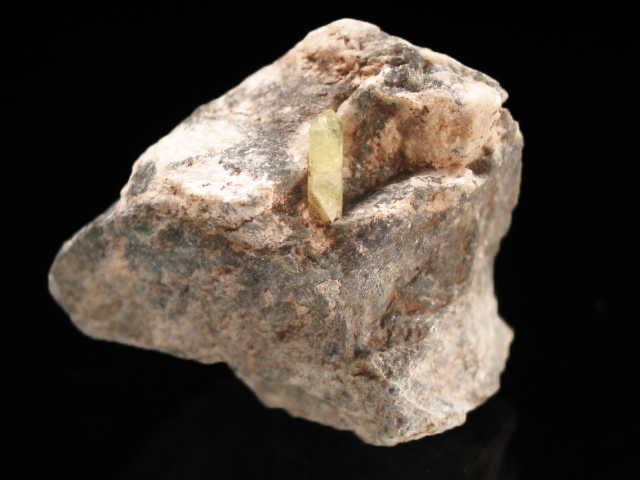 A thumbnail specimen consisting of a light yellow rhodizite-londonite crystal on matrix. 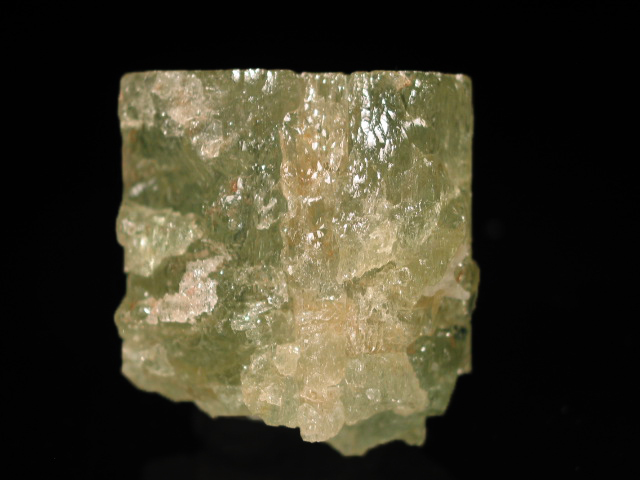 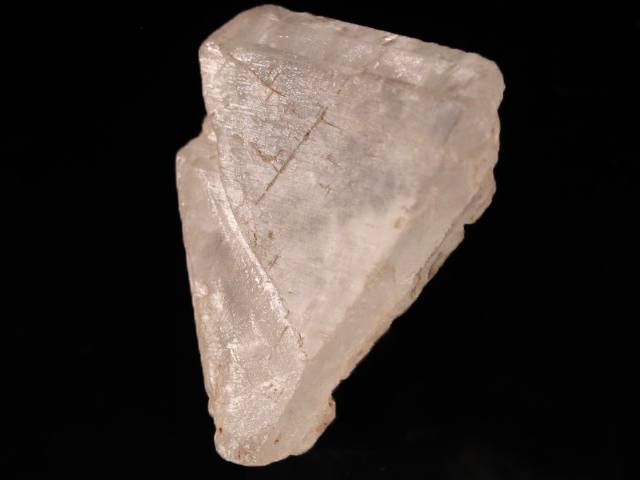 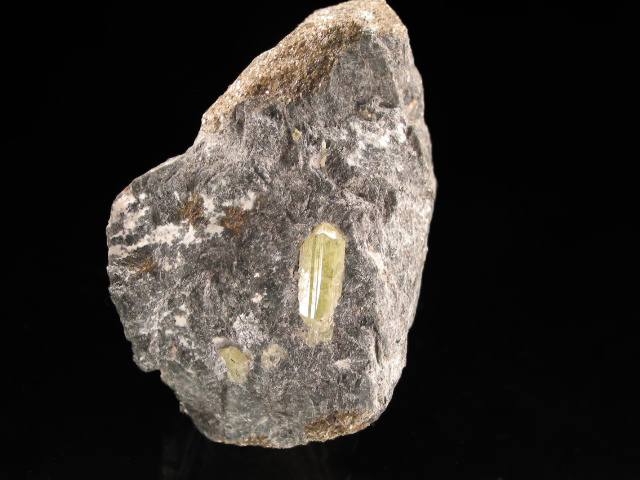 So I thought this one was a bit unusual-- it's a quartz specimen from the demantoid locality. 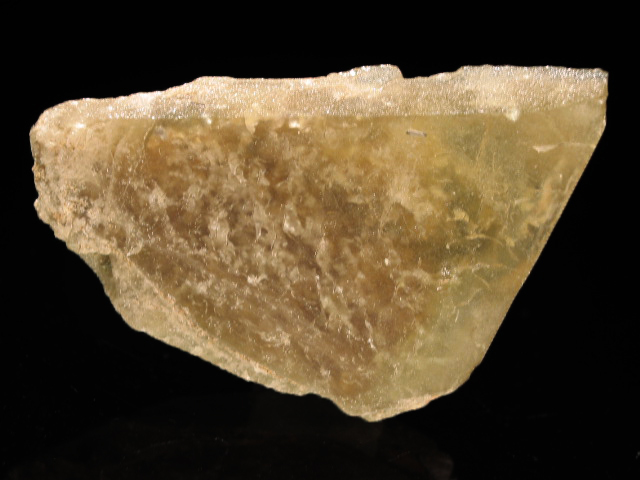 It has the same complex lateral faces and general appearance of high temperature quartz specimens from Dal'Negorsk or Inner Mongolia, but the geology is very different at this location, so I assume something else is responsible for its appearance. 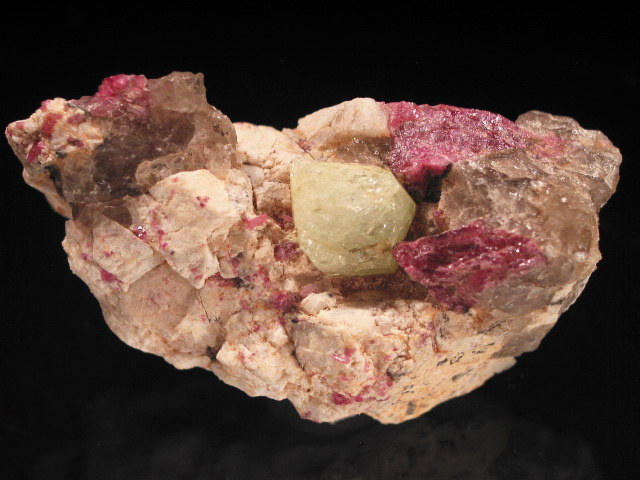 A cluster of liddicoatite tourmaline crystals from a recent find near Mt. 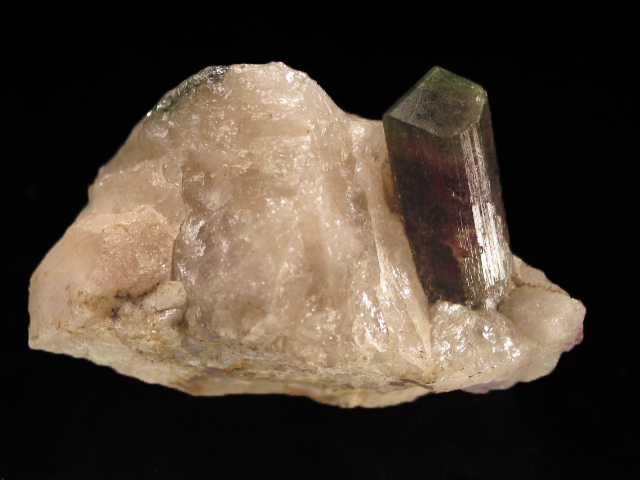 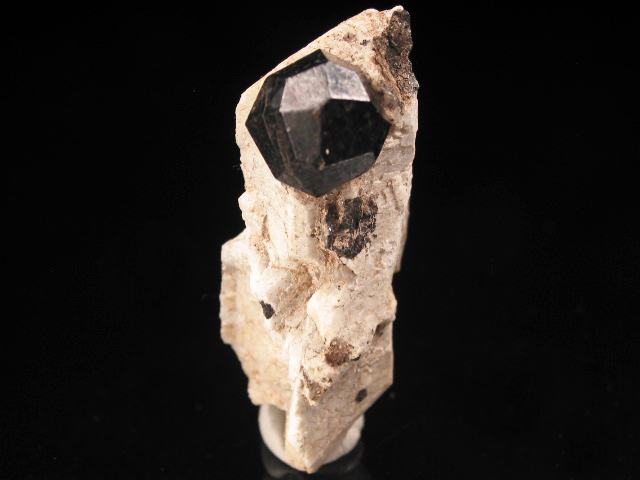 Ibity-- this is from the same find that produced the floater tourmaline/ smoky quartz combinatoins posted elsewhere on this page. 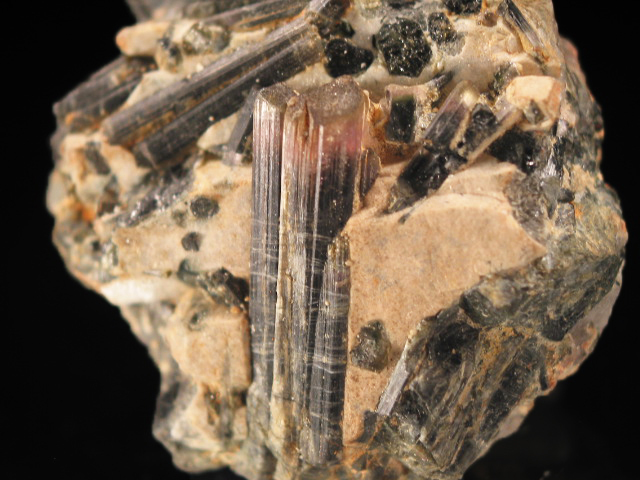 These crystals display the exaggeratedly slanted terminations typical of Malagasy liddicoatite. 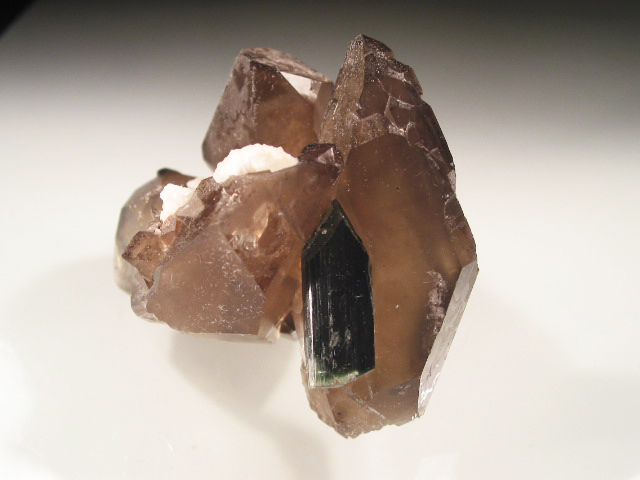 The smaller crystal is brownish green when backlit, but the larger one appears dark. 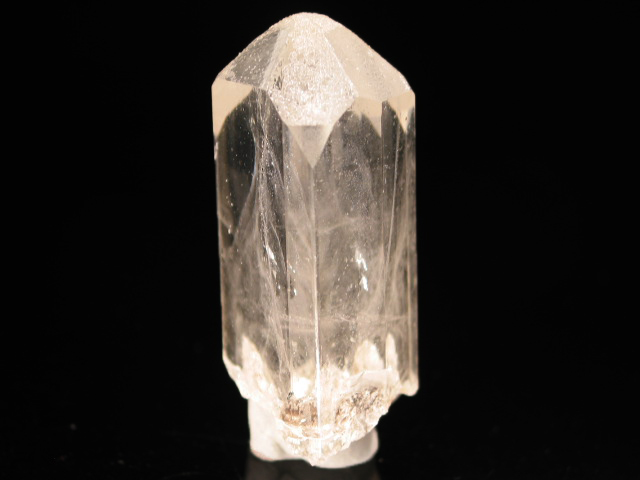 Please note that there is a third crystal that is not terminated. 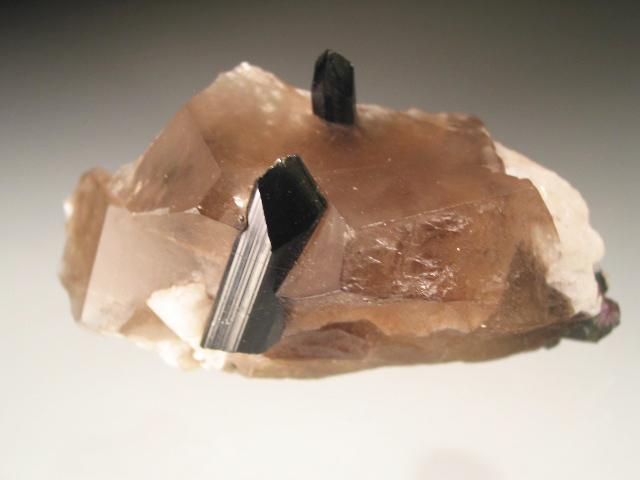 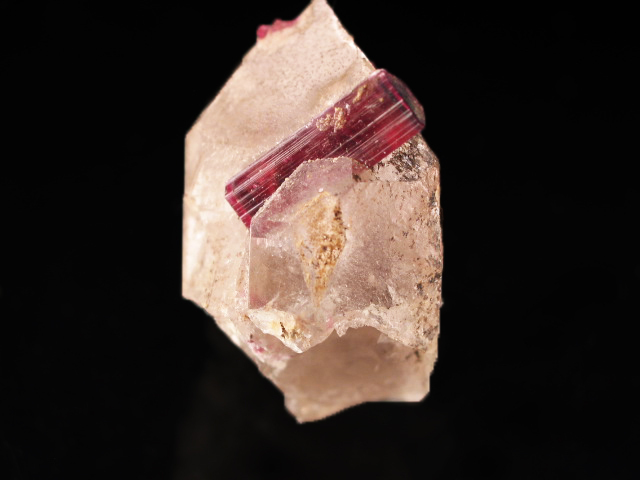 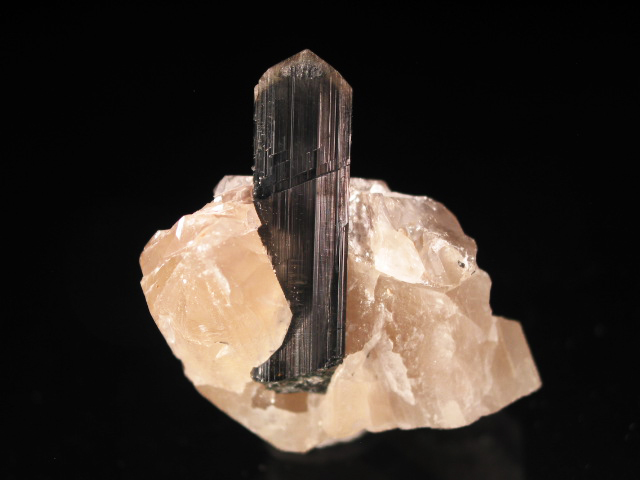 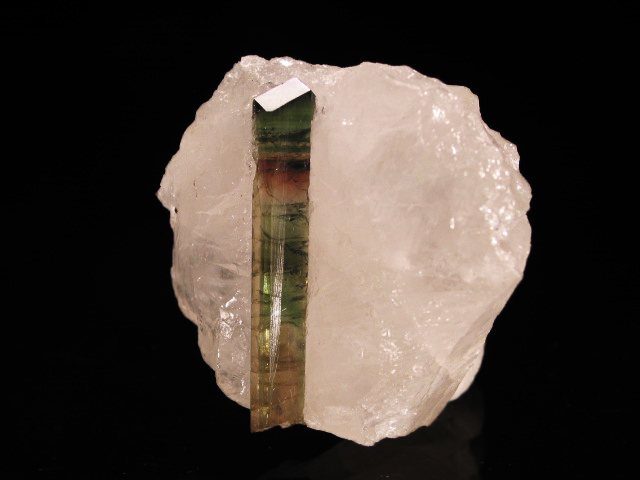 A dark liddicoatite crystal with a narrow pink band at its termination, on a quartz matrix. 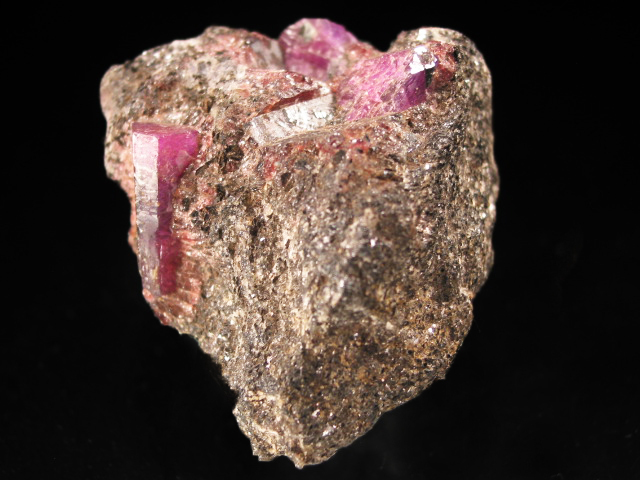 These dark liddicoatites with pink terminations are perhaps the most common form found in the area, though finding them on matrix is somewhat harder-- this locality is notorious for its crumbly decomposed pegmatites. 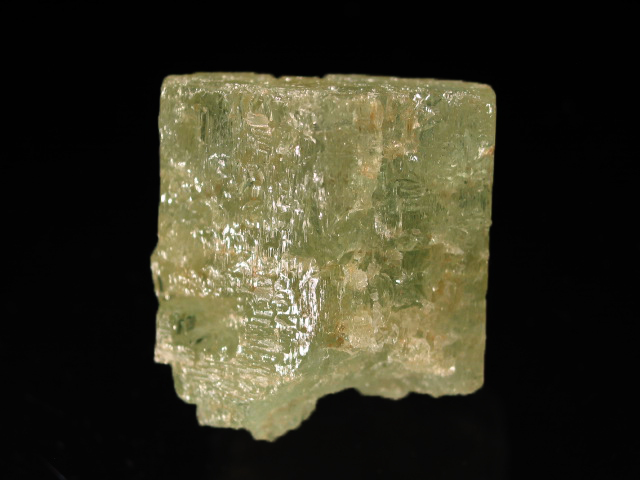 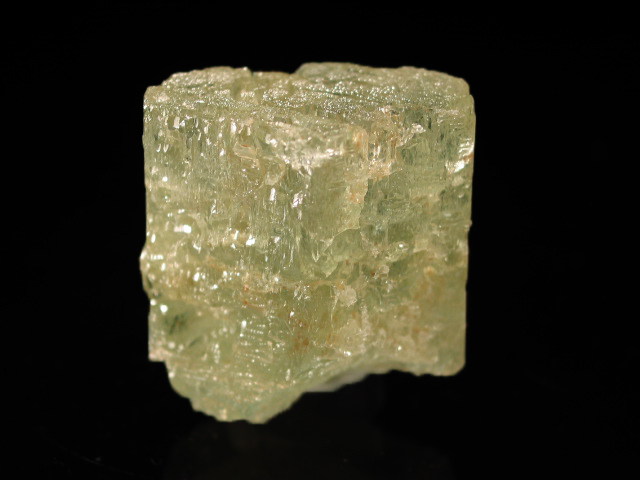 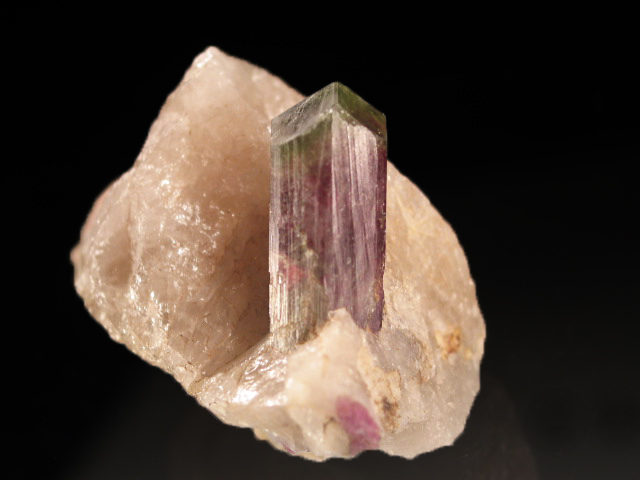 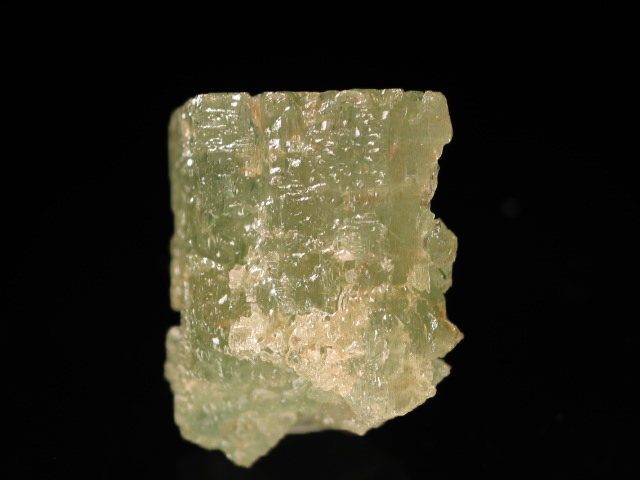 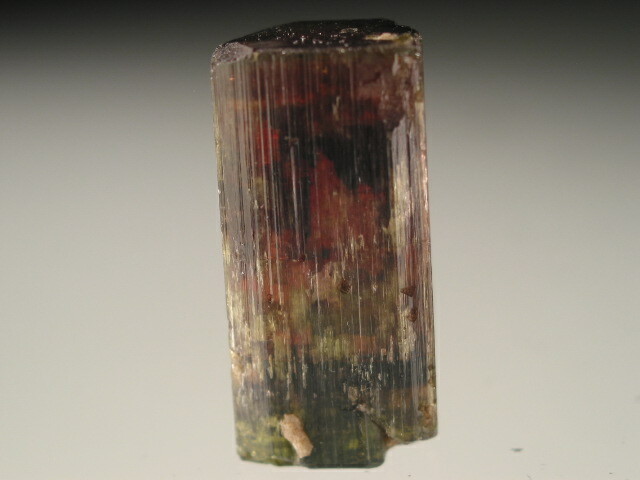 A terminated tourmaline crystal on an albite matrix. 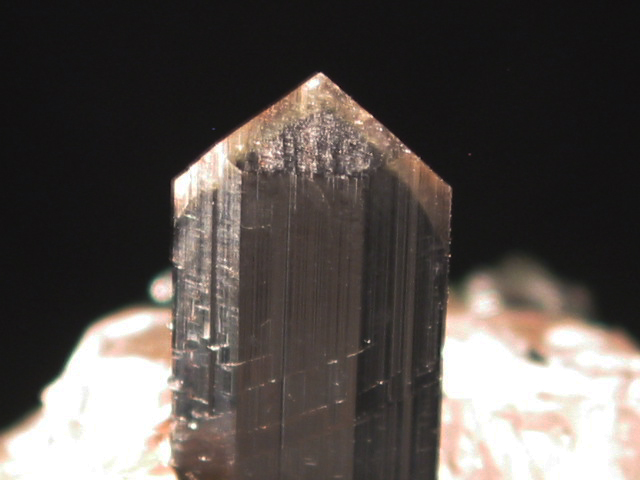 The crystal is dark, though there are faint hints of green. 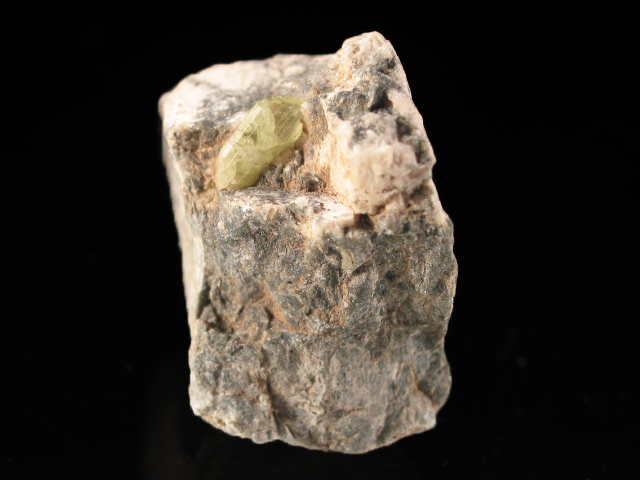 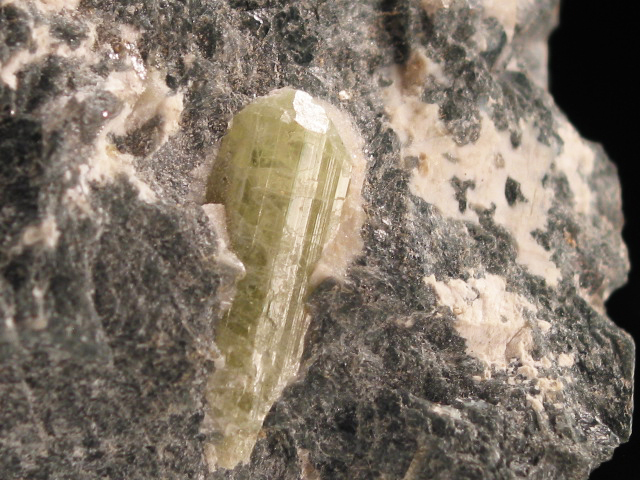 A number of liddicoatite crystals on and embedded in a feldspar matrix. 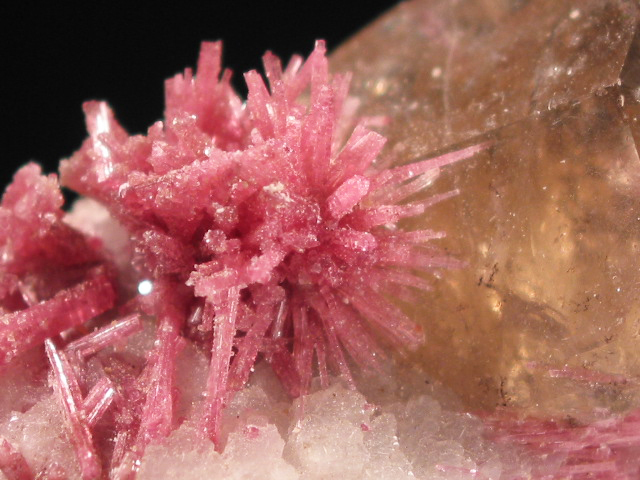 The main crystals at front and center are terminated and have pink caps. 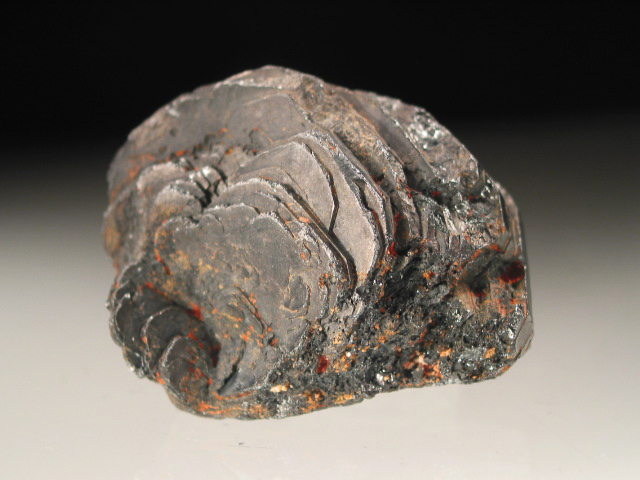 A good reference example of liddicoatite on matrix. 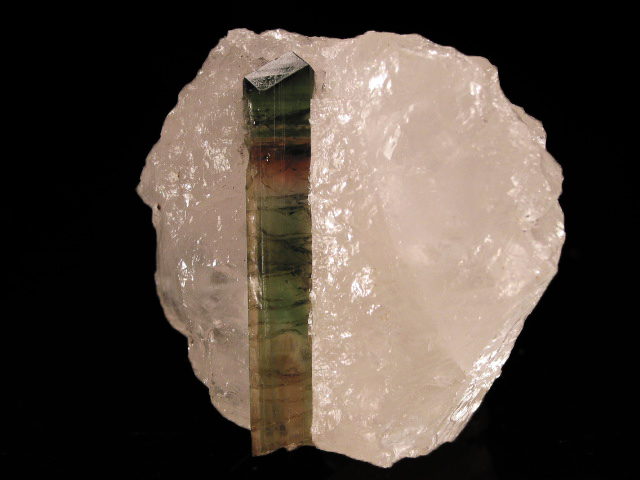 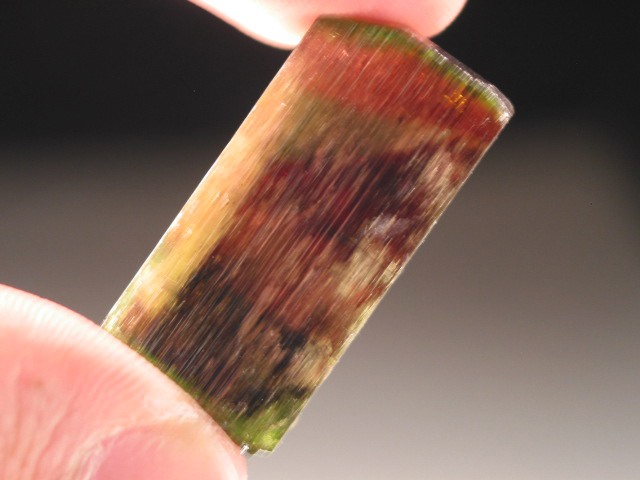 A terminated polychrome tourmaline, with bands of green and red and brownish colors in between. 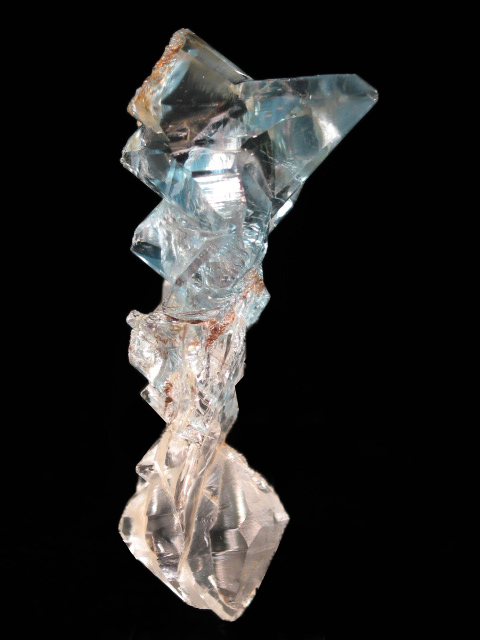 This piece is not fully translucent, and needs strong lighting for the colors to be best appreciated (as in the last picture). 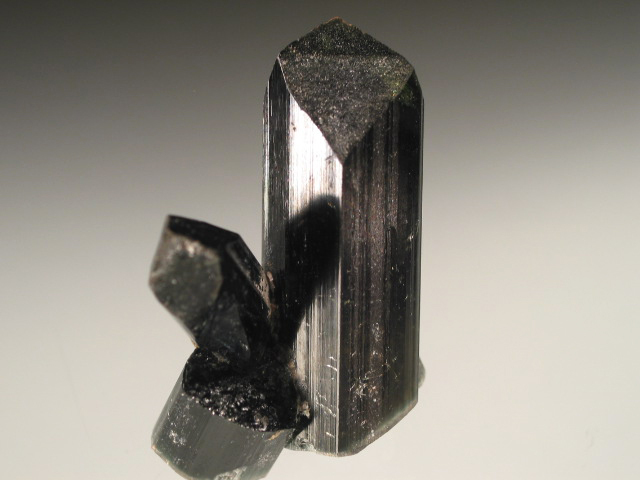 Still, it displays as shown. 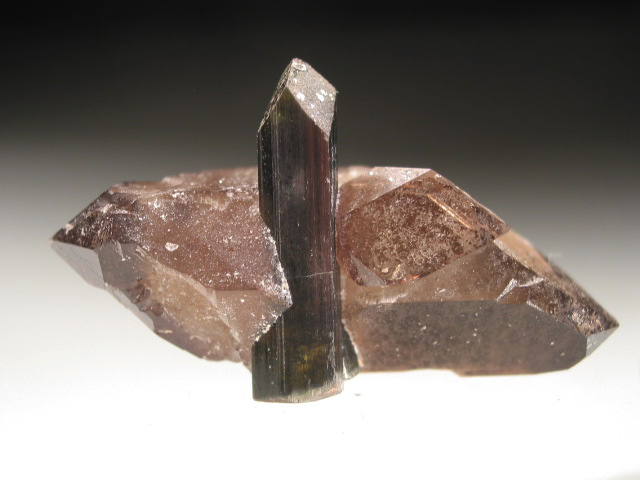 A terminated, bicolored liddicoatite crystal from the Mt. 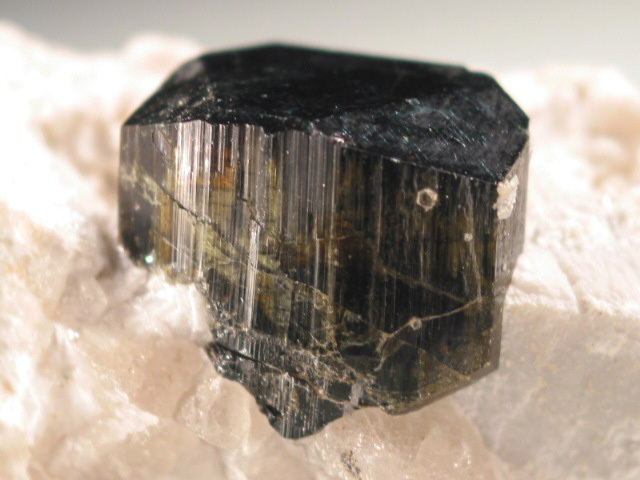 Ibity area. 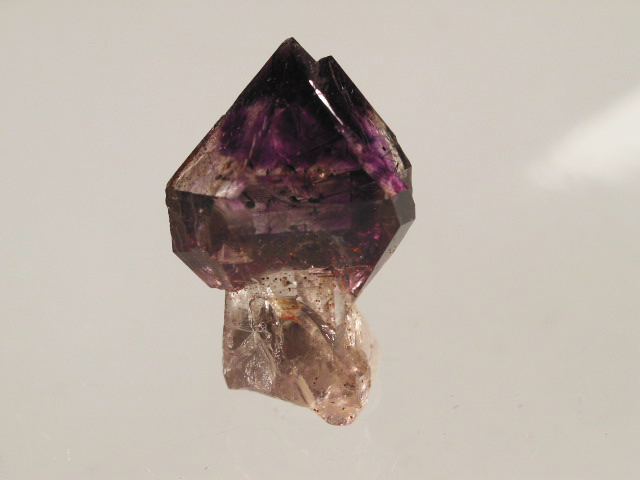 The lower half of the crystal is more gemmy. 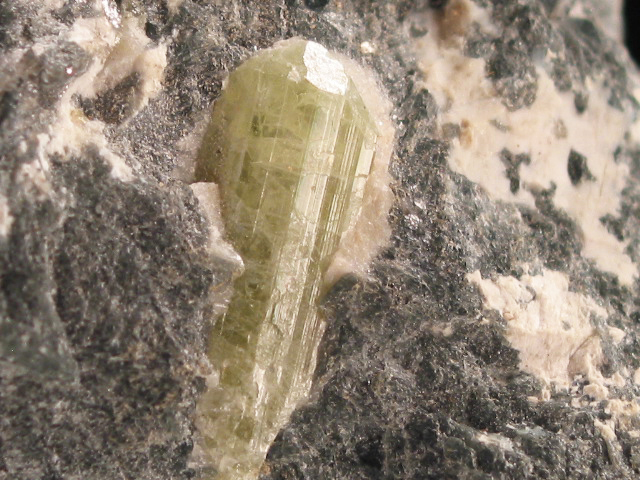 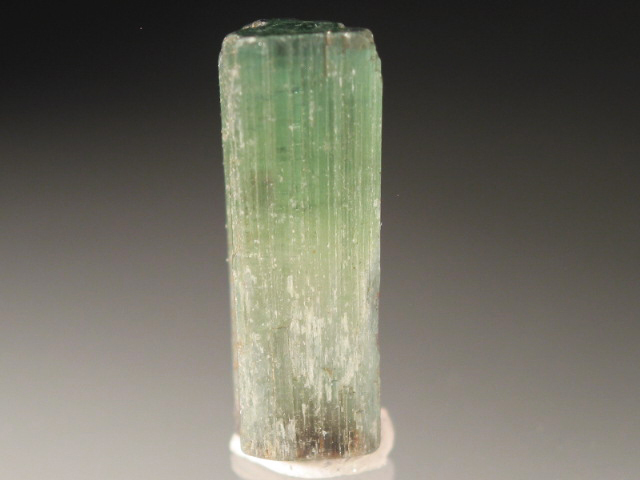 A terminated green tourmaline from the Mt. 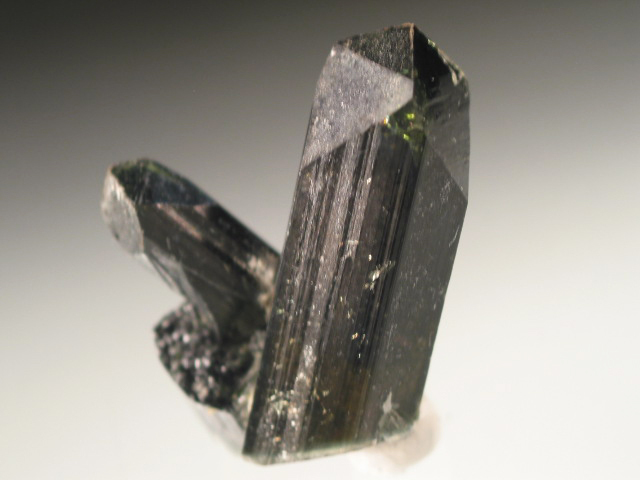 Ibity area. 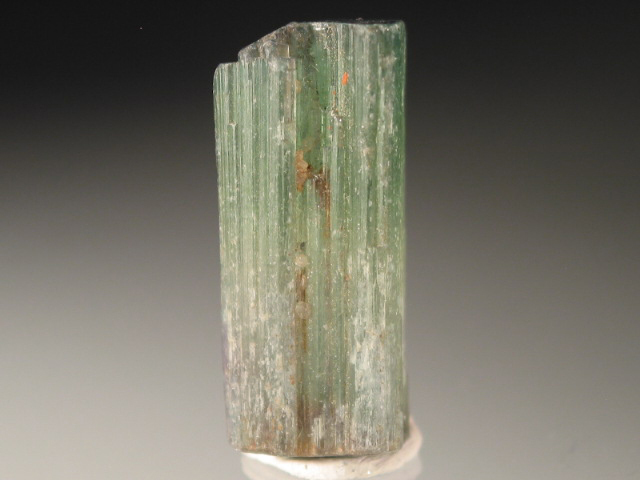 Interestingly enough, while green tourmalines are among the most common in other countries (Pakistan, Brazil, etc.) 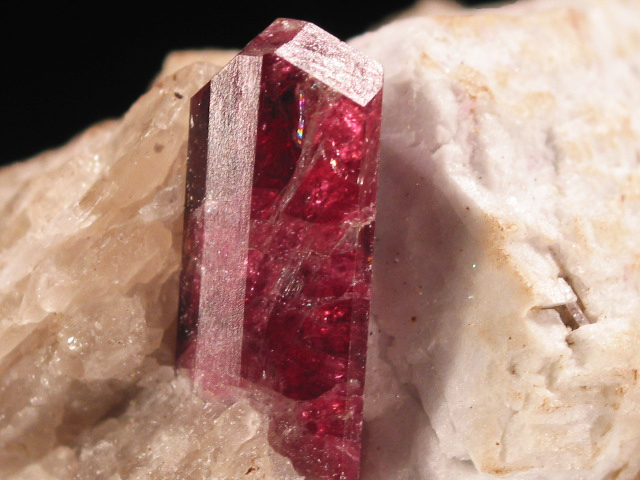 they are actually fairly uncommon in Madagascar. 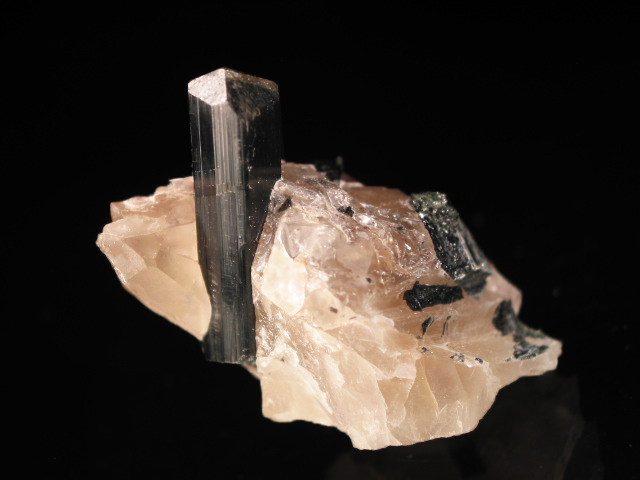 A well formed thumbnail specimen of two dark, terminated liddicoatite crystals. 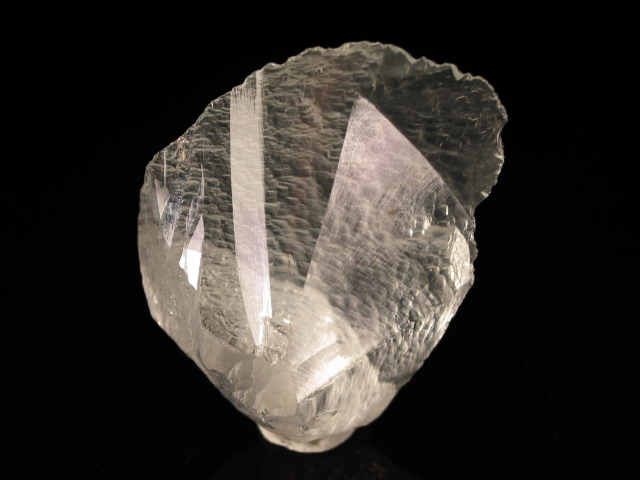 Excellent form, and the crystals show a bit of color when backlit. 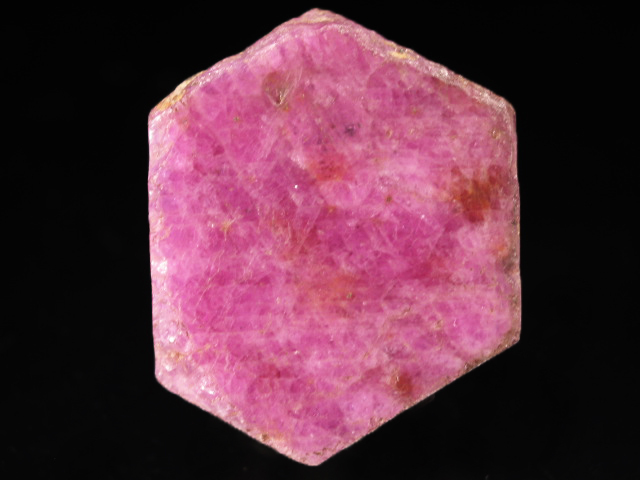 A large hexagonal ruby crystal from Madagascar. 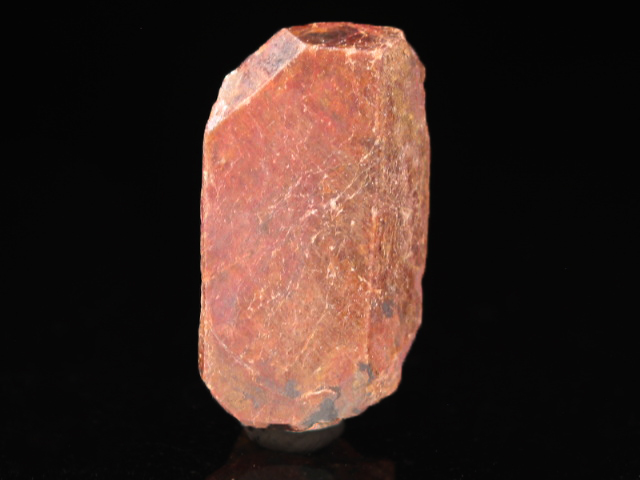 A lot of corundums come from this country-- the most famous are from an alluvial deposit at Ilakaka-- they make horrible specimens, but have incredible natural transparency and color that makes them ideal for jewelry. 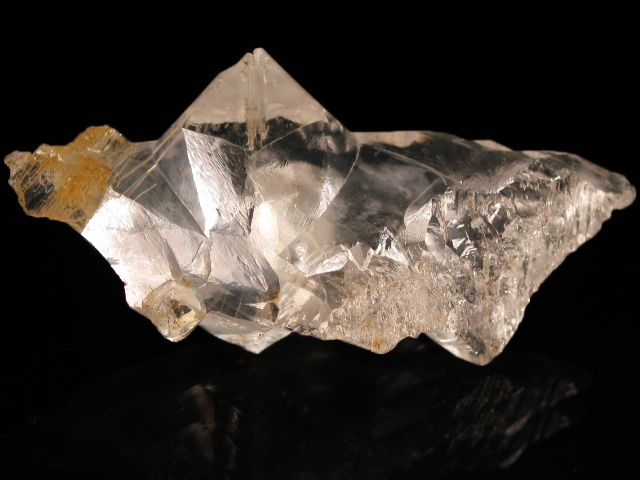 Examples from Ihosy (pronounced "ee-hoos' ") are not suitable for jewelery, but they tend to have very good crystal form. 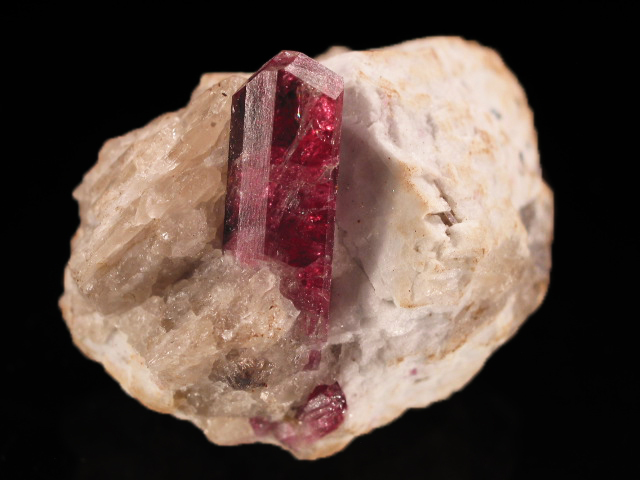 For whatever reason, rubies are somewhat harder to find from here-- sapphires abound, and many have splotches of purplish red mixed in with the blue, but entirely pink/red examples are less common. 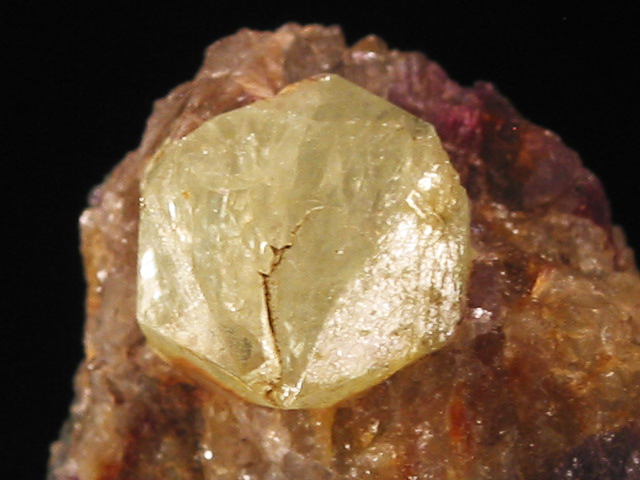 A rare matrix example of chrysoberyl. 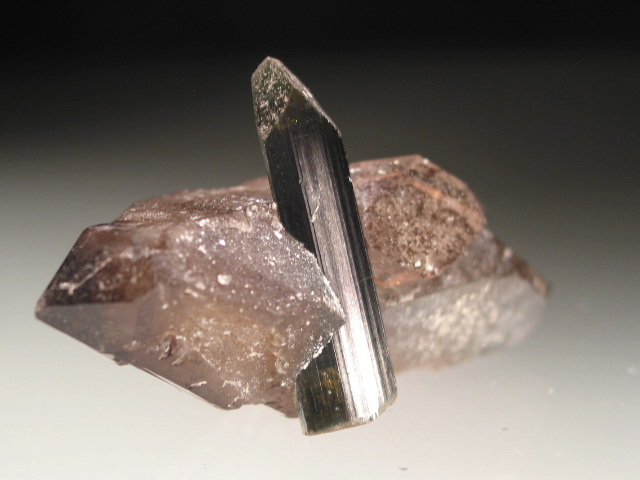 Unlike the examples from most other locations, these are also somewhat unique as they are not twinned. 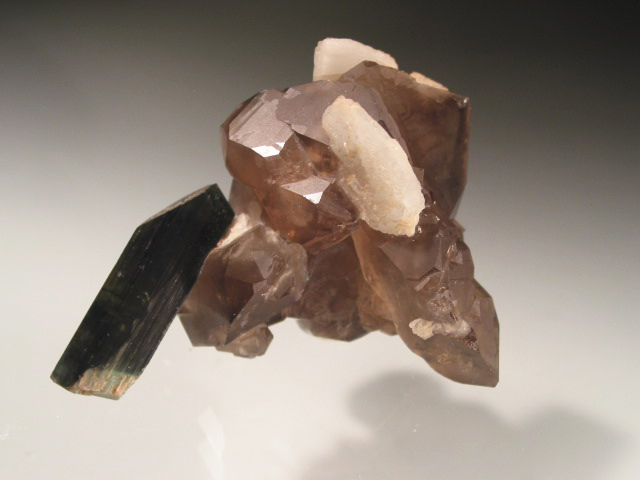 This comes from a find made around 2010-- I actually purchased this shortly after my trip in 2011, and only picked them up when I returned this time. 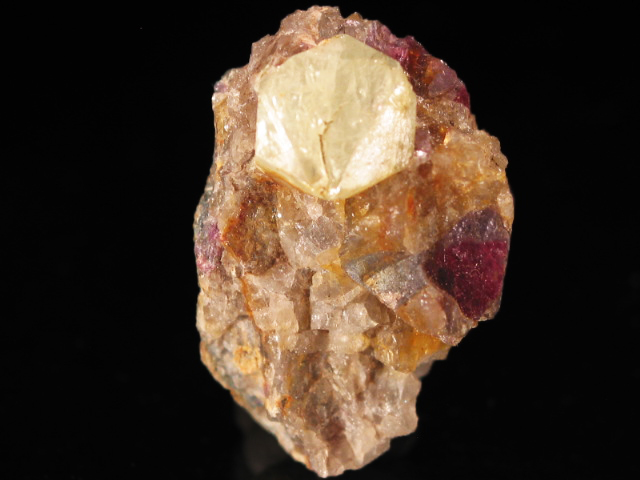 The Malagasy chrysoberyls you have seen in the past, whether small V-twins or large sixlings, probably came from the Lac Alaotra locality. 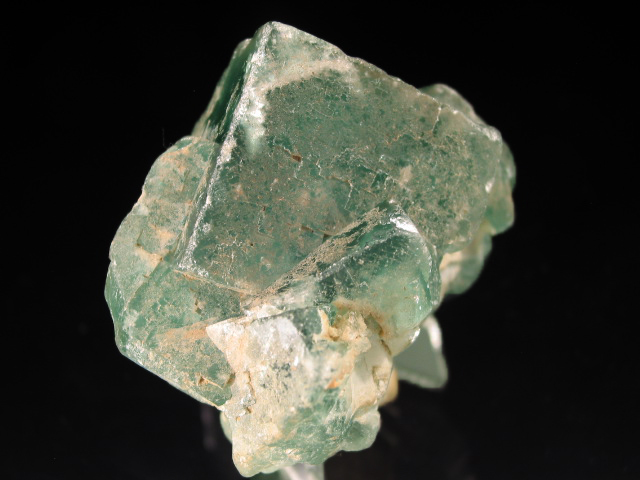 These come from further south, at Tsitondroina, near Fianarantsoa. 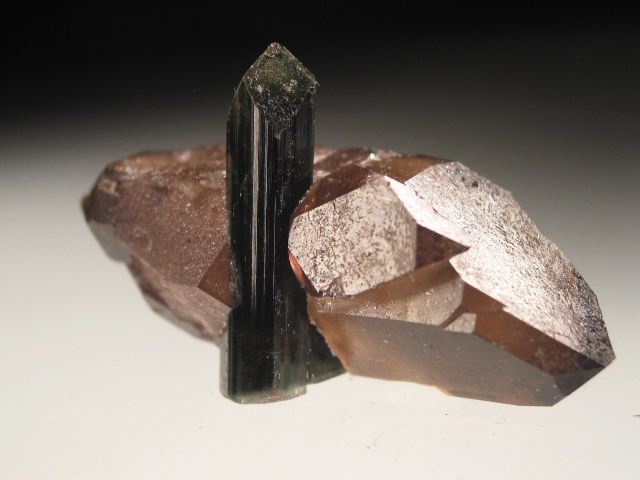 These come from a find made around 2010, and are unusual both for being on matrix and not being twinned. 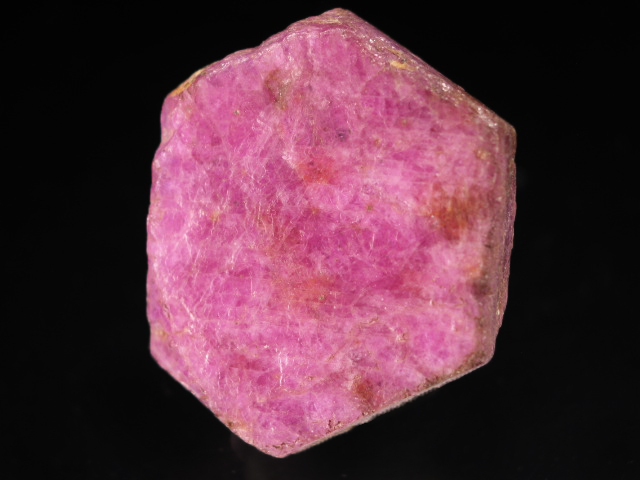 A "toenail" sized specimen, with very intense color. 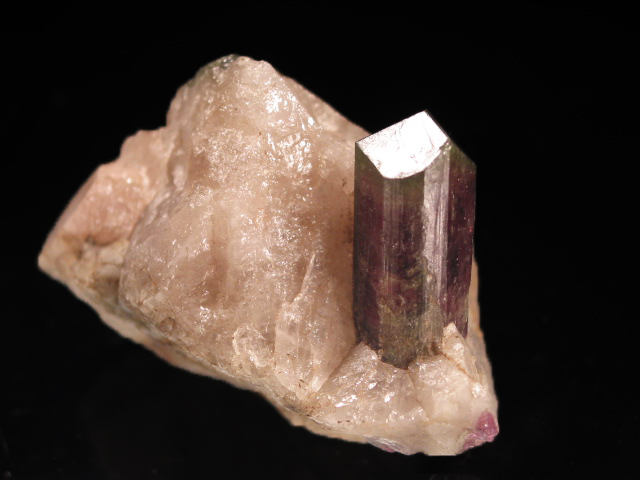 I purchased a large number of amethyst scepters, but most are just wholesale material-- of all the pieces, this had the best combination of form and color intensity. 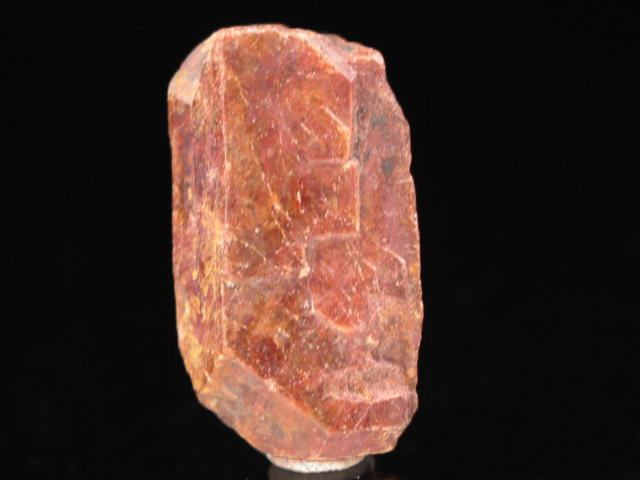 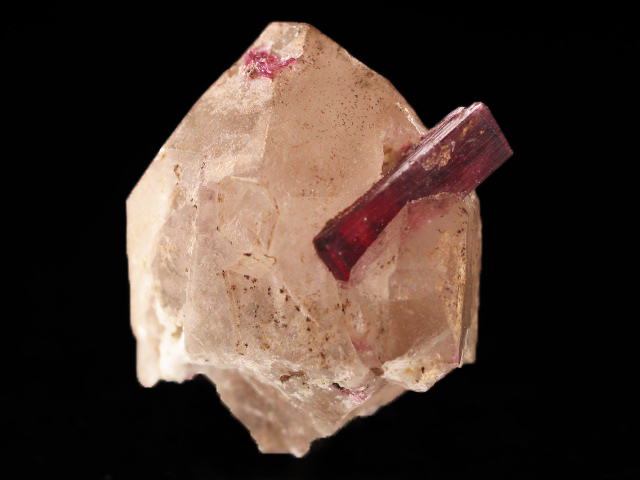 A very sharp garnet crystal, on a somewhat weathered (but crudely double terminated) feldspar crystal. 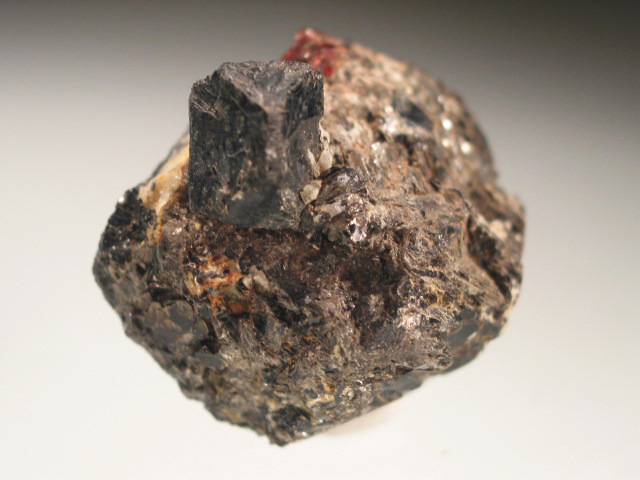 A rare doubly terminated crystal of this rare earth bearing oxide. 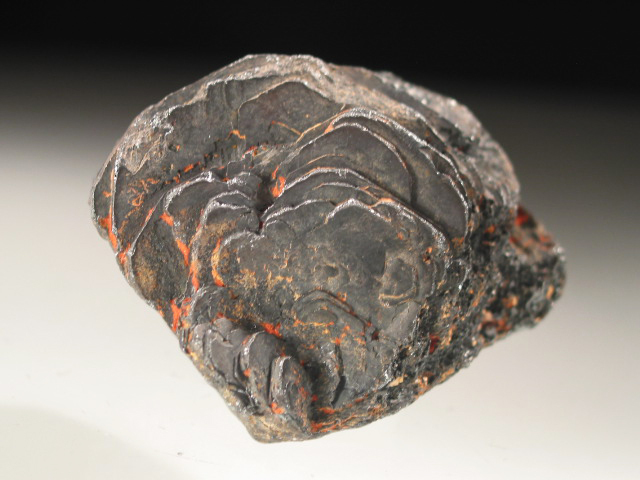 Most of the samarskite I see on the market tends to be shiny black shards that look a bit like a slightly metallic obsidian-- this one is probably that same color inside, but has a brown alteration coating. 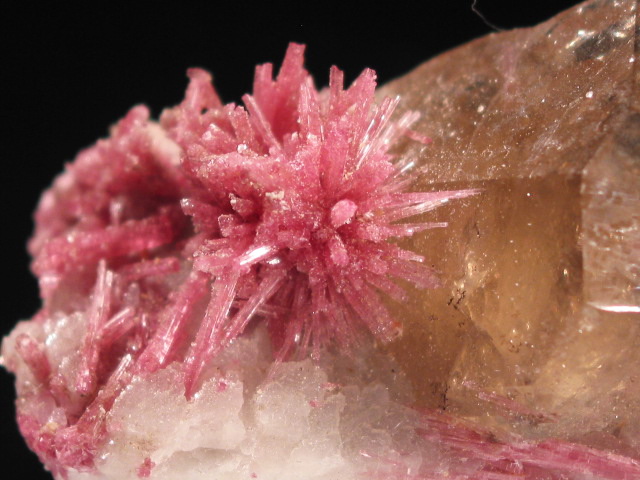 This is actually from my last trip. 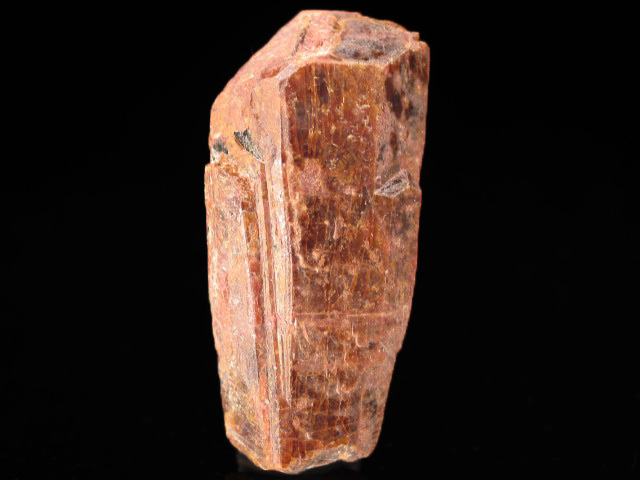 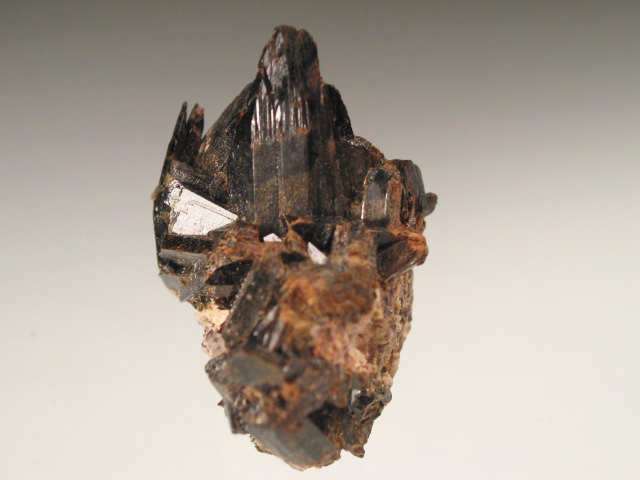 It was purchased from a man who worked the pegmatites specifically for these rare earth minerals-- in his yard, in one of the less savory parts of Antsirabe's outskirts, he had piles of monazite and samarskite. 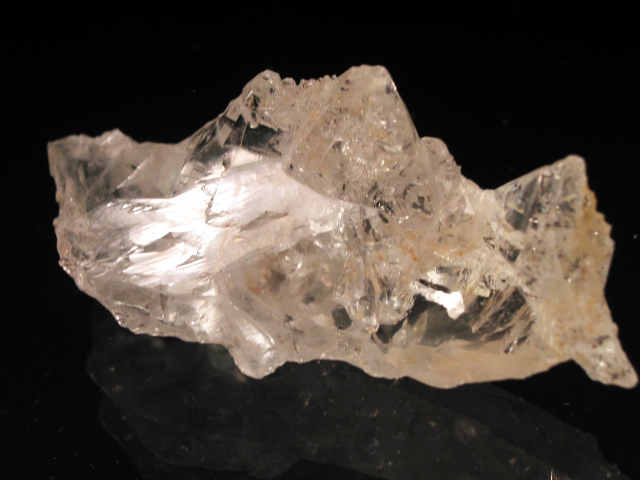 Unfortunately, he also had young children playing very near them. 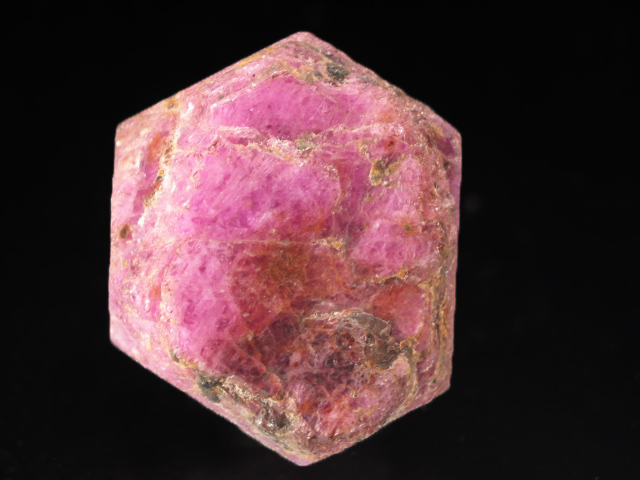 I warned him about the radioactivity, but I don't think he fully understood. 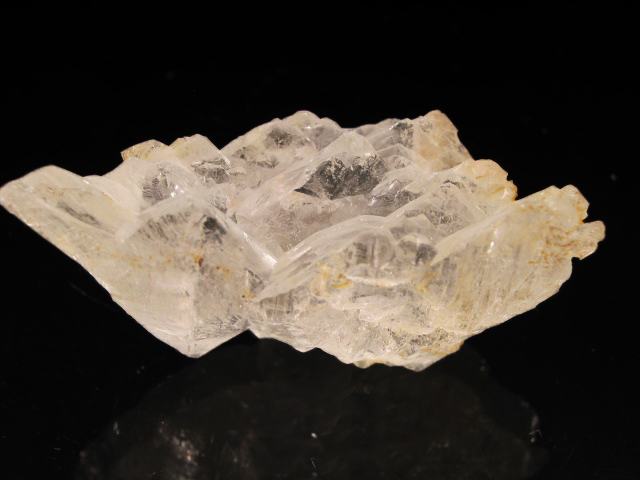 I could not find him this time, but I did get some new thumbnails. 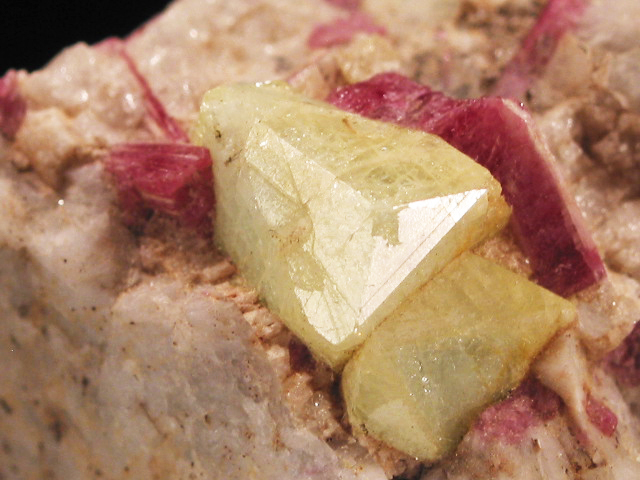 Unfortunately, the Ministry of Mines did not allow them to leave the country-- I have no idea why, but oh well. 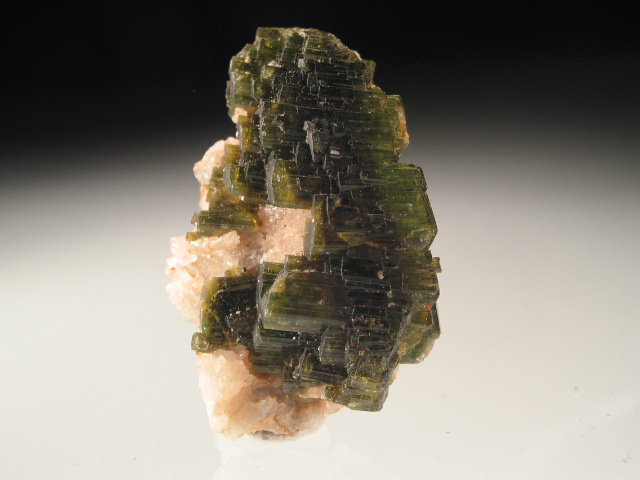 In any case, this piece has exceptionally good form and is a very good example of the species. 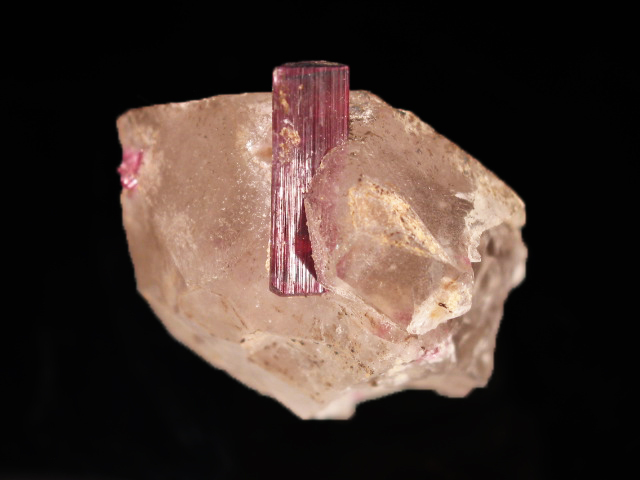 A very sharp crystal of this rare earth bearing phosphate from Madagascar. 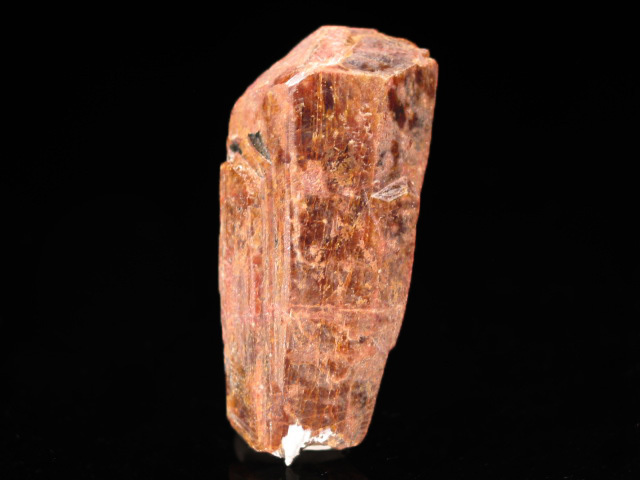 A very sharp crystal of this rare earth bearing phosphate from Madagascar. 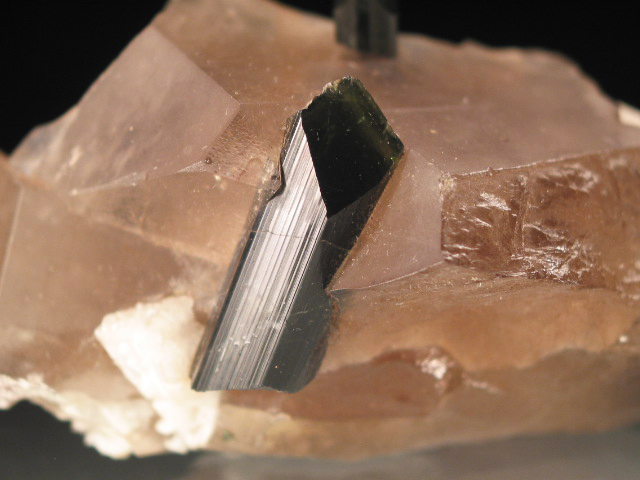 I am not sure exactly how this works out crystalographically, but the upper *half* of the crystal appears to be twinned. 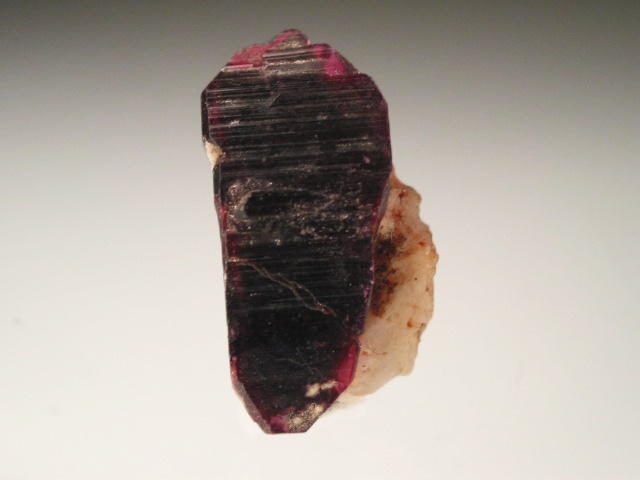 A well exposed spinel crystal, positioned nicely on its matrix. 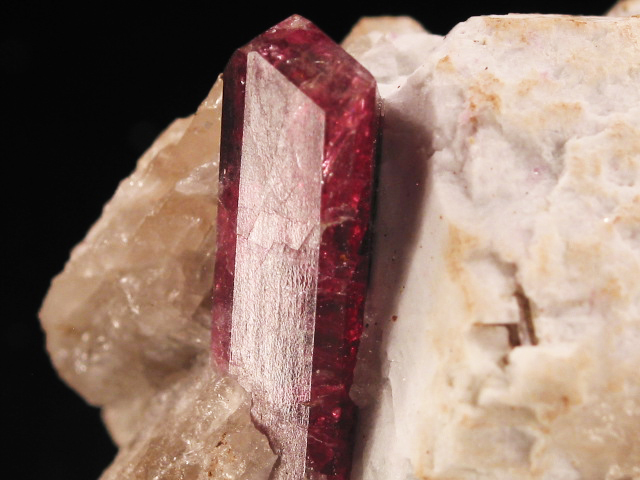 This locality is best known for its corundums, I was a bit surprised to see this spinel from there. 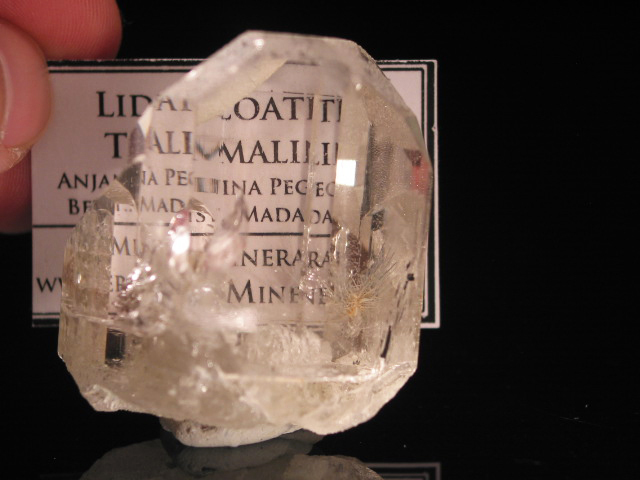 There were 3 or 4 available, but as is often the case in Madagascar, the rest were broken, so I only bought this one. 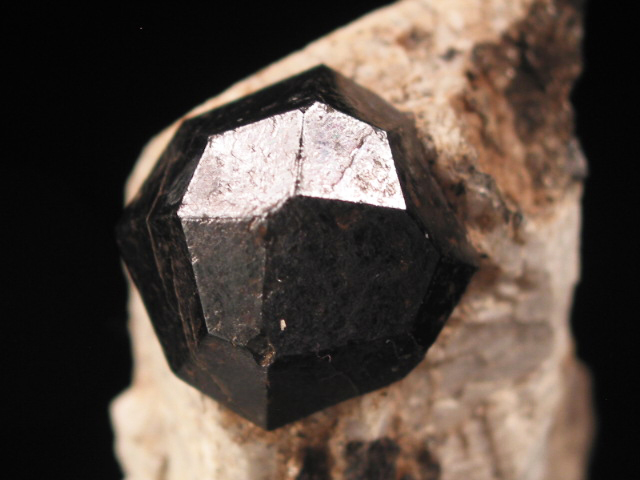 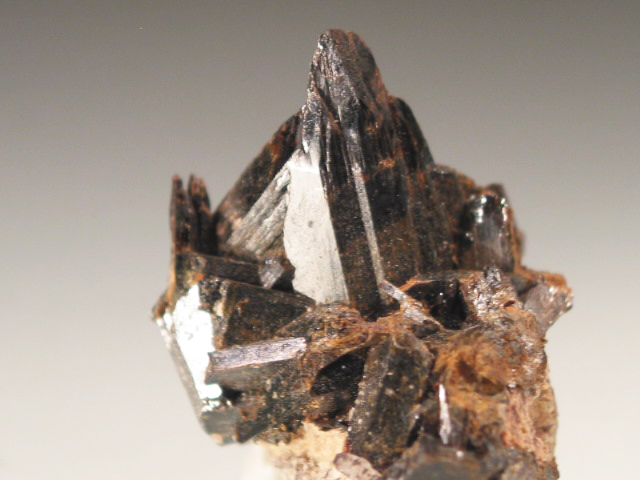 A partial "iron rose" of hematite from Madagascar. 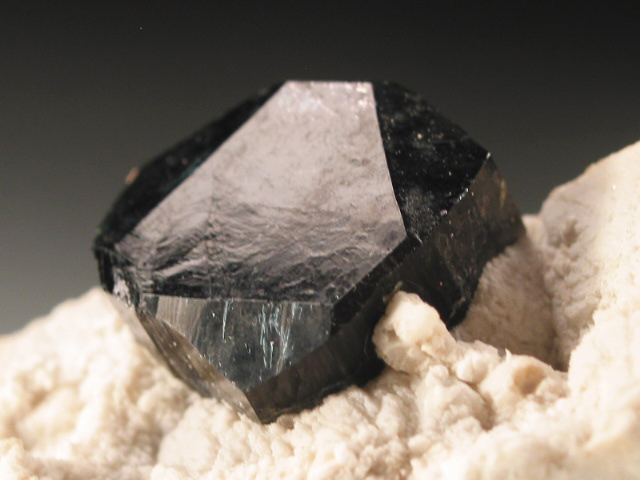 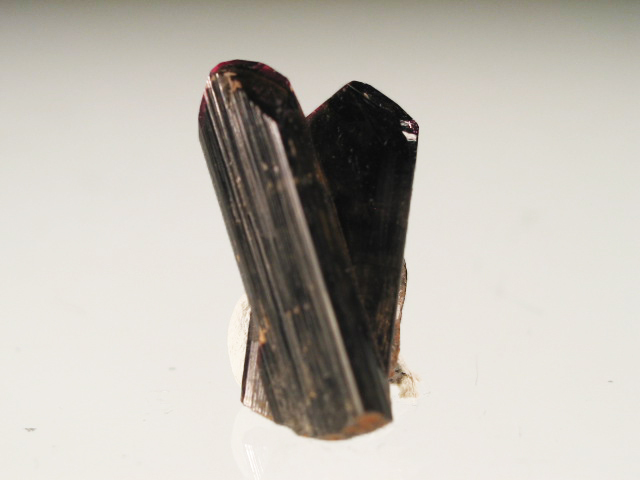 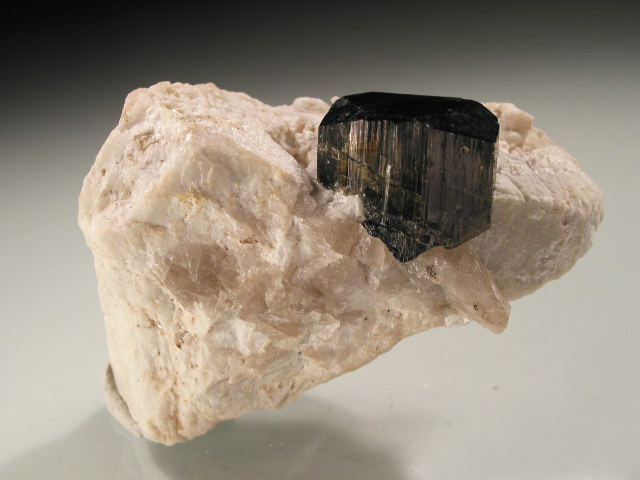 Hematite is not what typically comes to mind when one thinks of Madagascar, but it does occur there. 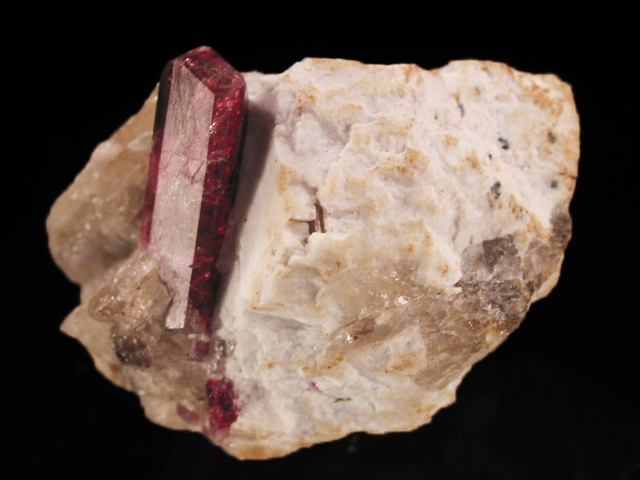 It is sheared on the left, but it is a decent reference sample. 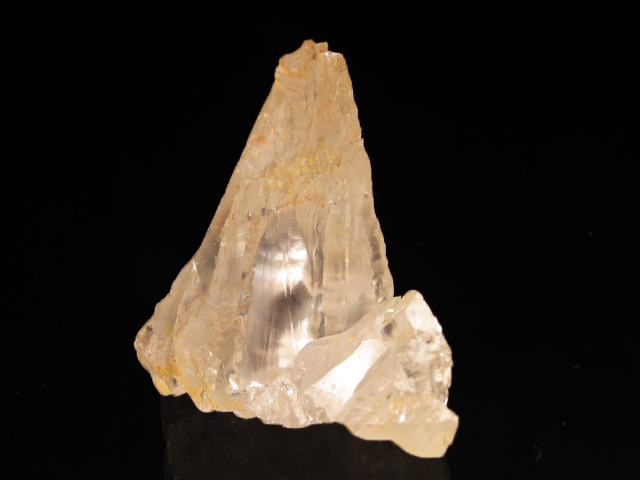 I like to include some oddities in my trip updates-- here is one of them. 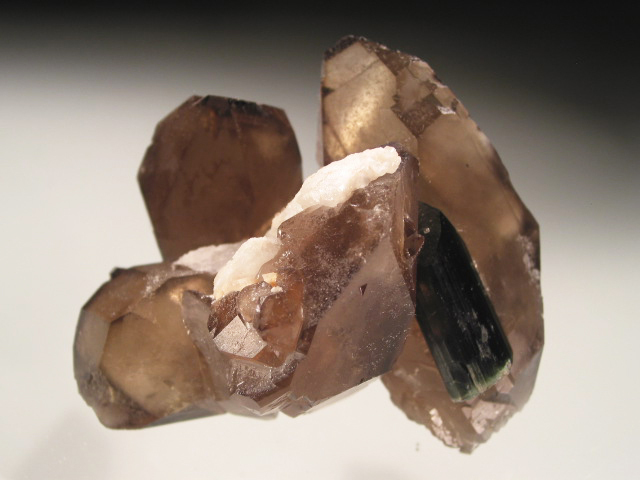 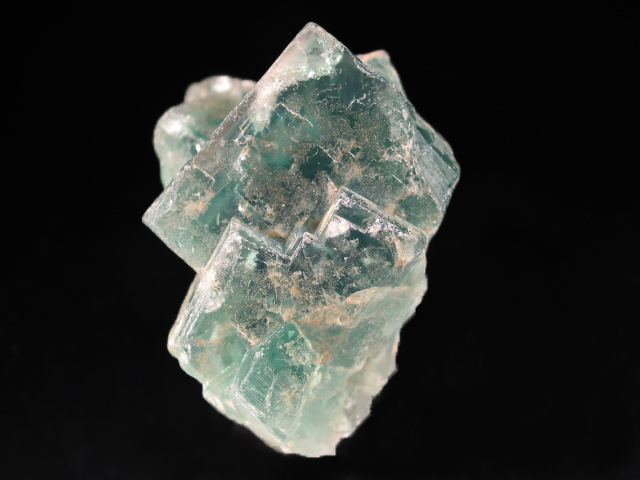 Fluorite is almost unheard of from Madagascar, at least as proper crystals. 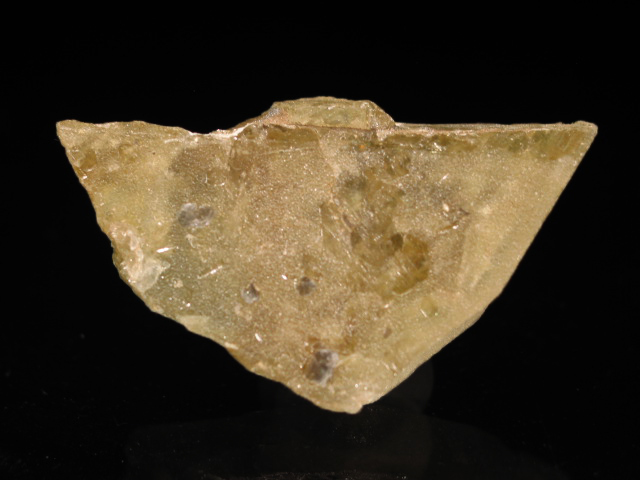 This is obviously somewhat beaten up, but even so, is way, way better than any of the shards and lapidary rough material I have seen from there in the past. 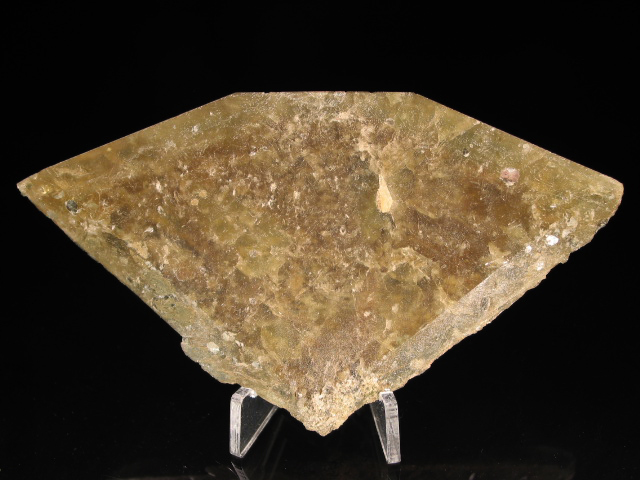 I put a bit of lacquer on the surface to make it slightly more palatable-- you are welcome to remove that with some acetone and give it a good old fashioned oiling. 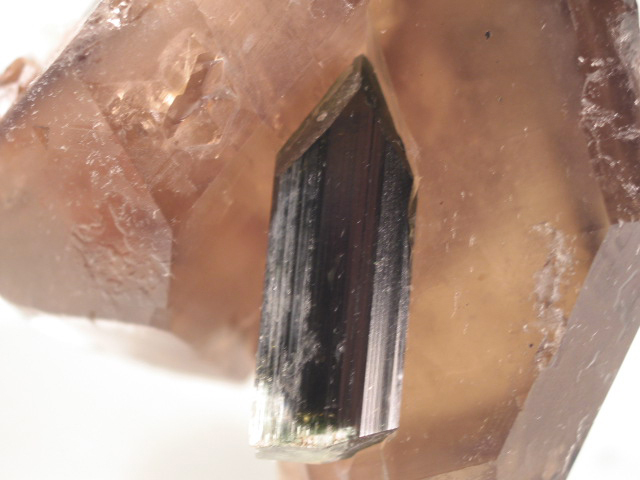 The last picture is pre-lacquered. 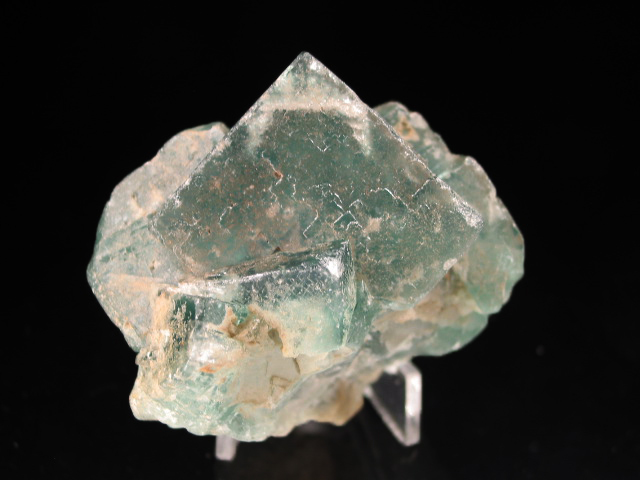 There are loads of fluorite collectors out there, so I figured this must be of interest to at least one of them. 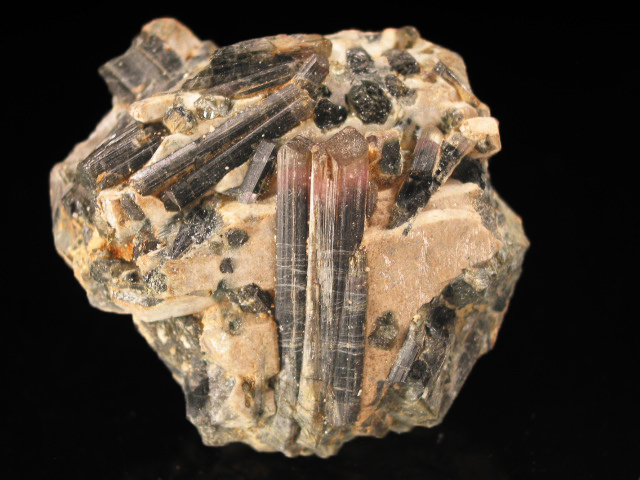 Here is another oddity from the trip-- a cluster of aegirine crystals. 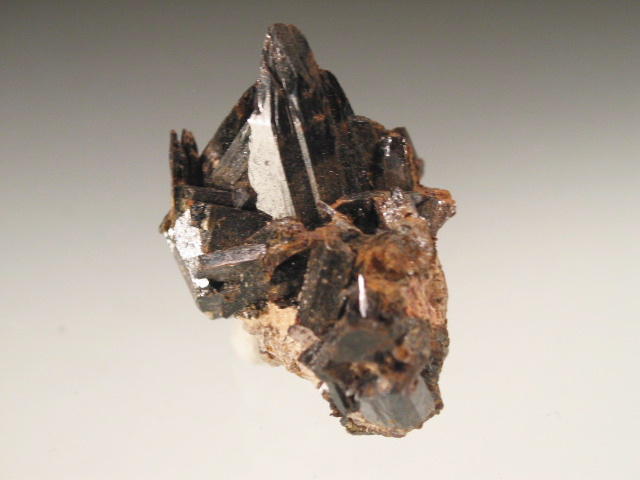 Again, these last few specimens are not particularly fine representatives of their respective species, but they are things that I just do not see from Madagascar, so I am posting them because they are interesting-- this material for example, would be perfectly at home in a flat of Malawian minerals... except it's not from Malawi. 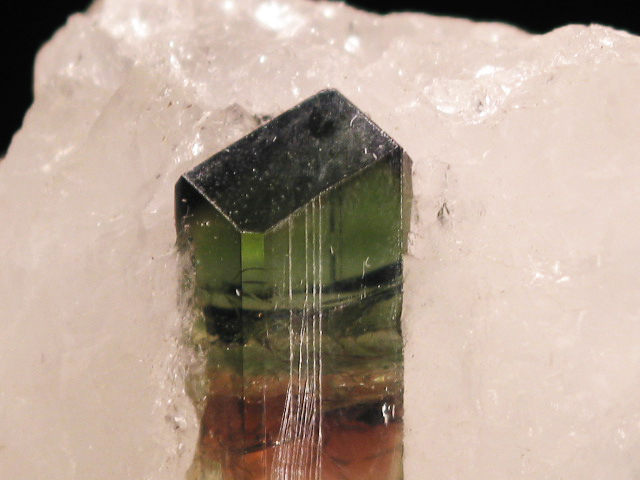 This piece has a few terminated aegirines on a bit of matrix.